40 years reform and opening up, especially since the eighteenth congress, under the leadership of the CPC chengde committee, municipal government, the whole city to xi jinping, the new times the thought of socialism with Chinese characteristics as guidance, in-depth implementation of the spirit, the party's 19 full implementation of the party central committee and the provincial party committee and government, the major policy decisions, take the initiative to adapt to the new normal economic development, the comprehensive economic strength rising steadily, structural adjustment efforts to increasing, continue to improve quality of ecological environment, the coordinated development of beijing-tianjin-hebei made gratifying achievements, the people's feeling. 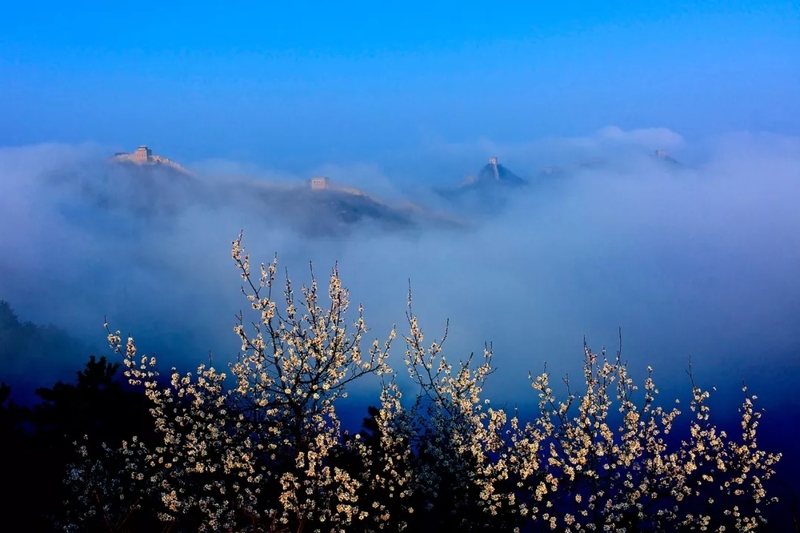 "The spirit of sehanba" has been sung throughout the country, and the achievements of the beijing-tianjin-hebei water conservation functional zone have gradually emerged. 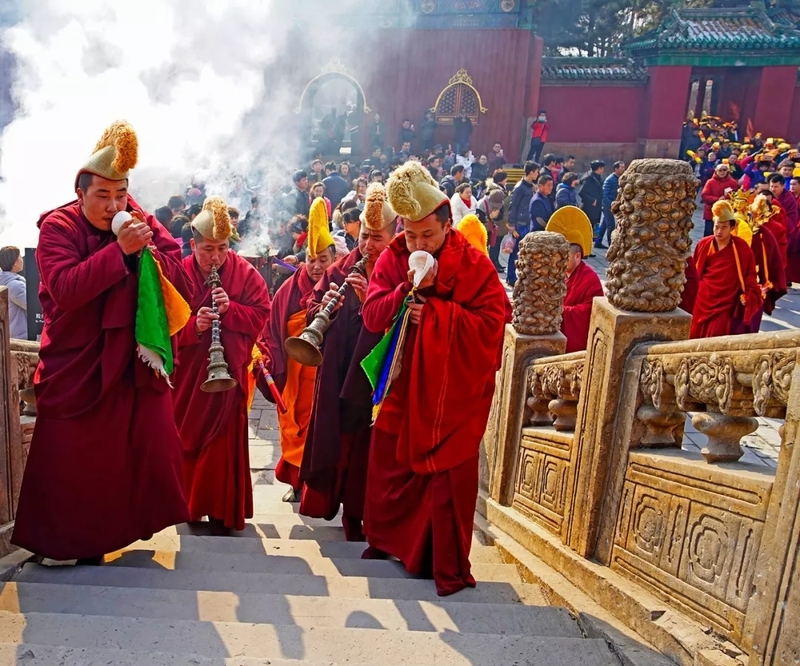 A chengde with more prosperous economy, more harmonious society, better ecology and happier people has been presented in the northern land of sehanba. In order to commemorate the achievements made in the past 40 years of reform and opening up, the publicity department of chengde municipal committee of the communist party of China and the chengde federation of literary and art circles held a grand exhibition in Beijing on December 10 to celebrate the 40th anniversary of reform and opening up. This exhibition focuses on the theme of more than 100 pieces of works, the type or fine beauty, or rough atmosphere, or elegant and beautiful; The content is close to current events, bold innovation, novel themes, different styles reflect each other, depicting different artistic charm, both the chengde economic and social development of the new face, the new atmosphere of praise, also reflects the artists are positive, spirited spirit. The exhibition was the first time to Beijing chengde, calligraphy and painting photography, around beijing-tianjin-hebei collaborative development strategy, which places the linkage to present new situation, this exhibition for chengde local artists to build a communication platform, but also embodies the chengde literary and art workers "root into the thick of life, the people", follow The Times, innovation spirit to take on responsibilities. This will surely promote the prosperity and development of the art of calligraphy, painting and photography in chengde, strengthen the soft power of chengde culture, and build momentum for the development of chengde. In the prosperous times, with abundant resources and charming prospects, we sincerely hope that our city's literary and art workers can draw ten thousand volumes of grand works of chengde together with their hard work as the pen and unity as the ink. I wish this exhibition a complete success! 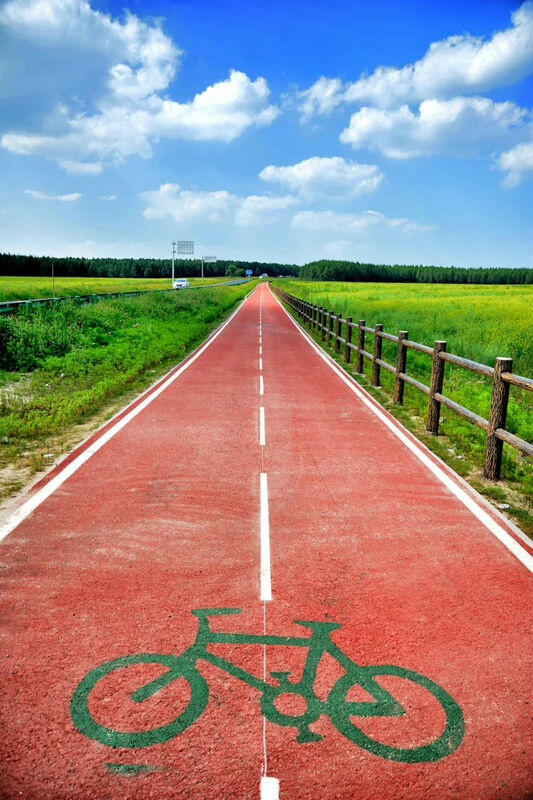 I wish chengde a more brilliant tomorrow! Born in April 1945, jinzhou city, liaoning province. 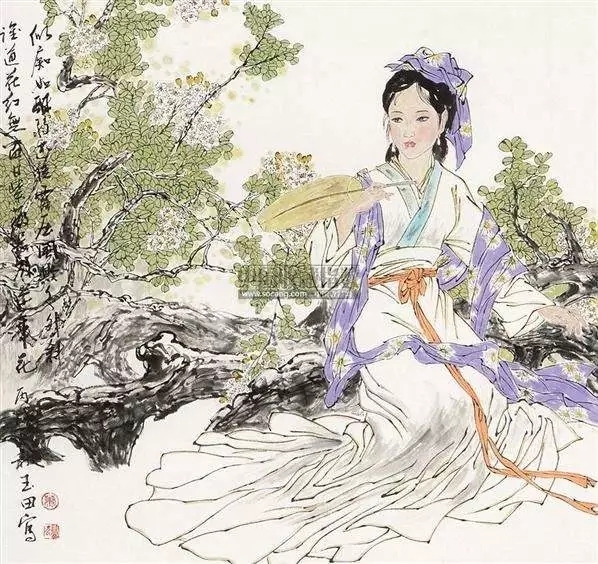 Mr Claborate-style painting master Pan Jiezi house disciple, and enjoy special government allowances of the state council experts, the national level artists. The 10th, the 11th and 12th session of National People's Congress, vice President and secretary of the Chinese claborate-style painting association, member of Chinese artists association, the central literary history painting and researcher, consultant of the central state organs artists association, director of the institute of Chinese painting, literary history librarian in hebei province, hebei province artists association, deputy director of the art direction, chengde city federation consultant. Born in May 1959, he graduated from the fine arts department of hebei normal university in 1985. 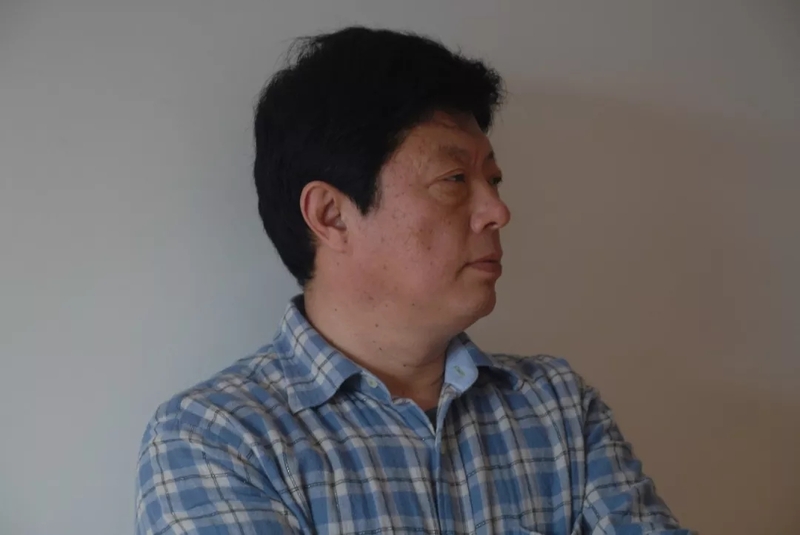 He is a member of the Chinese artists association, a director of the Chinese fine brushwork association, a librarian of hebei literature and history museum, and the chairman of chengde artists association. Professor, college of fine arts and design, hebei normal university for nationalities. Born in December 1950, hebei chengde. In 1968, he went to the countryside. 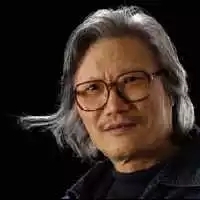 After 1976, he worked as a full-time artist in the cultural center and an art editor of chengde daily. 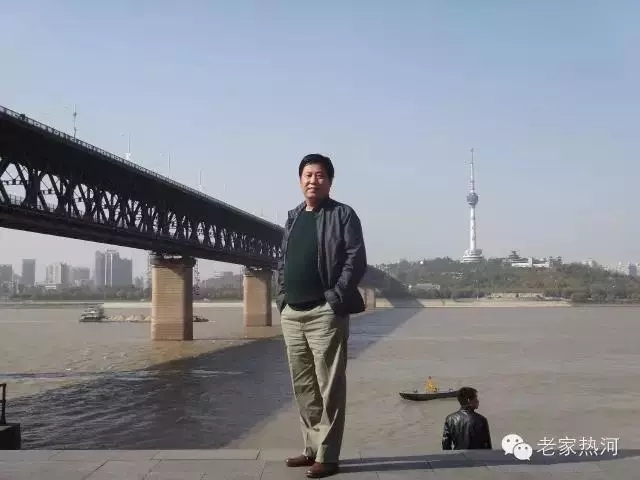 He was a member of the sixth, seventh and eleventh CPPCC national committee of chengde city. He is now a member of hebei artists association and served as vice President and secretary general of chengde artists association. Many of his works have been exhibited, published and won prizes at or above the provincial level. Among them, the comic book "attacking the purple bamboo forest" and other three works were published, and the comic book "blue emotion" was published in the Chinese comic strip. The advertising work "take books as friends" was selected into the ninth national advertising works exhibition, and was selected into the collection of fine works; The article "eternal flowers outside the fortress" was published in art magazine; Chinese painting group painting hawthorn seed seedling was selected into the national science exhibition; Traditional Chinese painting pearl picking was selected for the second national sports art exhibition. 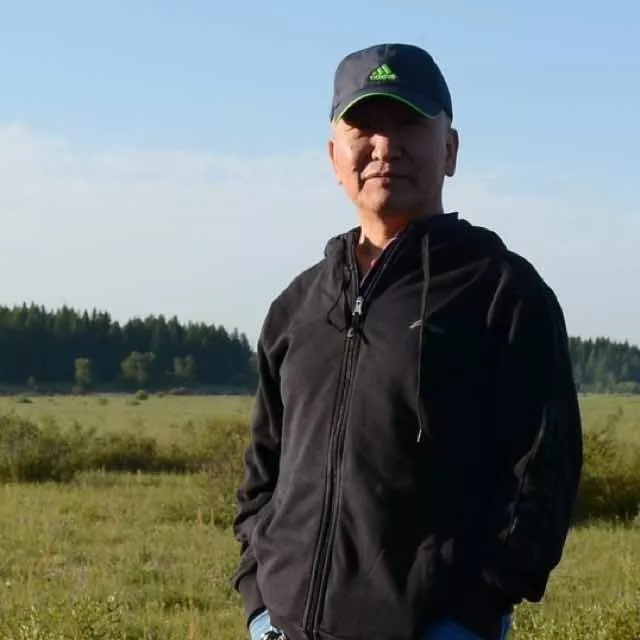 He was born in April 1959 in chengde city, hebei province. He graduated from the department of fine arts of hebei normal university majoring in oil painting in March 1982. Member of Chinese artists association. 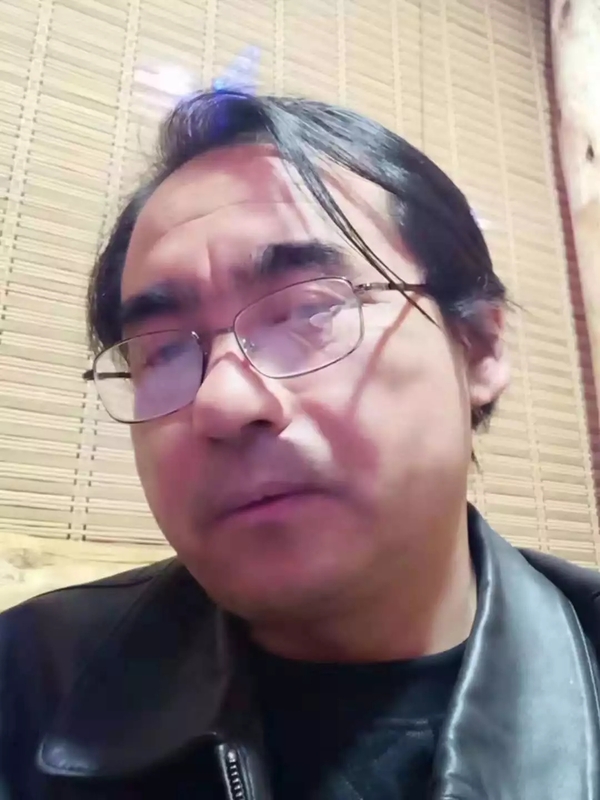 He is currently a professor of hebei normal university for nationalities. 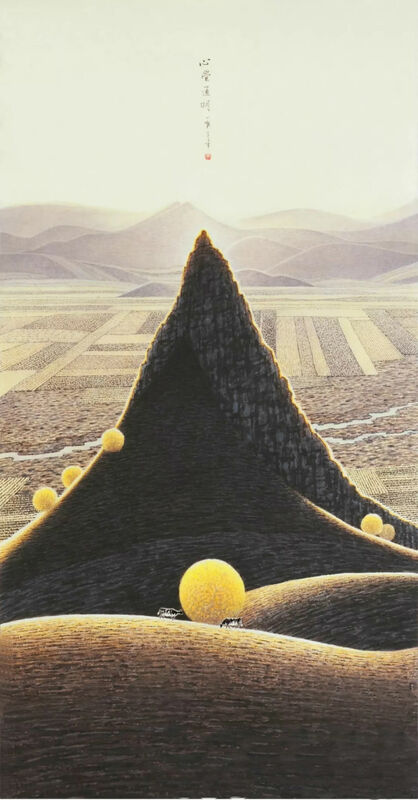 1989 oil painting faun was selected for the seventh national art exhibition. 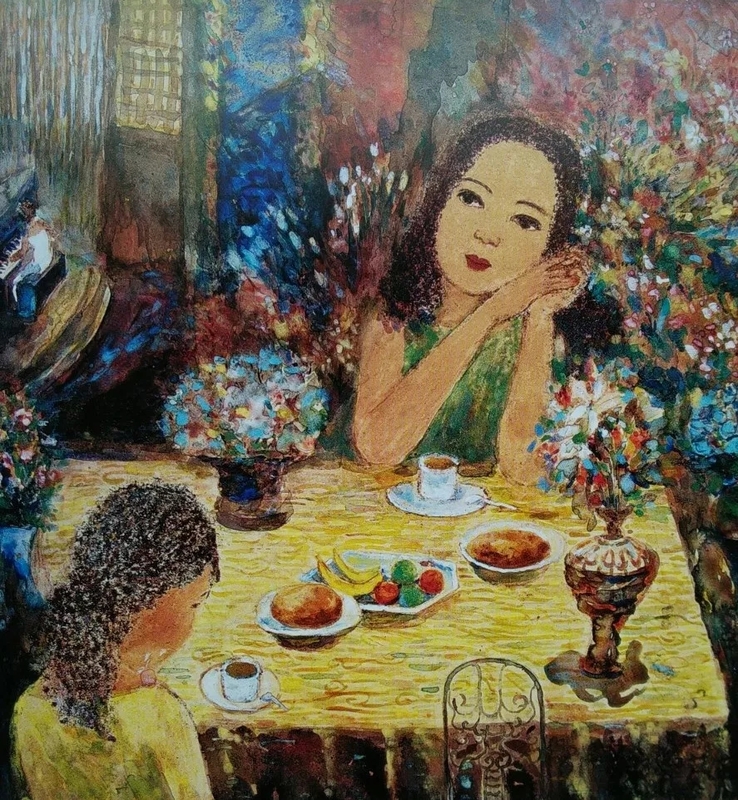 1999 oil painting "together" was selected into the ninth national art exhibition. In 2003, oil painting autumn was selected into the 3rd China oil painting exhibition. Oil painting "snow" won the bronze award of the 10th national art exhibition in 2004. 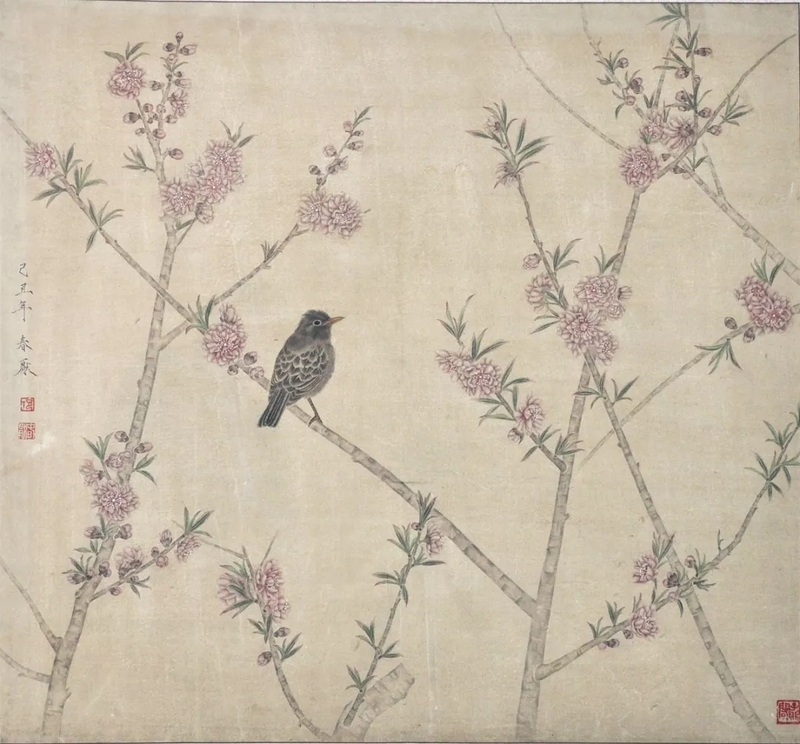 Collected by the national art museum of China. 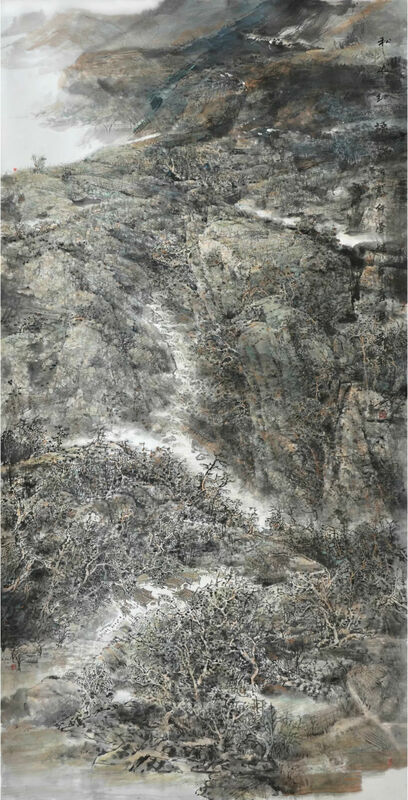 In 2005, oil painting "mountain spring" was selected into the second exhibition of landscape painting and oil painting of contemporary Chinese landscape painting. 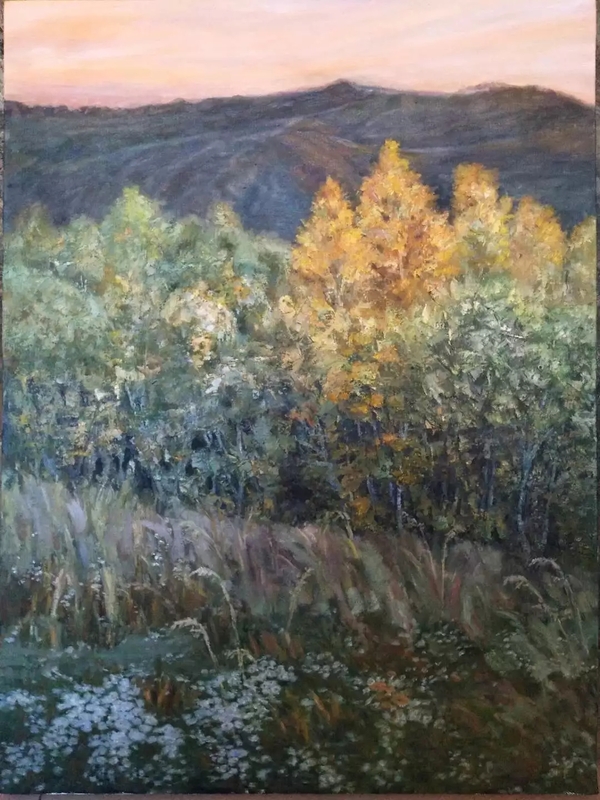 In 2006, oil painting "autumn land" was selected into "spirit and character" Chinese contemporary realistic oil painting research exhibition. Collected by the national art museum of China. 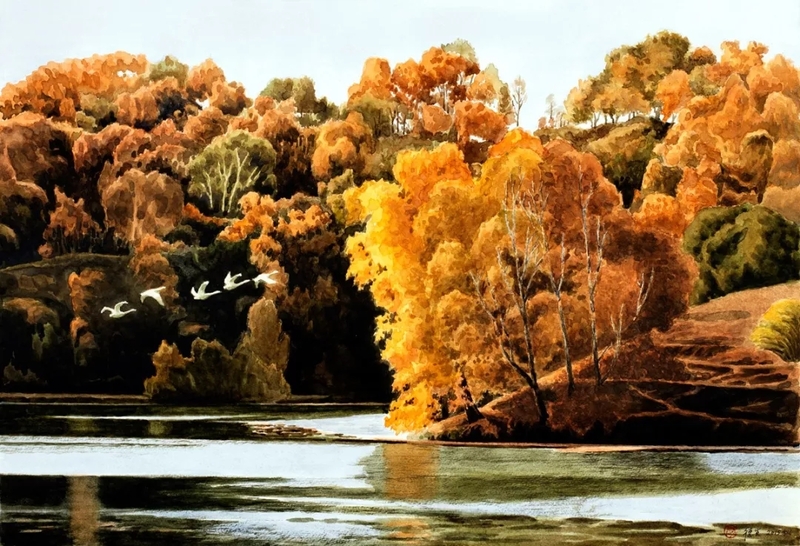 In 2007, oil painting autumn scenery was selected as the 2007CCTV exhibition and broadcast of Chinese contemporary oil painting and the special production to commemorate the centenary of Chinese oil painting and won the excellence award. Collected by CCTV. From October 27, 2007 to November 2, 2007, he held a personal exhibition in Shanghai liuhaili art museum. August 2008 oil painting yanshan series - 5 won the silver medal of the 2008 Olympic fine arts conference sponsored by the international Olympic committee and was collected by the international Olympic art center. In October 2009, oil painting "unlimited spring light" was selected in the 11th national art exhibition. Oil painting wangjing building was selected in the 12th national art exhibition in September 2014. Born in 1963, vice President of chengde artists association, graduated from the central academy of fine arts. Director of hebei artists association. Yao chongwei, born in 1964 in chengde city, hebei province, is the President of chengde painting academy, national first-class artist, hebei painting academy researcher, executive director of hebei Chinese painting association, director of hebei artists association, vice President of chengde artists association. His works have participated in many art exhibitions at home and abroad and won awards. In a variety of art newspapers and magazines, painting collection was introduced and commented on. The main publications are: excellent artists' paintings of the 21st century -- yao chongwei published by jiangsu fine arts publishing house, yao chongwei's ink painting world published by Beijing arts and crafts publishing house, and yao chongwei's collection of famous artists · paintings of modern and contemporary Chinese masters published by shandong fine arts publishing house. Member of Chinese artists association. He was born in chengde, hebei province in 1957. 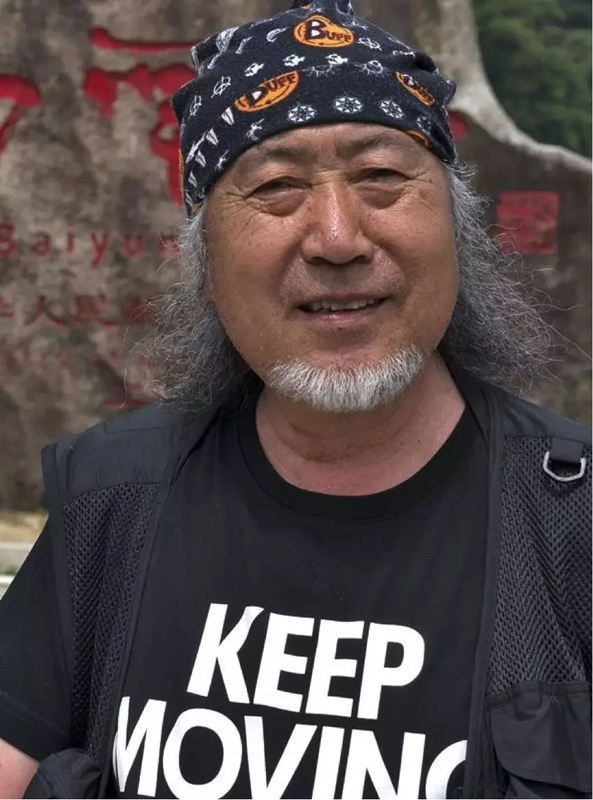 He graduated from the department of art of hebei normal university in 1982 and majored in Chinese painting at the central academy of fine arts in 1993. 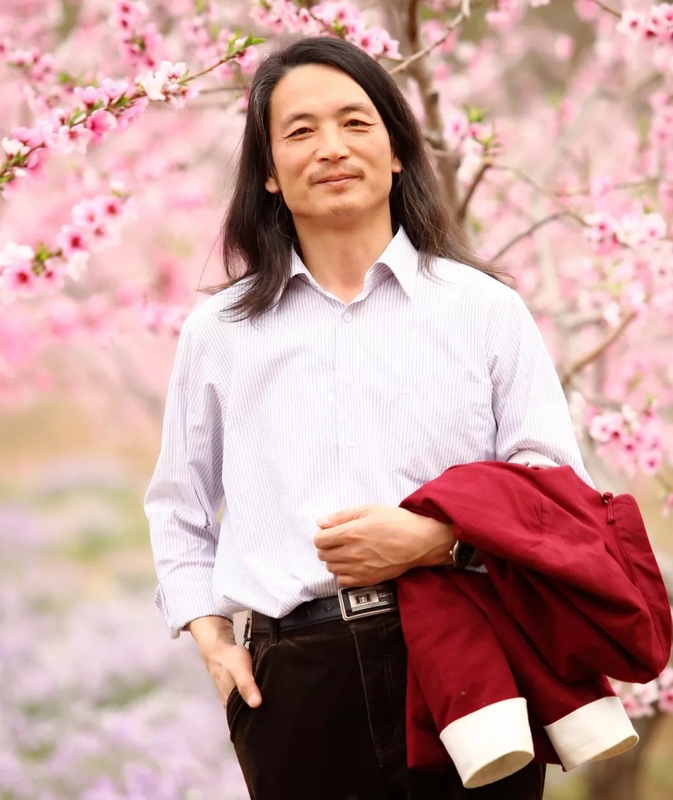 He is now a professor of fine arts and design at hebei normal university for nationalities. Vice President of chengde artists association. 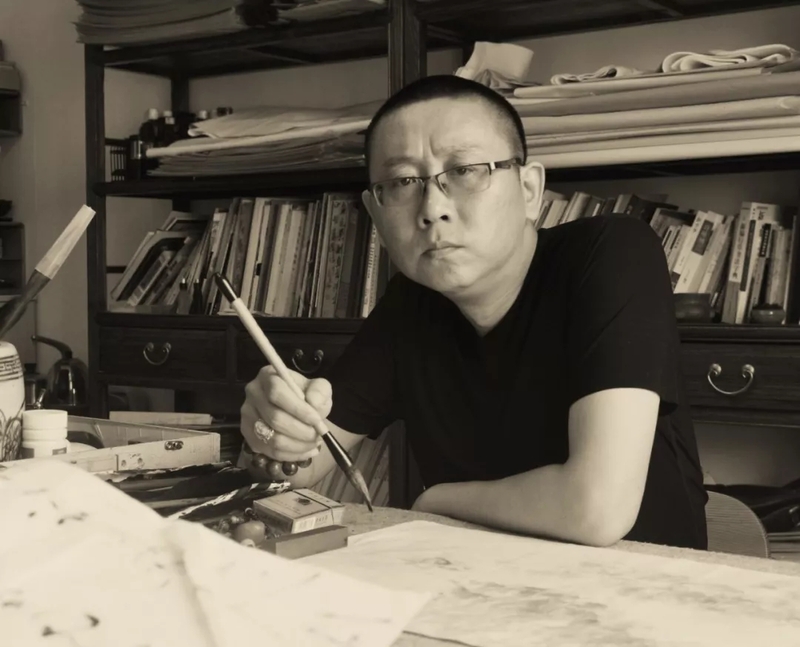 His publications include the art of sketching heads and sketching from life, a hundred illustrations of summer resort, and the art of Chinese landscape painting by li yiyi. 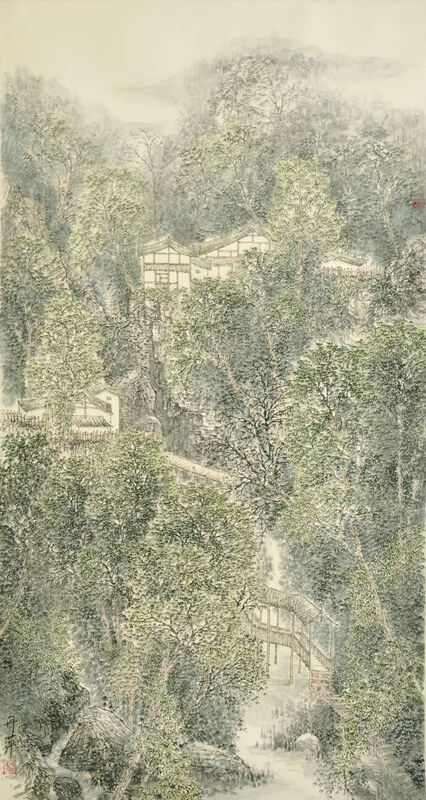 His works were exhibited in the eighth national art exhibition, the first national freehand landscape painting exhibition, the first national urban landscape painting exhibition, the sixth national fine brushwork exhibition, the national small fine brushwork painting exhibition, and the fifth, sixth and seventh excellent works exhibition of members of Chinese artists association. 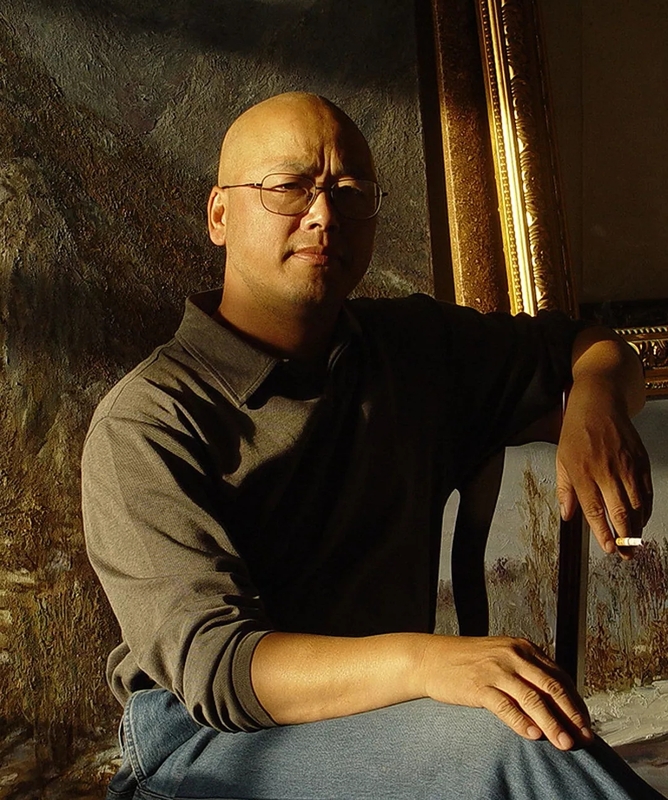 In 2008, he was invited to the Santa cruz art museum in the United States to participate in the sino-american contemporary art exchange exhibition. Qian feilong (vice vocational college), born in weichang county, hebei province in 1968, is a painter at jia guangjian studio of China national academy of painting, a researcher of China fan art research association, a member of hebei artists association, a director of hebei Chinese painting research association, and a vice chairman of chengde art association, hebei province. His works have participated in art exhibitions at home and abroad for many times and won awards. 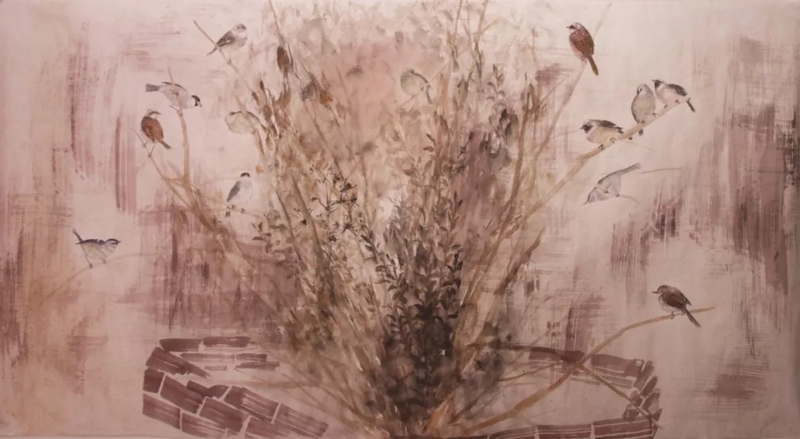 "from nature" qian feilong's flower and bird painting exhibition was held. 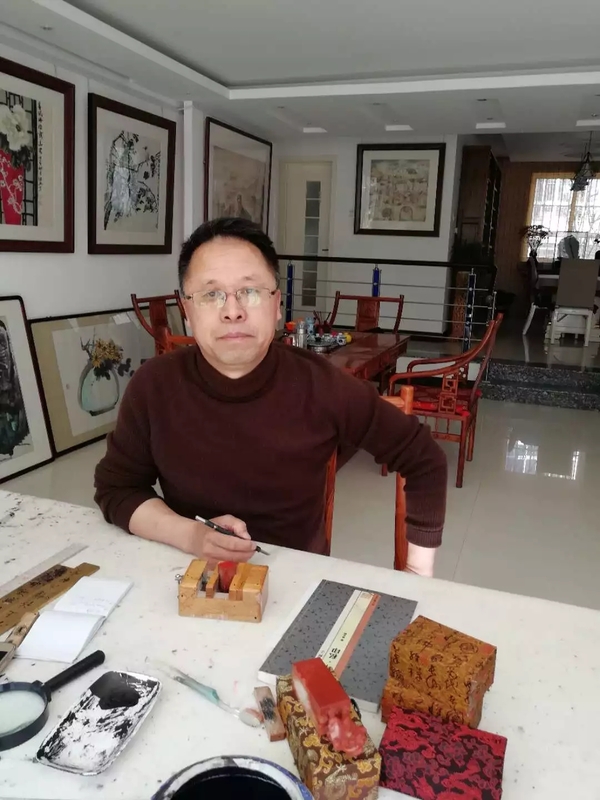 He has published "front-line masters · high-end collection of contemporary Chinese painting -- money flying dragon" (tianjin people's fine arts publishing house), "money flying dragon painting collection", etc., "Chinese business card -- Chinese famous calligrapher · money flying dragon" stamp album. Works have been tian 'anmen rostrum, hebei hall collection. 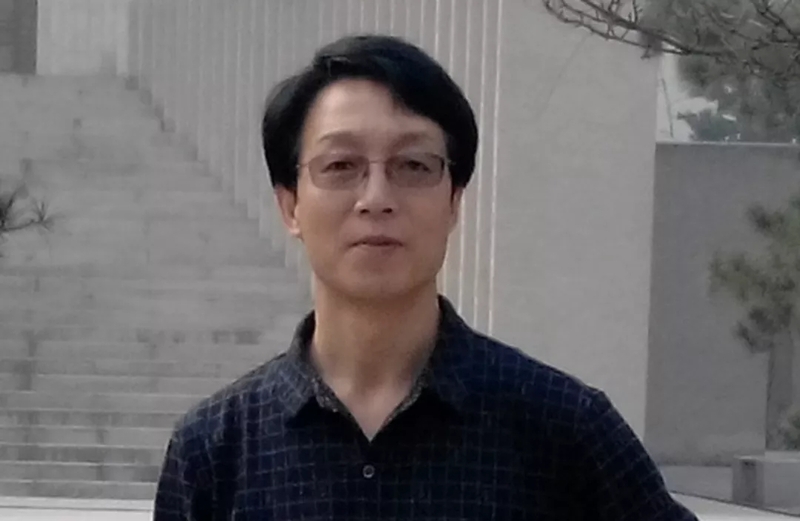 Xiao shulin, department of fine arts, hebei normal university, bachelor degree. 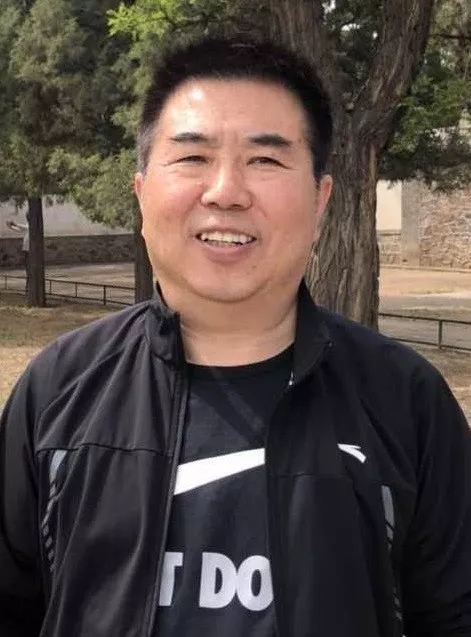 He is a member of hebei artists association, director of chengde artists association, chairman of longhua artists association, President of longhua old area construction promotion, and teaches in longhua cunrui middle school of hebei province. Oil paintings have participated in domestic art exhibitions for many times and won awards. Many of them have been collected by friends or institutions at home and abroad. Mi chengjin, born in 1934. He was the vice President of chengde art association and a member of hebei art association. The propaganda painting "prevention of tuberculosis" and other works were selected into the national science popularization art exhibition for three times. 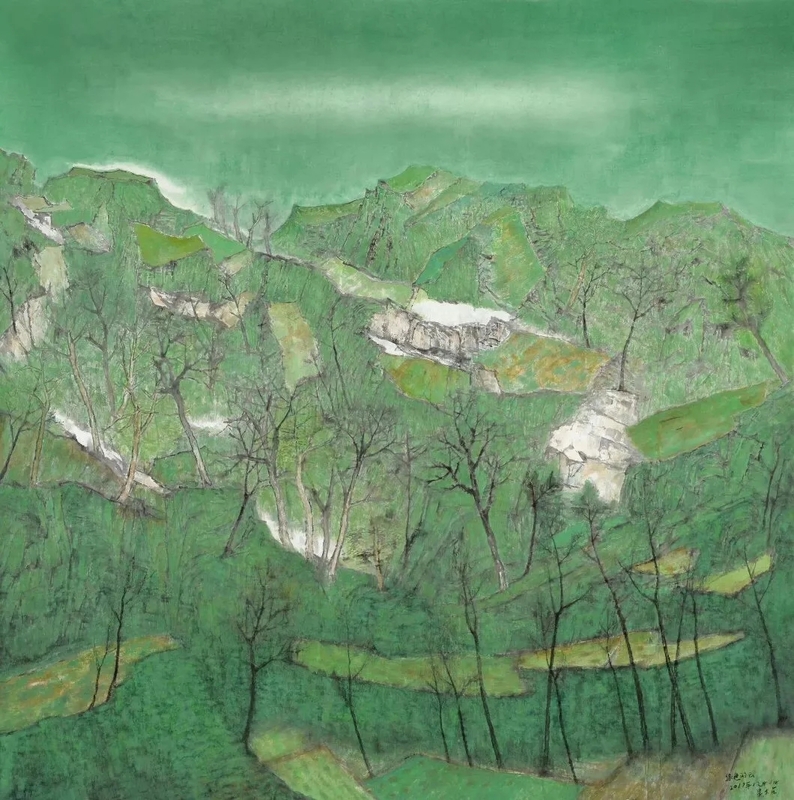 The watercolor painting "green season" was selected into the hebei art exhibition on the 55th anniversary of the founding of the People's Republic of China and won the excellence award. Its watercolor works were selected into the hebei art exhibition for many times. 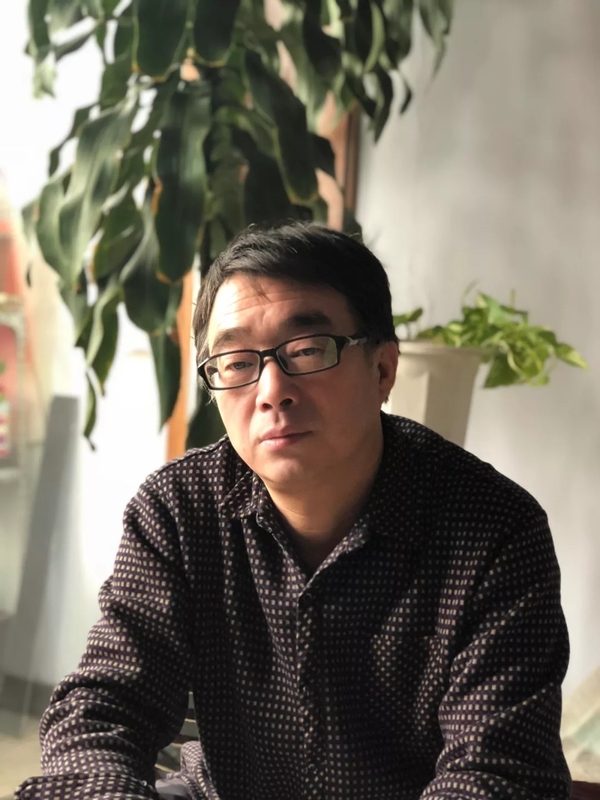 Wang qiang, who graduated from the fine arts department of hebei normal university in 1984, is an associate professor of fine arts and design at hebei normal university for nationalities. He is also a member of hebei artists association. His works have participated in national and provincial art exhibitions and won awards for many times. 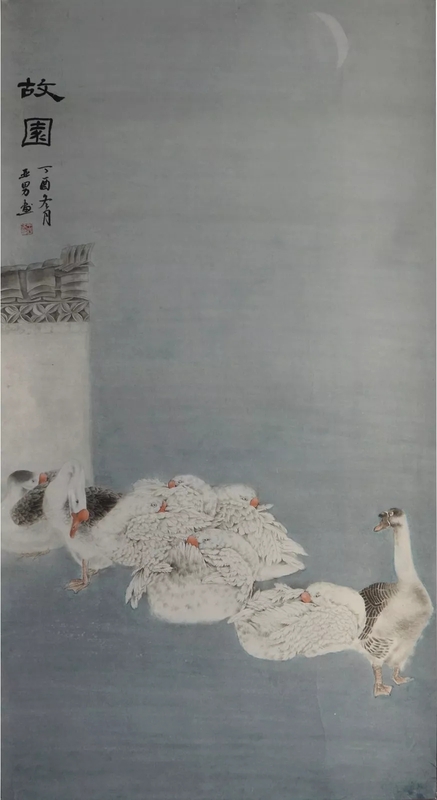 His works have been published and introduced by "Chinese famous watercolor artists", "Chinese fine arts", "gardener's paintings" and "Chinese history". He is the author of ABC watercolor painting and wang qiang's sketching portrait collection. Planned and organized the first and second watercolor gouache exhibition in chengde. Born in 1980 in chengde, hebei province, associate professor of fine arts college of hebei normal university for nationalities, member of Chinese artists association, director of hebei artists association, deputy director of exhibition planning committee, secretary general of chengde artists association, special painter of shenzhou calligraphy and painting institute of People's Daily, special painter of dingsheng calligraphy and painting institute. Dan-ping wu, shandong linyi, undergraduate course and the research of them graduated from sichuan university, is now a member of hebei artist association, hebei normal university of national college of art and design teachers and chengde city artists association deputy secretary-general, is now mainly engaged in the fine arts of Chinese painting in the direction of teaching and research work, creating more work to be included in the national exhibition. 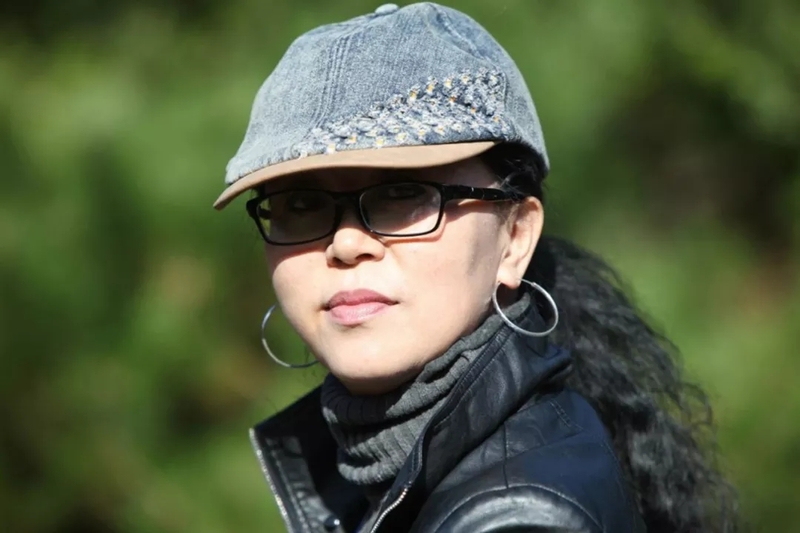 Yuan bingtie, number kun xing, was born in weichang county, hebei province in 1959. In 1981, he graduated from the fine arts major of hebei light industry university (now the college of art of north China university of science and technology) and later studied at the central academy of fine arts. 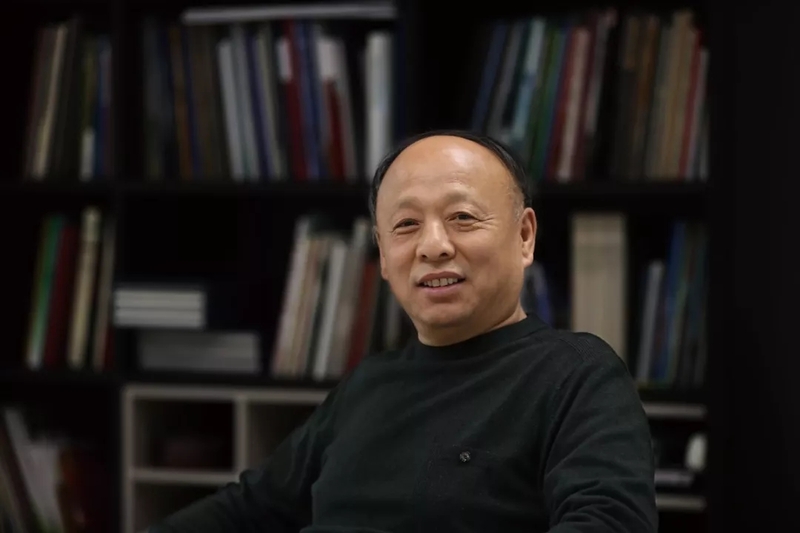 He is currently director of zhongshan painting academy of hebei province, President of pingquan painting academy, painter of liu dawei figure painting studio of rongbaozhai painting academy, painter of traditional Chinese painting creation center of Chinese academy of art, and painter of advanced painting and calligraphy creation research institute of academy of fine arts of tsinghua university. The work "night wind" was selected into "sacred changbai" national art exhibition. 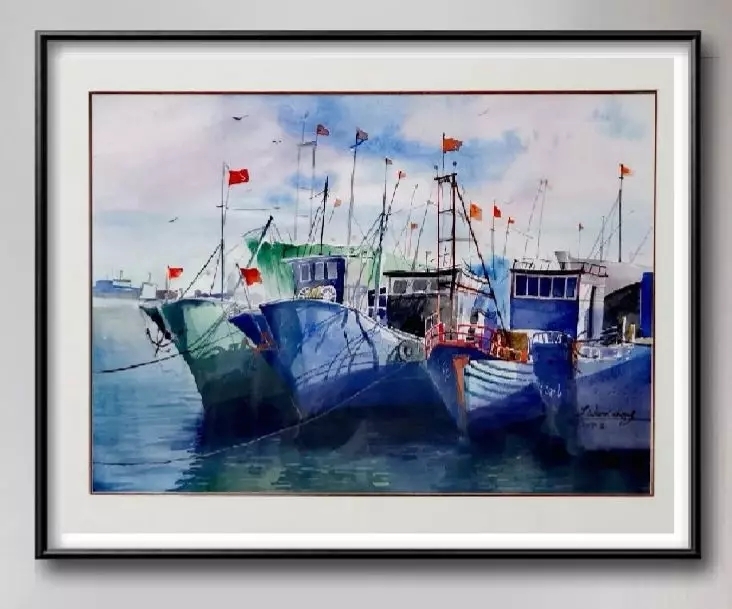 He has attended exhibitions and exchanges with Chinese painting and calligraphy delegations in South Korea, Thailand, South Africa, the united Arab emirates and other countries. 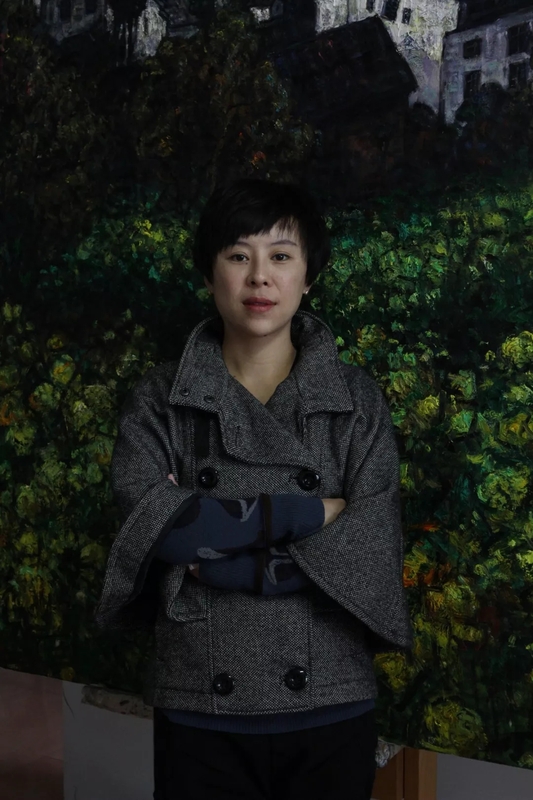 Ao xiaoling (also known as ao xiaoling), was born in 1979 in chengde, hebei province, since childhood like painting and calligraphy art, with a strong ability to create Chinese painting, graduated from chengde normal college of fine arts in 2000, 2004 graduated from hebei normal university college of fine arts. 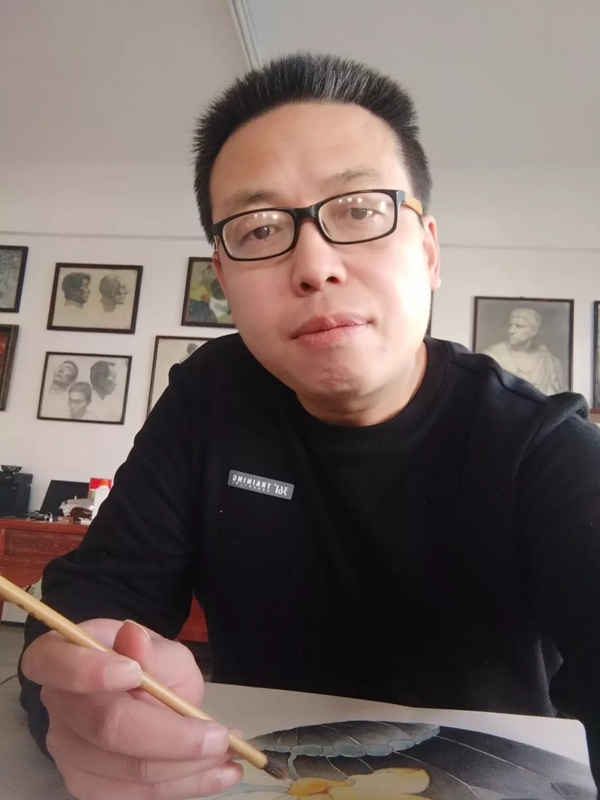 Currently, he is a member of hebei hard-pen calligrapher's association, chengde artists' association and photographers' association. Luanping county works compiled into the local literature collection. Bai xiaomin male hebei chengde fengning people. 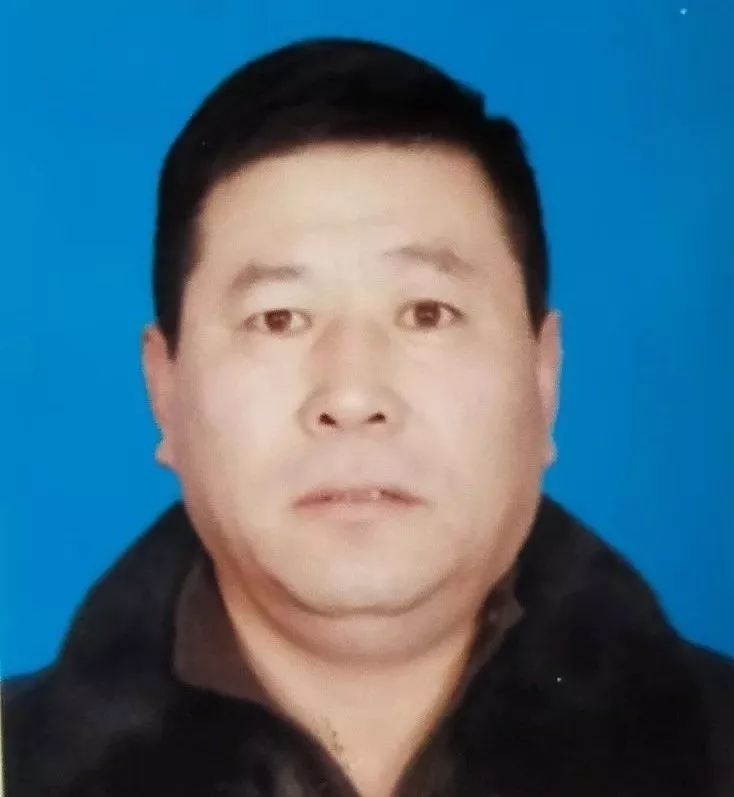 Member of hebei artists association, member of Beijing oil painting association, executive director of chengde artists association, chairman of fengning manchu autonomous county artists association. Graduated from hebei arts and crafts school, bachelor degree. His works have been exhibited at various levels for many times. Chen haibo, born in 1962 in chengde, hebei province, majored in Chinese. Member of hebei artists association. 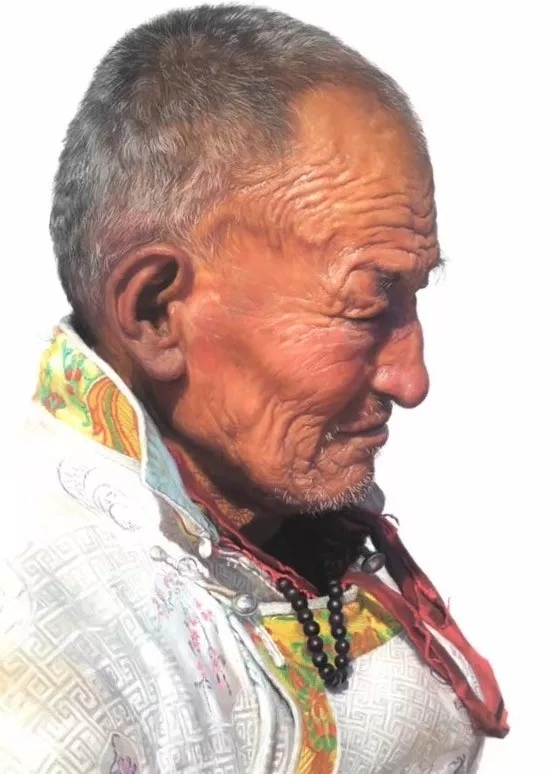 Over the years, he has studied the history of eastern and western art. He takes nature as his teacher, learns from others and is keen on realistic watercolor painting. His works are full of rich western classical styles and strong modern life elements. The works have been exhibited and collected many times. He is now a freelance watercolor painter. Dong chun, character yu mo, don't sign Lao chun, manchu, graduated from hebei arts and crafts school and China criminal police college. Busy criminal investigation work had to temporarily give up the brush, now re-brush five years, watercolor painting works have been published and introduced in national, provincial and municipal magazines for many times. In June 2017, we successfully held 100 solo exhibitions of dong chun watercolor paintings. Noontide 2017 was exhibited in hexiangmen /2017 extension exhibition of contemporary Chinese oil painting art. In 2018, watercolor painting "lotus pond" will be exhibited in the "watercolor world" welcome exhibition. 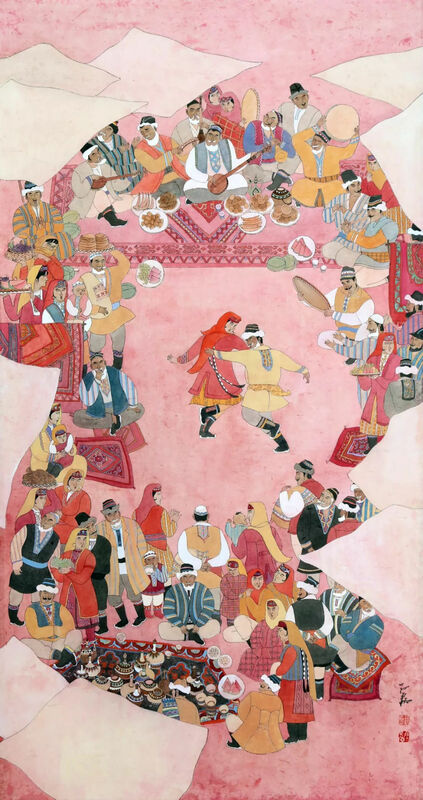 In 2018, watercolor painting "laborers - village women" was included in the "bohai rim elegance" Beijing, tianjin, hebei, shandong and liaoning watercolor pink printmaking exhibition 2018. In 2018, watercolor painting the working peasant woman was exhibited in the first world watercolor painting exhibition. 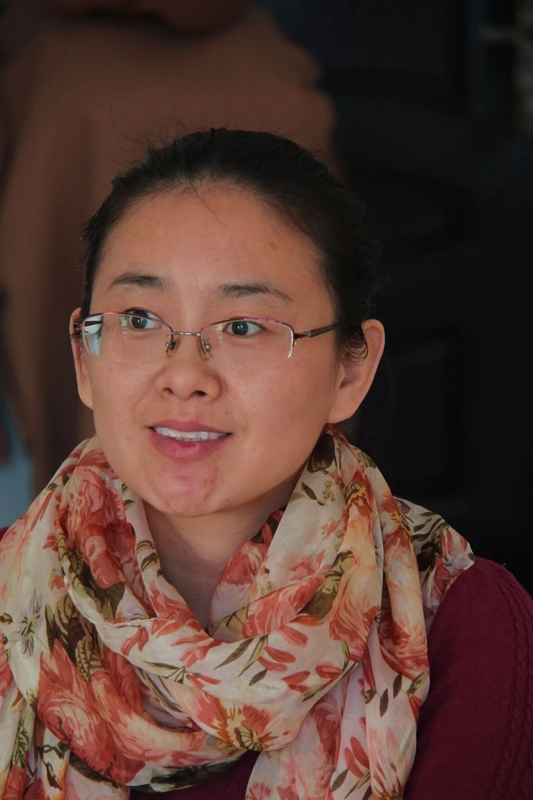 Fu yali, engaged in art education teaching and research work, is a member of hebei artists association. 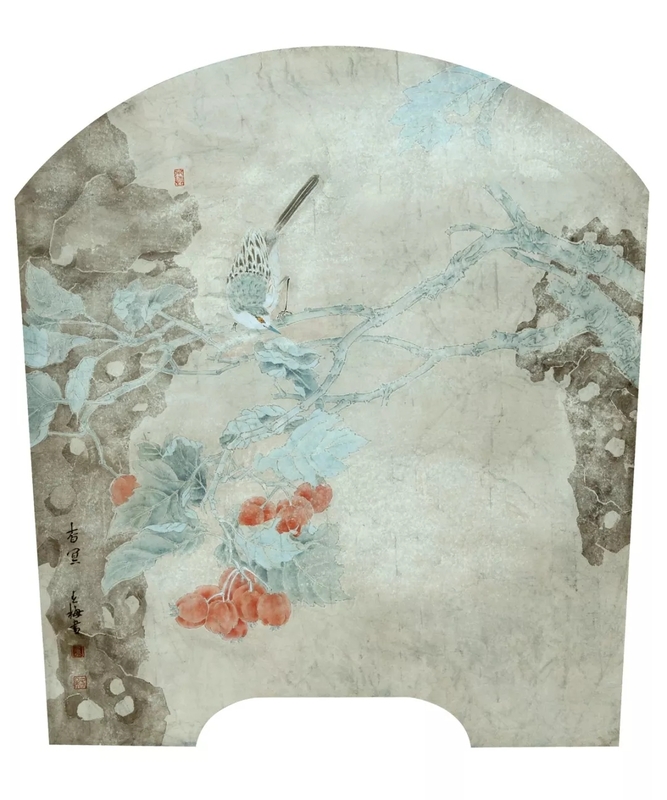 His works have been selected into the exhibition "great beauty liaoning freehand painting China" sponsored by the Chinese art association, and his works have been collected. 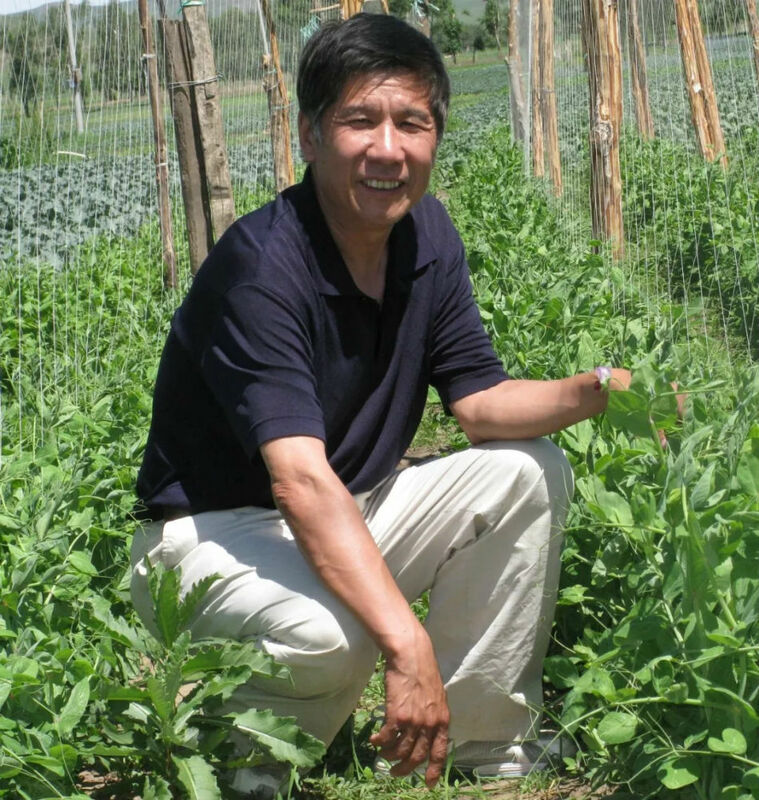 Gao cuirong was born in xinglong county, chengde city, hebei province on January 11, 1966. He graduated from art education major of chengde national normal college in 1989. 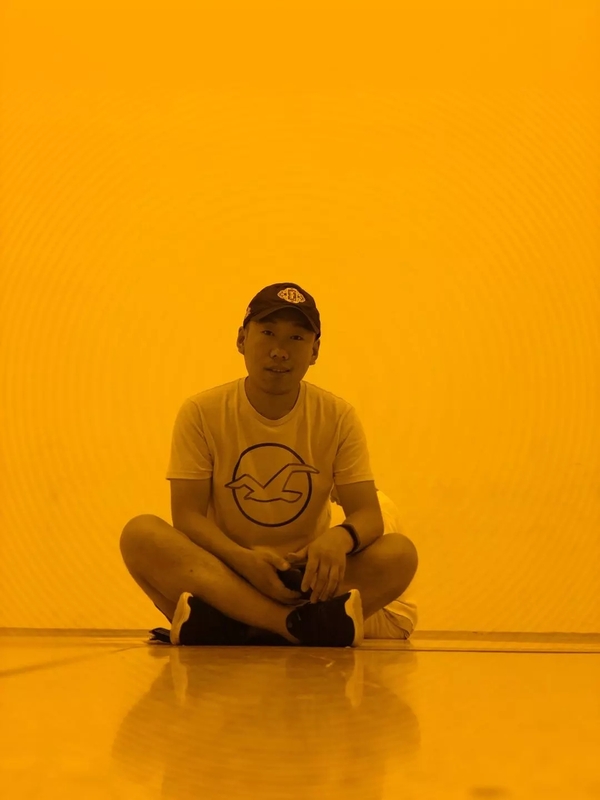 In 2001, he graduated from the 6th advanced research class of rock color (heavy color) painting, Chinese institute of art and technology, ministry of culture. 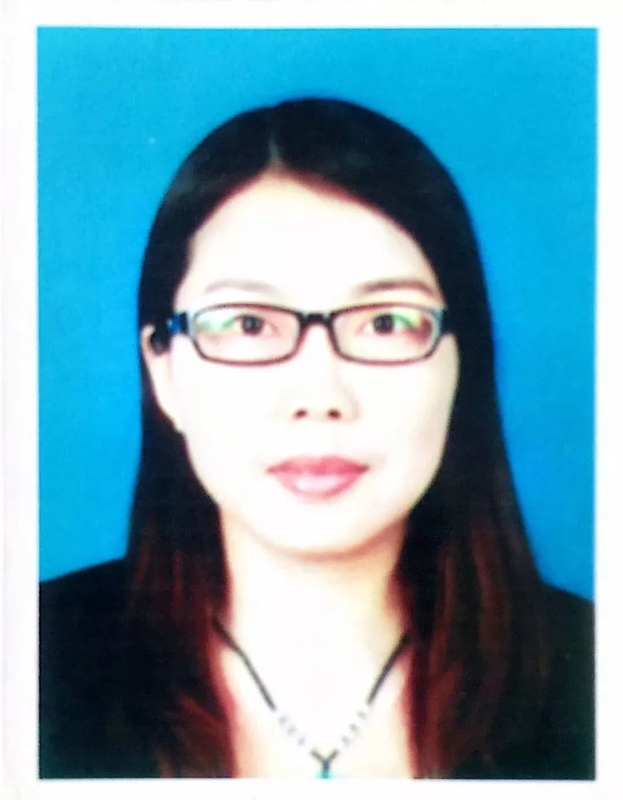 Graduated from hebei normal university majoring in fine arts education in 2003. He is now an art teaching and research member of the teaching and research office of chengde education bureau of hebei province, vice vocational college, member of hebei artists association, deputy secretary general of education research institute of fine arts of hebei province, and a researcher of rock color painting research institute of China academy of fine arts. He shaowu, male, born in fengning, chengde, hebei province. He graduated from hebei normal university majoring in fine arts. 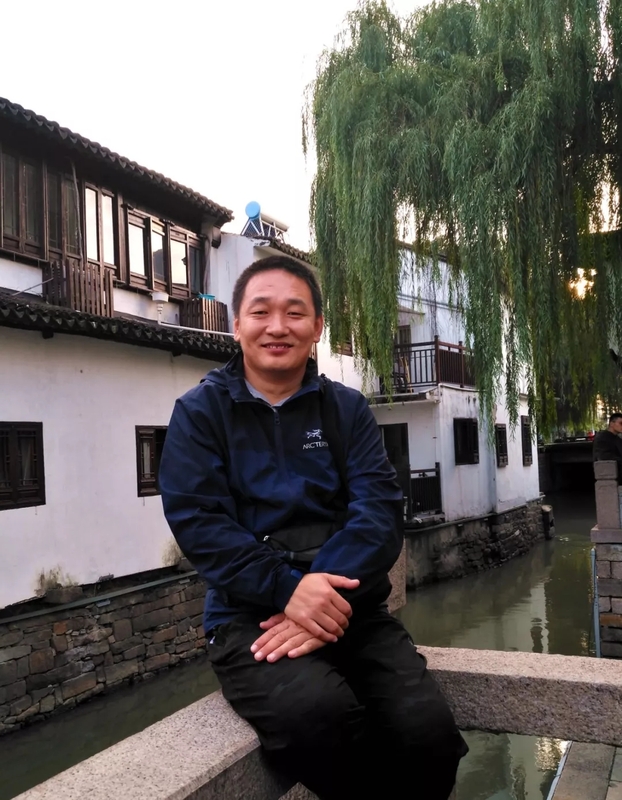 Currently he is director of chengde artists association and secretary general of fengning manchu autonomous county artists association. He mainly focuses on oil painting landscape, and his works have participated in various exhibitions at all levels for many times. 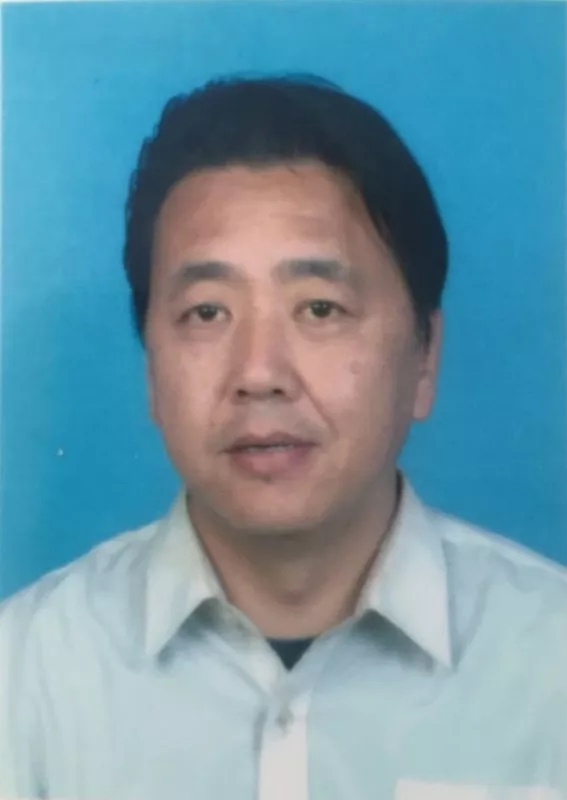 He wanli, male, was born in chengde, hebei province in 1964. He graduated from the department of fine arts of hebei normal university with a bachelor's degree in oil painting in 1988. Member of Chinese artists association, director of hebei oil painting association. 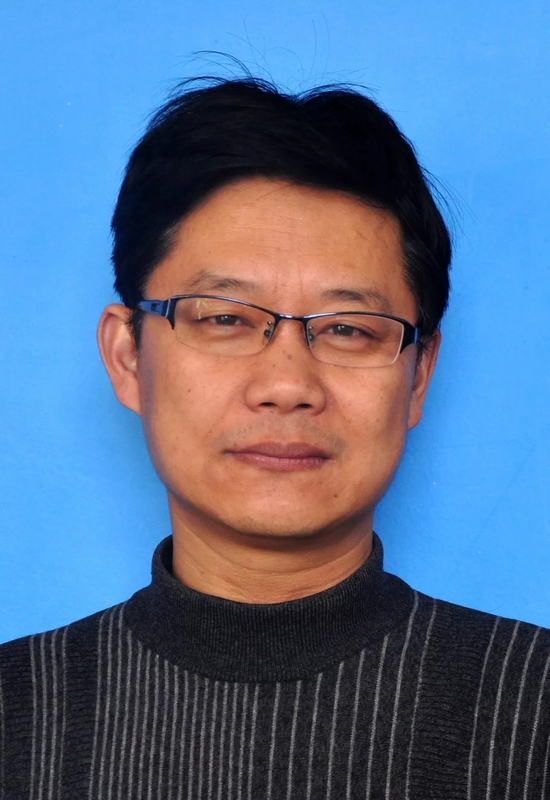 Currently he is an associate professor of fine arts and design, hebei normal university for nationalities. 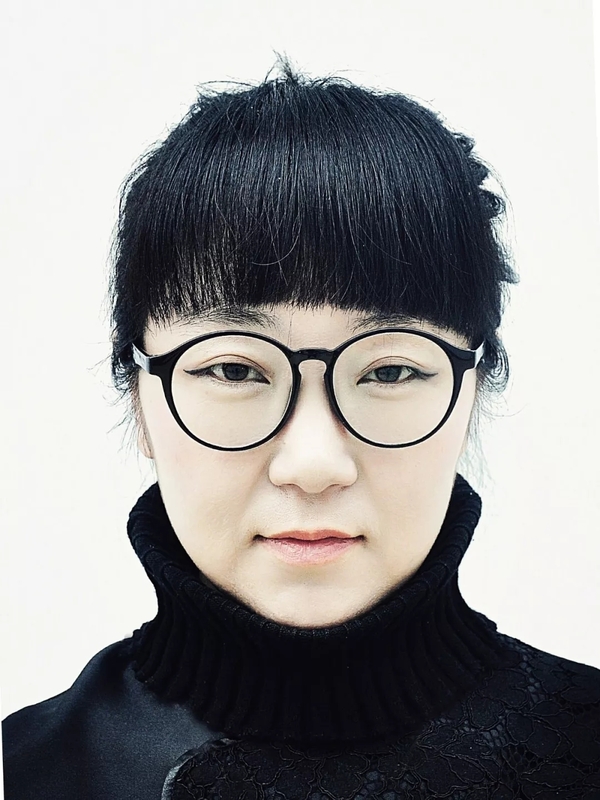 Hu xiaojing, born in luquan, hebei province in 1982, graduated from college of fine arts, hebei normal university in 2007 with a master's degree. 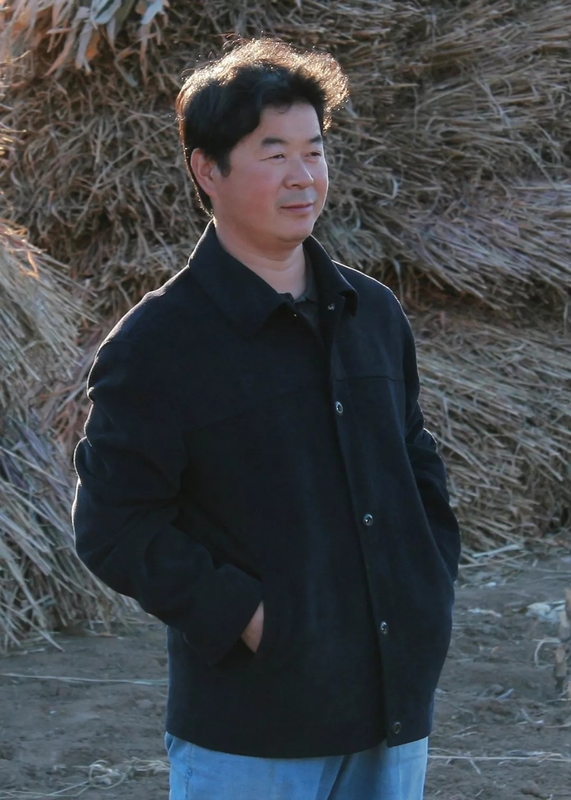 Currently, he is a member of China art association and a director of chengde art association. Male, chengde people's art museum, national second-level artist. 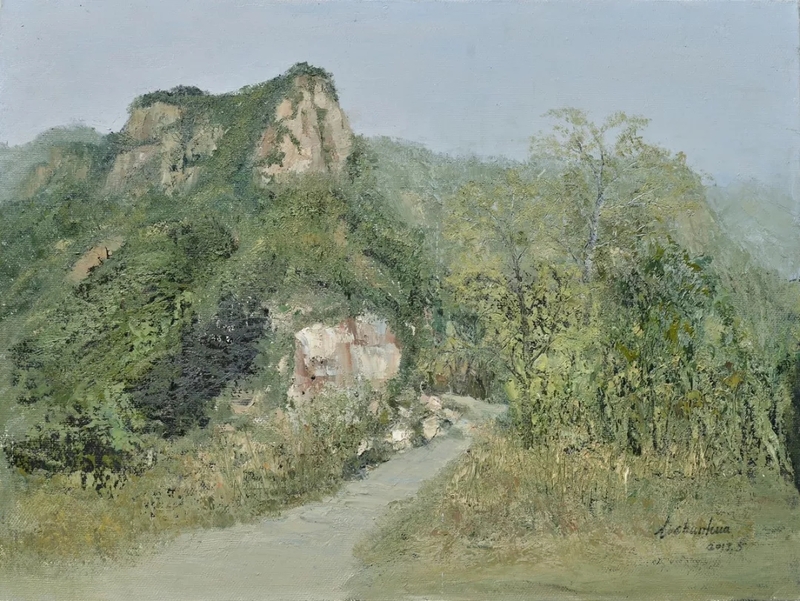 In 2012, oil painting lihua gully was selected into Beijing image "landscape huairou" art exhibition. In 2014, oil painting "city and village" won the 11th yanzhao qunxing award of hebei province, awarded by hebei provincial department of culture. 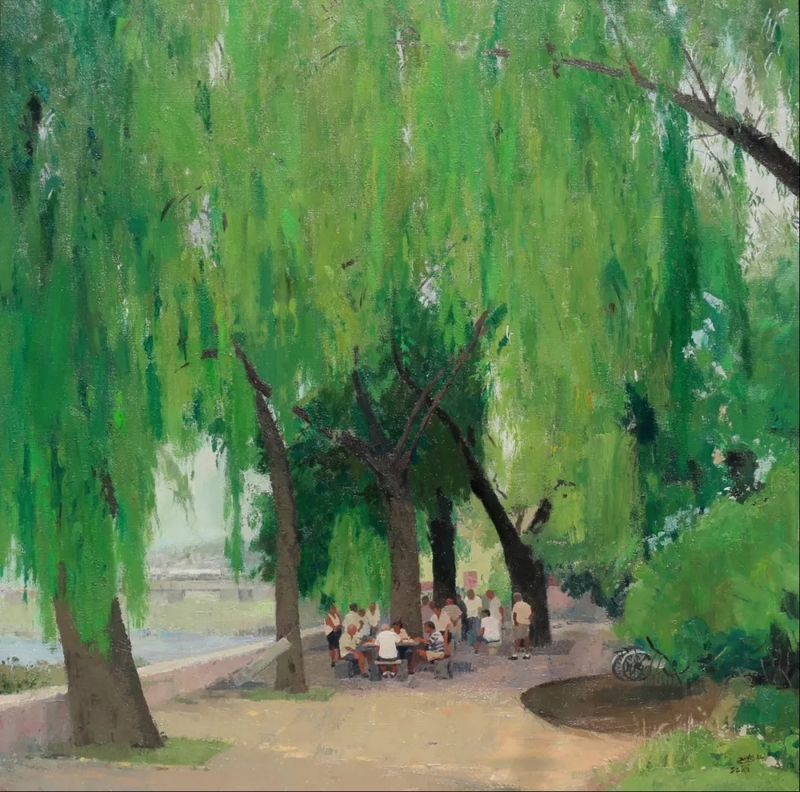 In 2015, the oil painting "a summer day" won the 2015 wu guanzhong art museum national oil painting exhibition "the highest award" excellence award, award single: Chinese artists association. 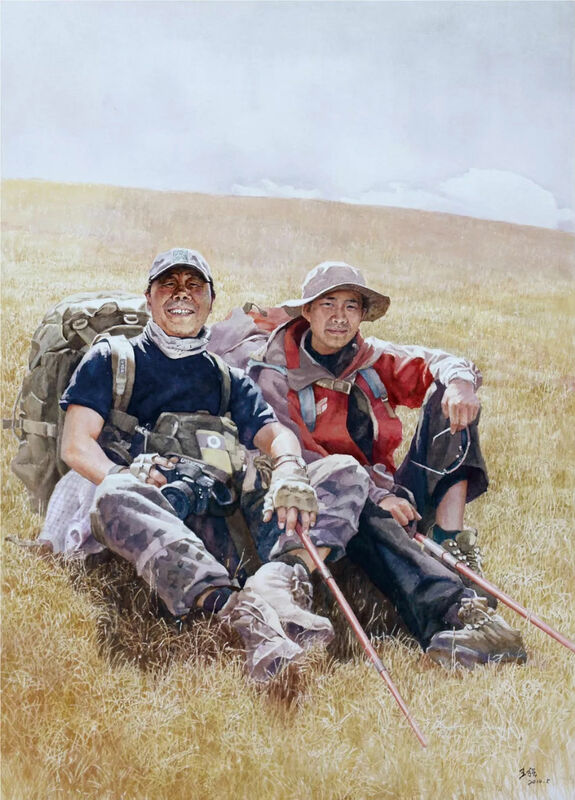 In 2016, oil painting "two in summer" was selected as the visible poem -- the second exhibition of Chinese landscape oil painting works, organized by the Chinese oil painting association. In 2017, oil painting summer won the 12th yanzhao qunxing award of hebei province, awarded by hebei provincial department of culture. 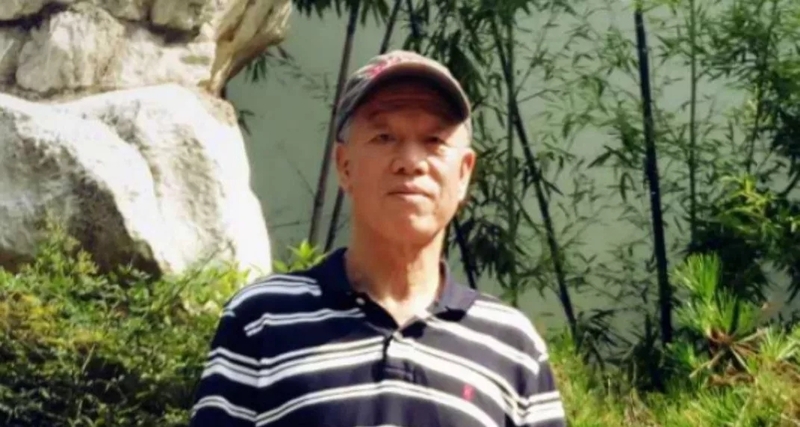 Kang zhongqin, han nationality, born in chengde, hebei province, joined the army from chengde normal university in the early 1960s to do cultural propaganda work in the army. 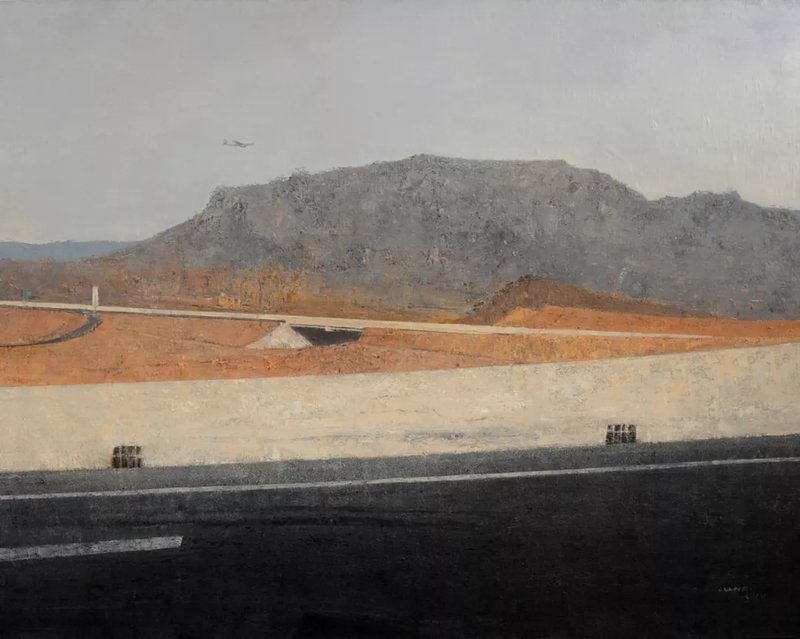 In the early 1970s, he transferred to the central academy of fine arts to study under the famous painters Lin gang, jin shangyi, luo erchun and gao qi. 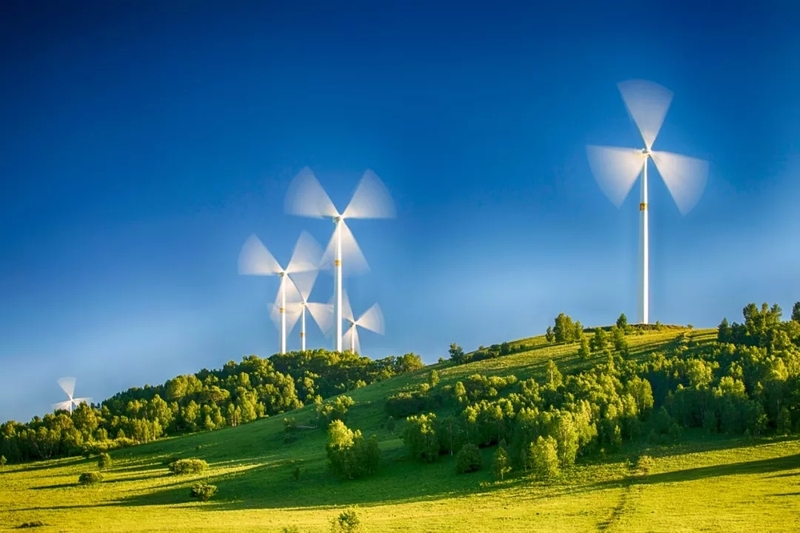 Over the past decades, we have been working in the rural areas of northeast China, the nenjiang river basin, the greater hinggan mountains, the lesser hinggan mountains and hulun buir grasslands on the spot for sketching. In 2014, I won the first prize in the "education beauty for you" national painting and calligraphy competition to celebrate the 30th teachers' day. In 2011, oil painting "aoluguya" participated in the invitational exhibition of "my country and my people" held by the oil painting art committee of the Chinese artists association. In 2007, "kang zhongqin's north style oil painting solo exhibition" was successfully held in Beijing 798 art district. 2002 landscape participated in the national fine arts exhibition commemorating the 60th anniversary of MAO zedong's speech at the yan 'an symposium on literature and art. 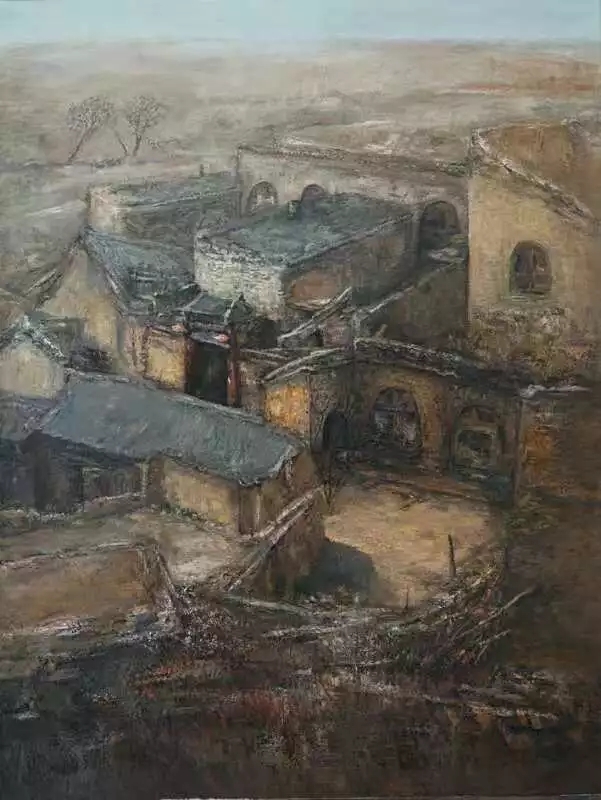 In 2001, "da xiang old house" participated in the Chinese oil painting exhibition and won the award of excellent works, which were collected by the state. 2000 series of works participated in the world Chinese outstanding works exhibition in the national art museum of China. In 1980, participated in the painting exhibition of oil painting department of the 30th anniversary of the founding of the central academy of fine arts, which successively included canxue, October in dashang, winter night in dashang, the eighth route army I saw in my childhood, old amah and silent comrades-in arms. Many of his works have been exhibited, exhibited and won prizes in various exhibitions of northern customs. In 1966, he won the first prize of communication report of shenyang military region, and in 1965, the beginning of a day won the creation prize of the fourth art exhibition of shenyang military region. Many works of art have been collected by the state and friends at home and abroad. Over the years, a large number of students have been trained and sent to the central academy of fine arts and other national key art colleges and universities. 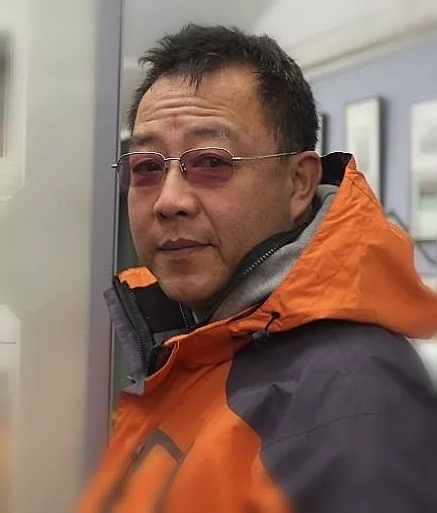 Li chunhua, male, born in August 1966 in chengde city, hebei province, graduated from chengde normal college in 1991 and is now the dean and associate professor of fine arts and design college of hebei normal university for nationalities. In 2014, "snow falls in the village" was selected and won the award of excellent works in "the eighth exhibition of Chinese paintings and oil paintings on the land of western China" held by the Chinese artists association. In 2014, "the road beam" was selected in the first hebei fine arts exhibition held by hebei provincial cultural department. 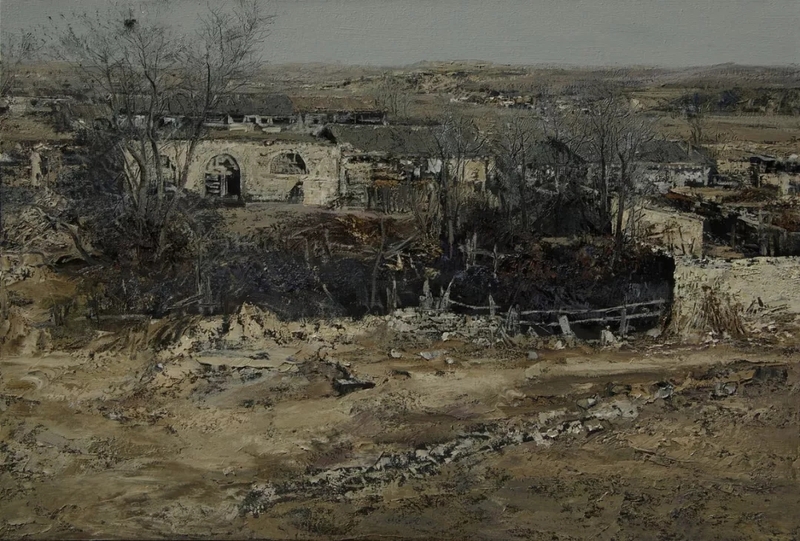 In 2014, oil painting landscape was selected in the hebei art works exhibition held by hebei artists association to celebrate the 65th anniversary of the founding of the People's Republic of China. In 2015, "loess narrative" was selected in the first calligraphy and painting exhibition of teachers and students of art departments of colleges and universities in hebei province held by the education department of hebei province. In 2016, the first "green bamboo painting material cup" national oil painting exhibition of sand was selected and collected. 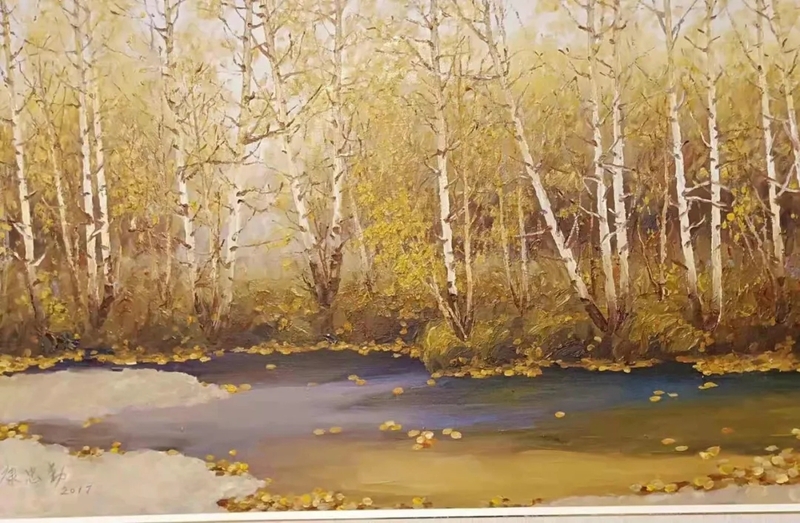 Oil paintings "early spring", "stream", "landscape", "winter snow" and "snow" were published in the core national art journal "Chinese oil painting". His works "late autumn", "haze" and "autumn two" were published in stages in the national core art journal "art education". Li desheng, born in 1937, was born in chengde city, hebei province. As a student, he studied under two old masters, wang xin, a famous watercolor painter, and guan kuo, a calligrapher and national painter. His early paintings were deeply influenced by guan guangzhi, a watercolor painter, and klimashen, a former Soviet painter. 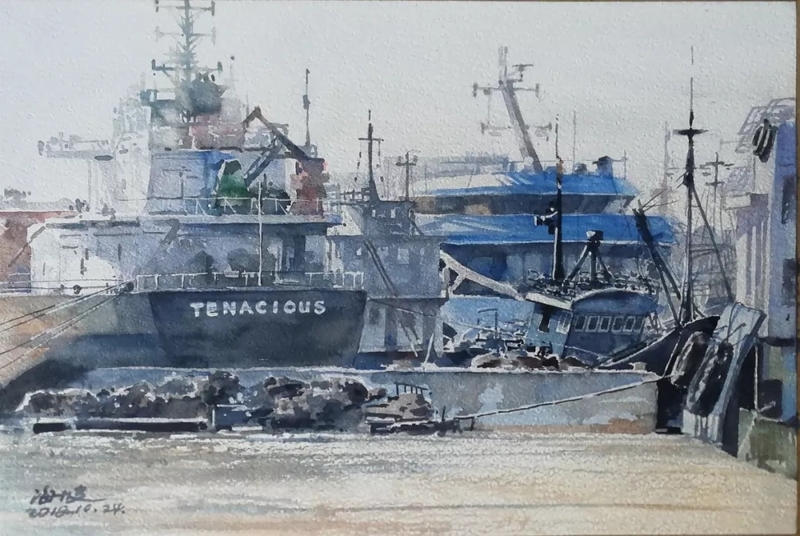 Since more than 60 years of painting, he has consistently adhered to the practice of sketching from real scenes, and based on his sketching works, he has made more rigorous large-scale watercolor painting creation. 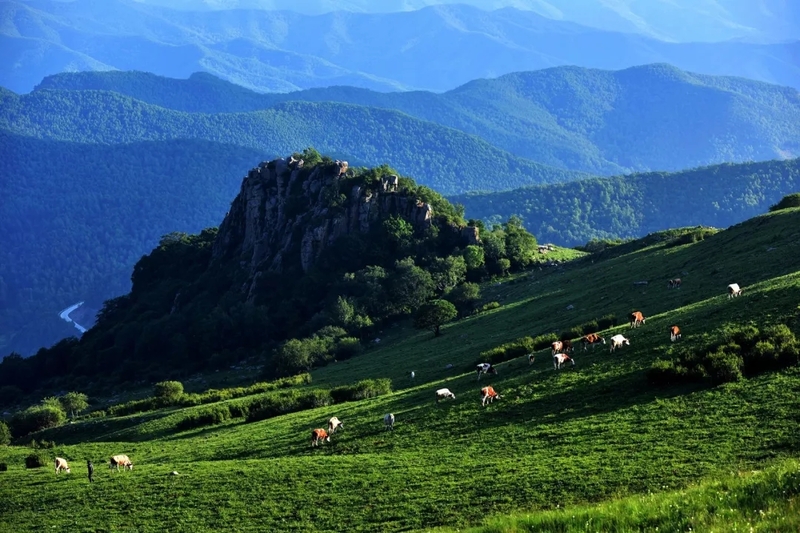 Most of his works take chengde summer resort and its surrounding han and Tibetan ancient temples, grasslands, and village scenery as the creation materials, combining feelings in the scenery, with strong regional characteristics and personal appearance, but also presents the old man's deep feelings of hometown. His watercolor paintings are full of vitality, light and shadow, beauty and magnificence. The engraving works are concise without losing their connotation. 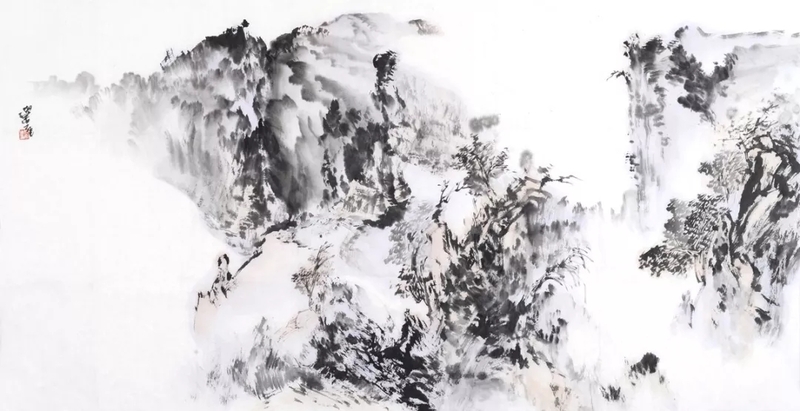 They perfectly combine the artistic conception of Chinese painting with the composition of western painting. 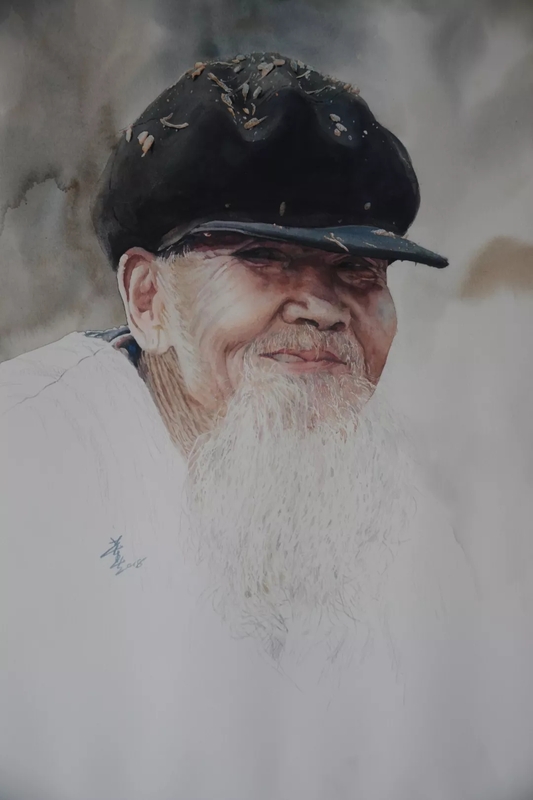 Li desheng's watercolor paintings and prints have been published in national publications for many times since the 1950s. 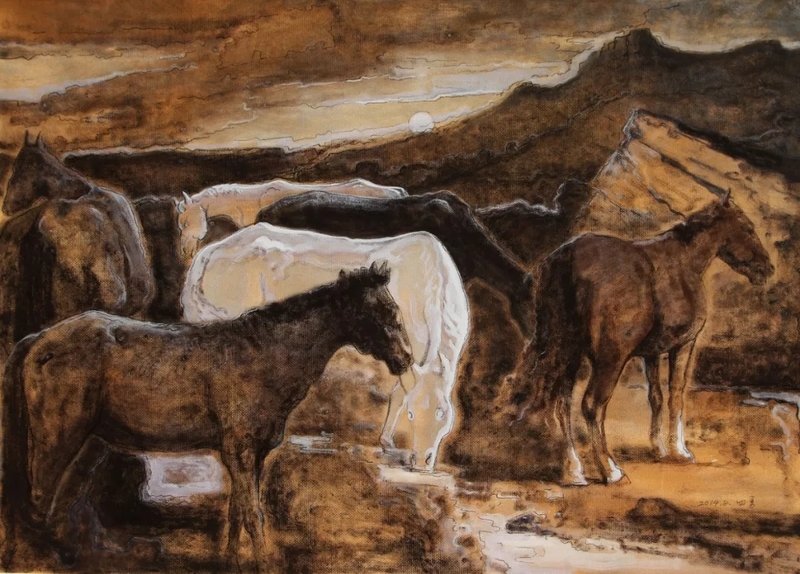 He has participated in national provincial and municipal exhibitions, and many of his works have been collected by collectors at home and abroad. 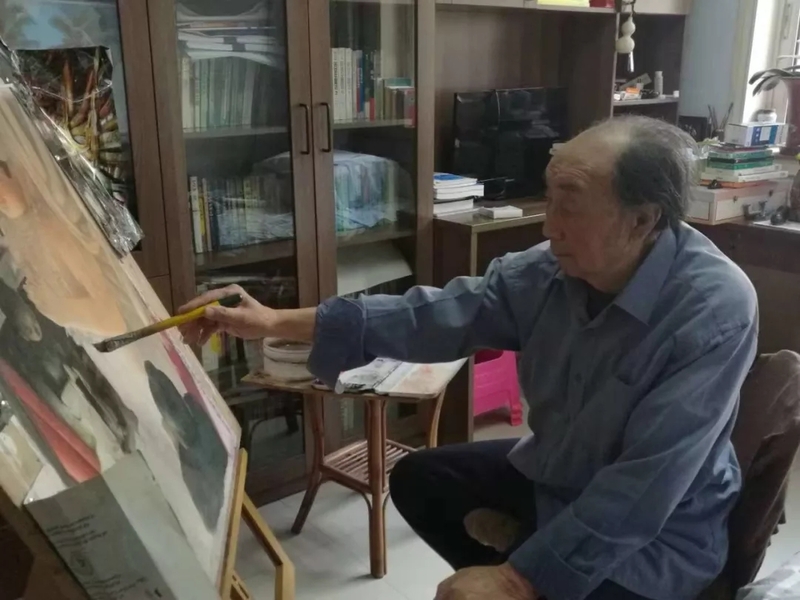 Li desheng has now entered his eighth decade of life, still continue to work at table painting danqing, an old hero and straggling in a thousand li, is really valuable! 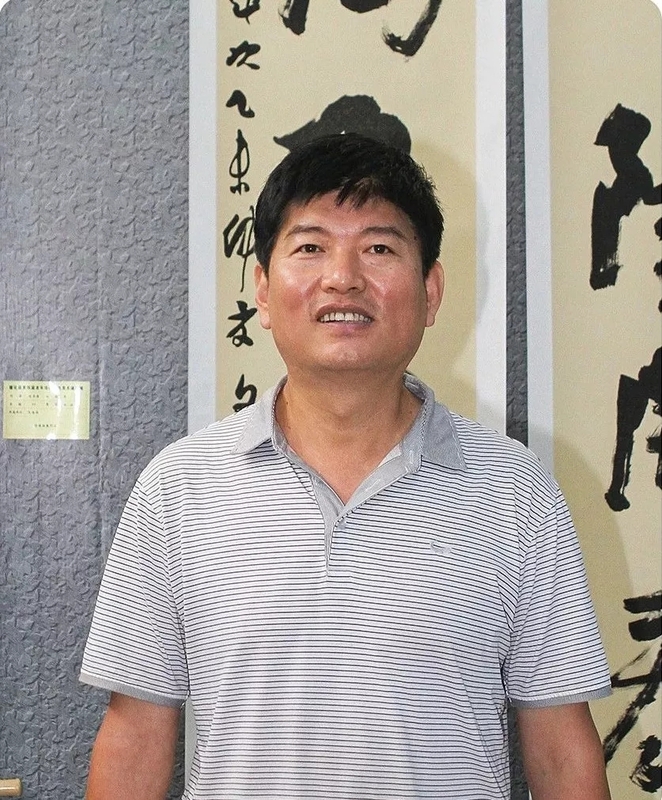 Li hongchun, born in 1962, graduated from the fine arts department of hebei normal university, national second-level artist, China calligraphy and painting newspaper invited calligrapher, member of hebei artists association, chengde artists association director. Good at meticulous flower and bird painting. Li changzheng, born in chengde city, hebei province, graduated from the fine arts department of hebei normal university and has been engaged in education fine arts work for more than 20 years. He is good at the creation of oil painting and watercolor painting. 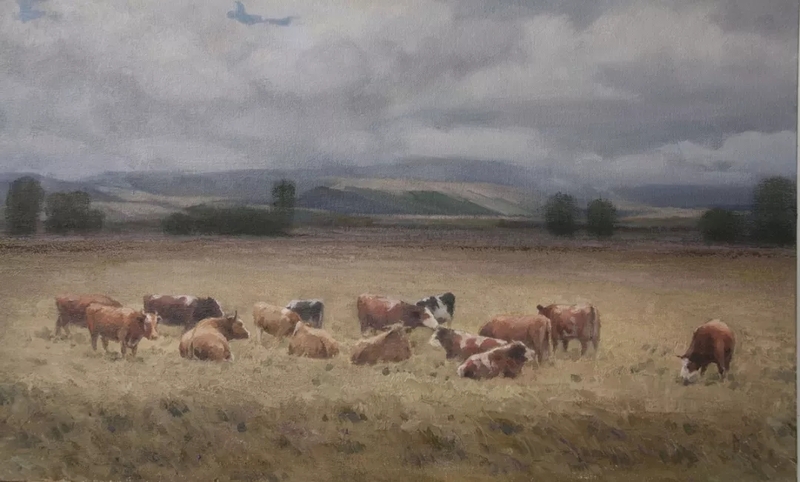 His works are mainly landscape painting creation and mostly show the local conditions and customs of the countryside. 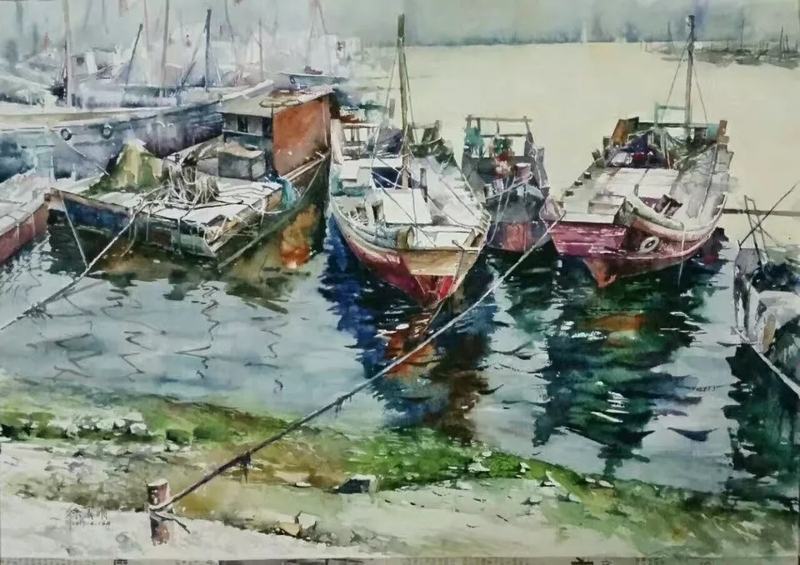 His pictures with feelings in the scenery not only have a deep and simple flavor, but also have the expression of the traditional watercolor painting and poetic realm. 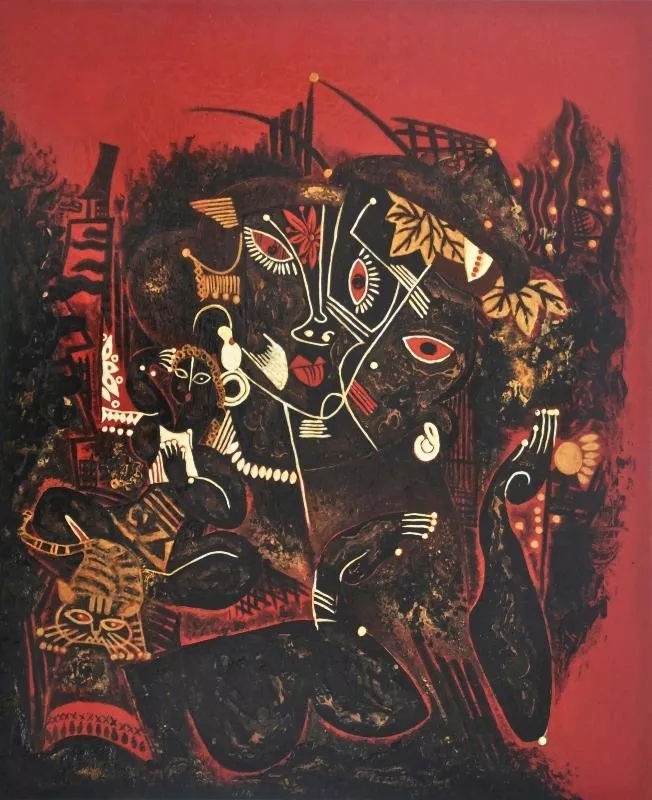 His works have participated in many provincial and national exhibitions and have been collected by art lovers and collectors at home and abroad. 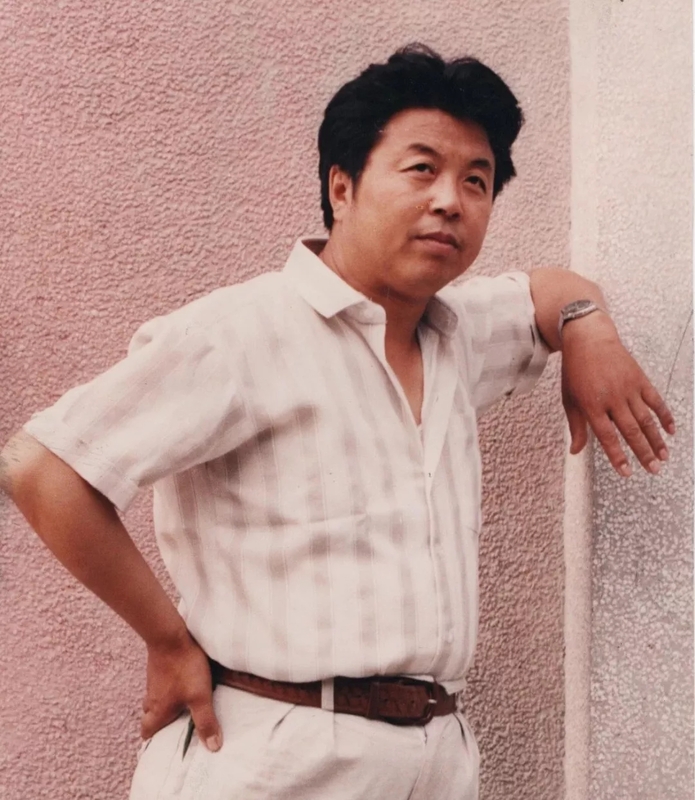 Liu Dali, male, September 1978, chengde county, hebei province CPPCC member, member of the Chinese artists association, chengde city artists association director, chengde county artists association vice chairman and secretary-general. I love painting since I was a child. After graduation from college, I have been working tirelessly to create a large number of landscapes, flowers and birds. 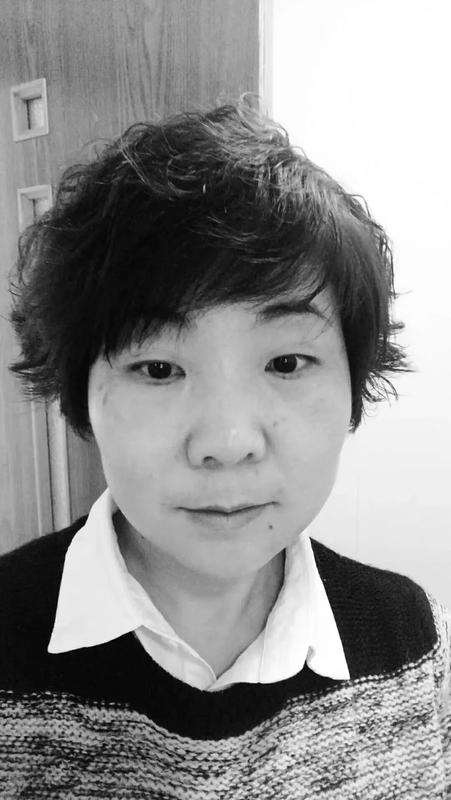 His works have participated in national, provincial and municipal exhibitions for many times: in October 2017, his work "alarm bell ringing" was selected into the eighth China jiaxing international cartoon biennale held by the Chinese artists association. In November 2017, the work "playing in summer" was selected into the first national animation art exhibition held by the Chinese artists association. In 2016, "new refugees" was selected into the 11th China cartoon exhibition "zikai cup" held by the Chinese art association. 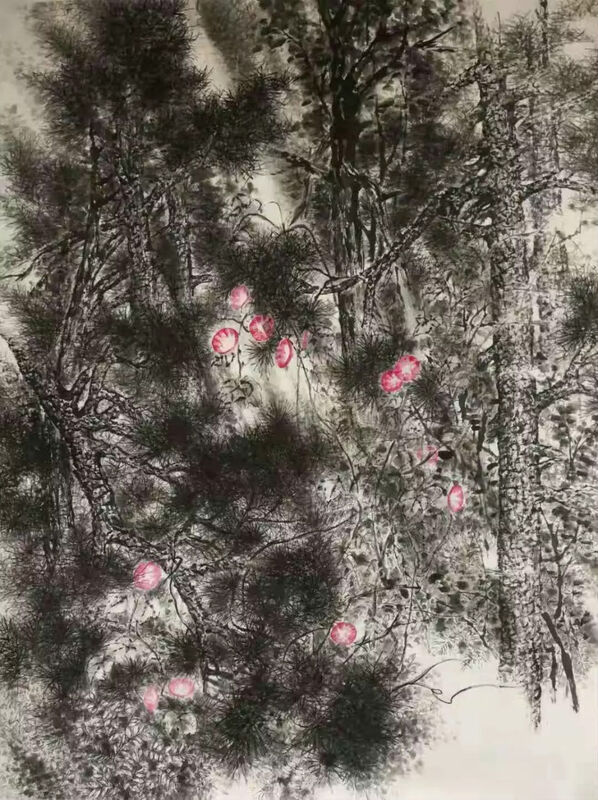 In 2014, seven sages of new bamboo forest was selected into the 12th national art exhibition; In 2014, "clear picture" won the prize of the seventh flower and bird painting exhibition. 2012 "ailian shuo" national bureau of statistics "statistical grace" painting and calligraphy exhibition first prize; In July 2016, his work "baota mountain opens to the sun from below" won the first prize of hebei provincial people's congress fine arts exhibition to commemorate the 95th anniversary of the victory of the communist party of China. In 2014, his work was selected as "hebei fine arts exhibition to celebrate the 65th anniversary of the founding of the People's Republic of China". The third prize of the first hebei province farmers painting and calligraphy exhibition in 2014, etc. 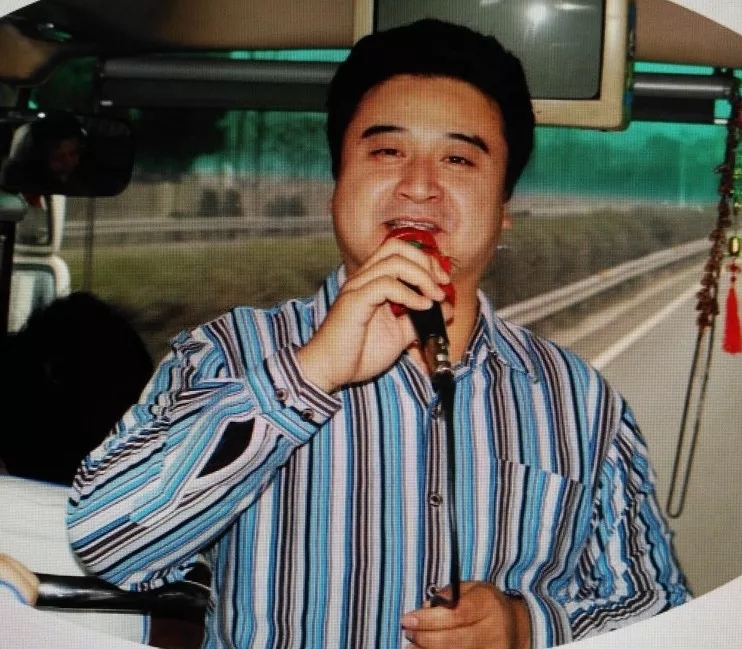 In 2015, he was awarded as "star of yanzhao culture" by the propaganda department of hebei provincial party committee, and was the top talent of municipal professional technology. In 2014, I successfully held my first painting exhibition in chengde city, which was recognized by experts and the public. Liu dayu, hebei chengde people, self-taught painting and calligraphy art for many years. 90 years in Beijing academy of painting research, from professor liu zhanjiang. His works have participated in various exhibitions and individual painting and calligraphy exhibitions. Now he works in chengde art academy. Ma siyong, born in 1969, is of hui nationality. He graduated from the fine arts department of hebei chengde normal college in 1994. 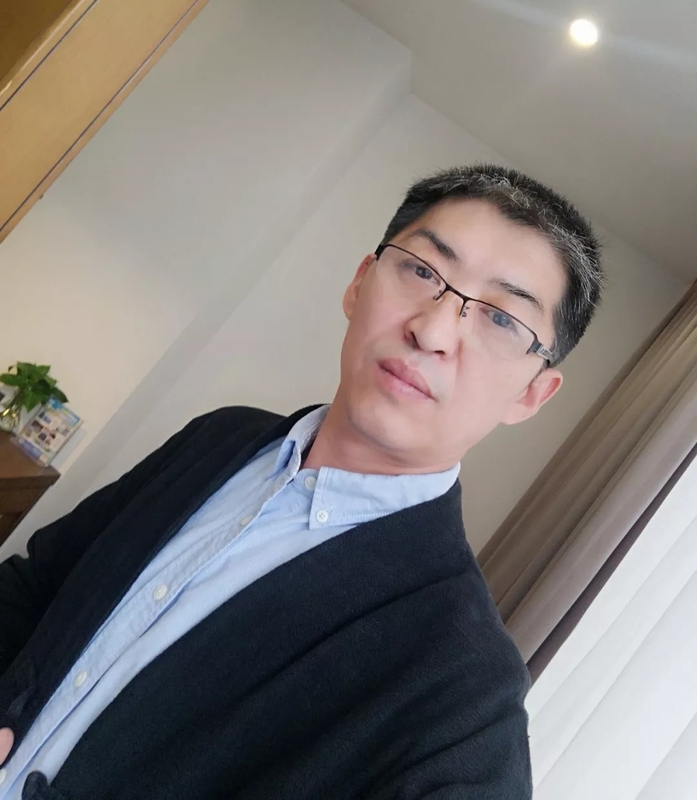 Currently, he is the art teacher of chengde no.8 middle school and chengde art high school, and the executive director of chengde art association. 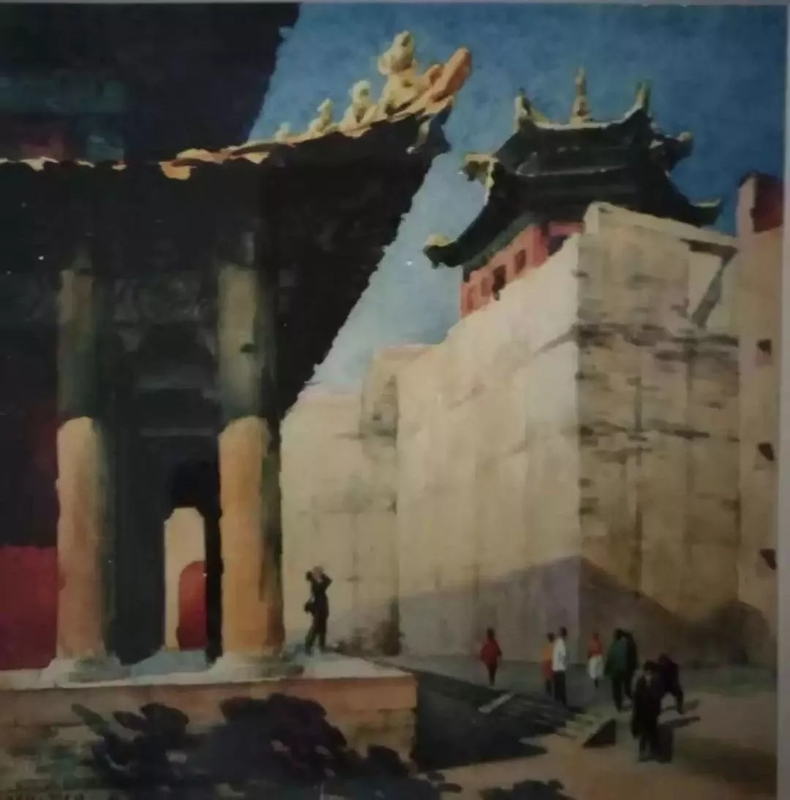 "Gate" was selected into the art exhibition of the 50th anniversary of the founding of hebei province, "two young ladies" was selected into the watercolor gouache painting exhibition of hebei province, and "tableland" was selected into the second national minority art exhibition. Meng qingjiang was born in xinglong county, hebei province. Graduated from chengde normal college art department in 1993. 2017 advanced study class of Chinese academy of oil painting, Chinese academy of art. 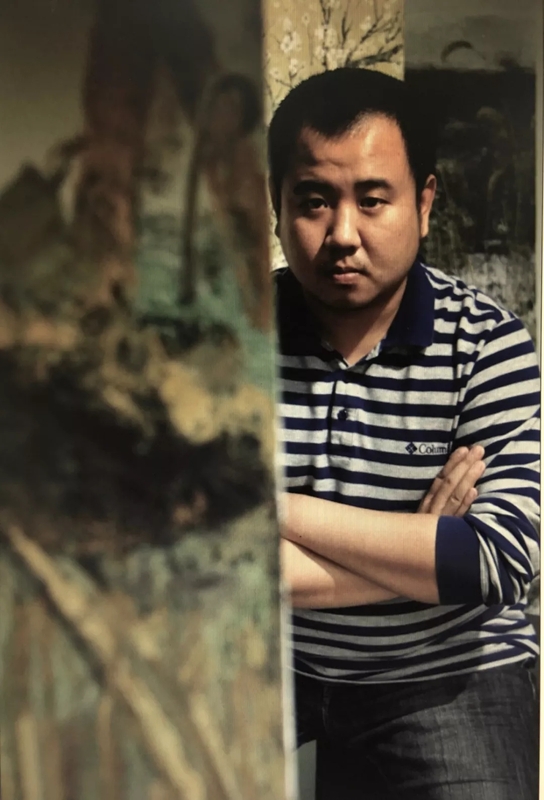 Born in 1977, he graduated from the fine arts department of chengde national normal college in 1998 and participated in the exhibition of chengde art association for many times. 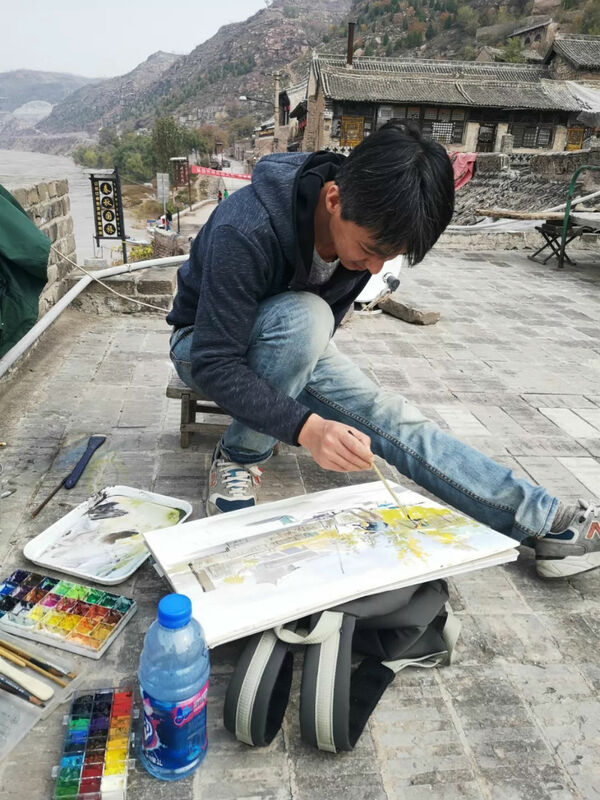 Sun shilei, male, chengde, hebei province, graduated from the central university for nationalities, majoring in minority art. Member of China artists association, member of Chinese claborate-style painting association, Beijing painting ChongCaiHua member, China national art academies distinguished painter, Li Keran young artists, art academies have won many prizes for exhibition of China artists association and, in many national art museum of China, the China national art academies, Beijing cultural palace, today art museum, yanhuang art museum, military museum display. 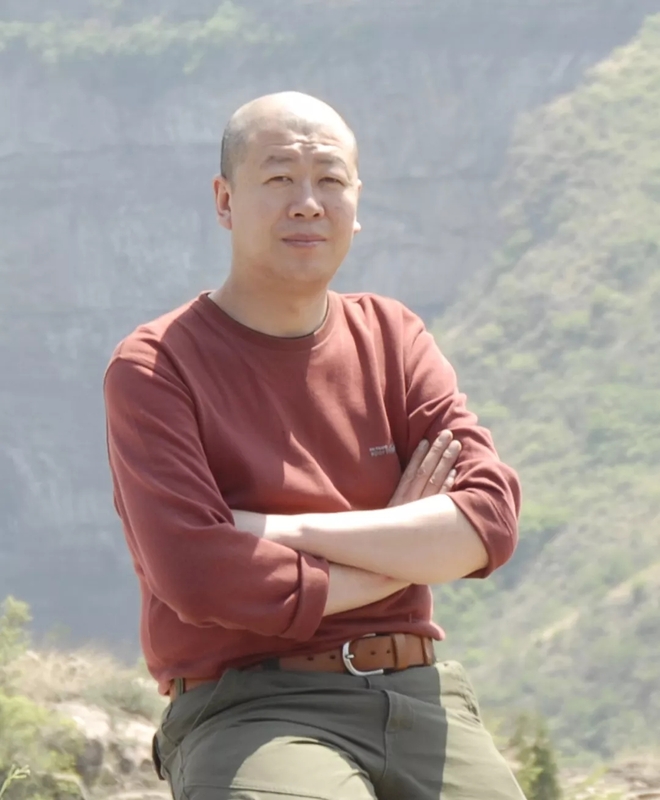 Wang haijun, born in 1965 in chengde, hebei province, master of arts, professor. 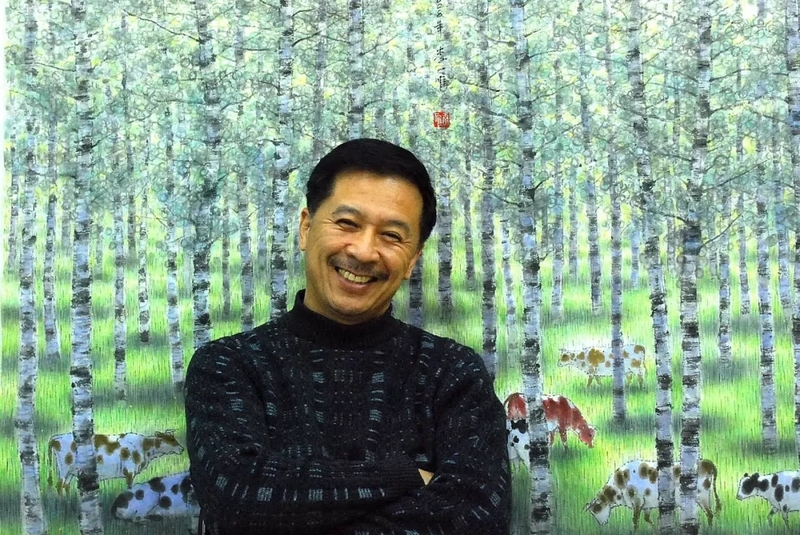 Member of Chinese artists association, executive director of hebei oil painting association. In 2003, the state sent him to Russia's national normal university to obtain a master's degree in art. Currently he teaches at the college of fine arts and design, hebei normal university for nationalities. Wang haiwei was born in liaoning province in 1988. He graduated from the first studio of oil painting department of tianjin academy of fine arts with a bachelor's degree in 2011. In 2014, he graduated from the graduate department of oil painting of tianjin academy of fine arts with a master's degree. 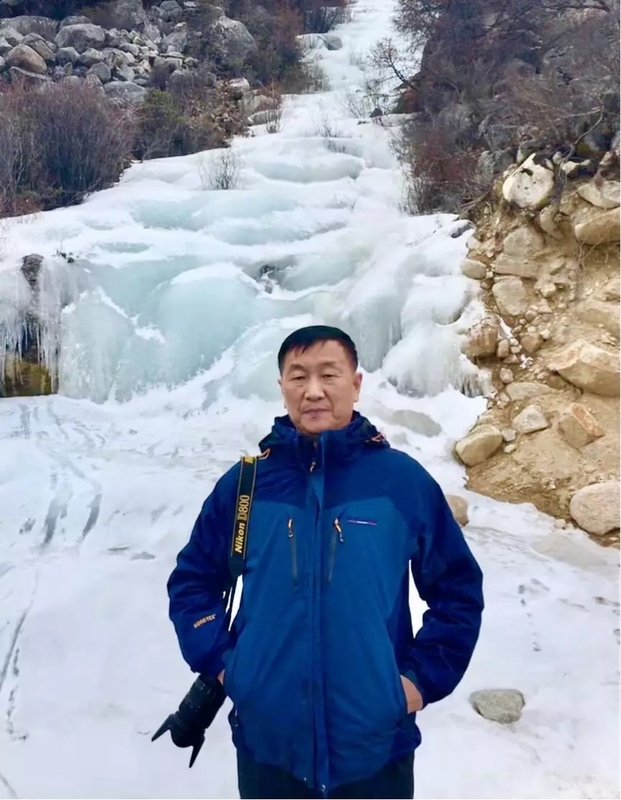 He is currently a teacher of oil painting in the college of fine arts and design of hebei normal university for nationalities. • in 2014, "thinker ii" and "mountain" were selected as "pursuit of excellence: artists from the college -- the first invitational exhibition of oil painting". 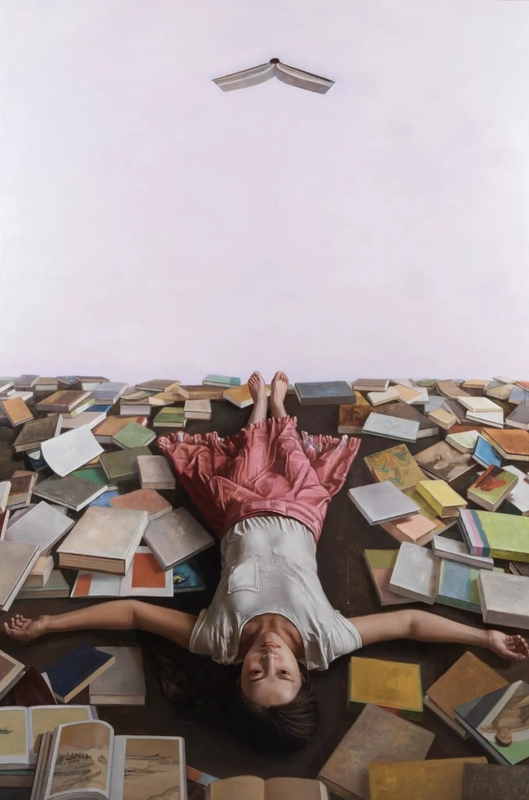 • in 2012, "three generations" was selected to commemorate the 70th anniversary of the publication of "MAO zedong's speech at the yan 'an forum on literature and art"
Wang yanan is a senior artist in pingquan city, hebei province. Member of hebei artists association, hebei gongbi painting association, chairman of pingquan artists association. 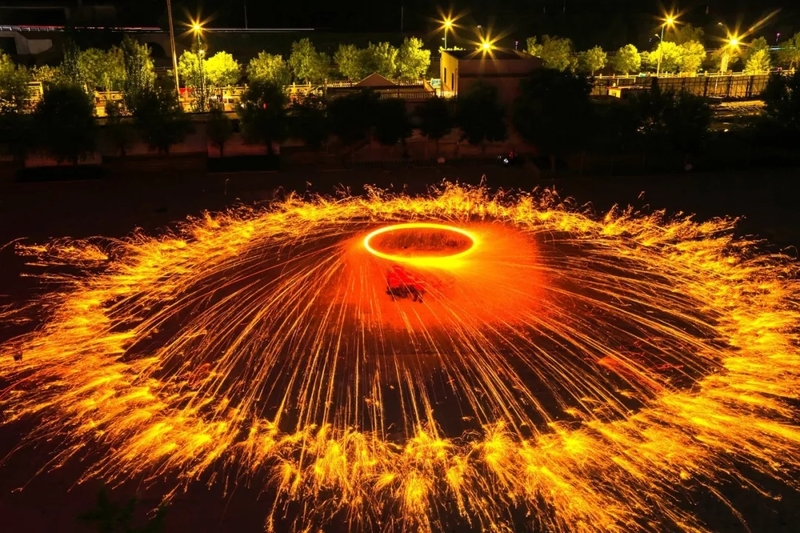 Won the title of "star of yanzhao culture" and "top professional and technical talents", won pingquan art prosperity award for three consecutive times, and was elected as chengde party representative and member of pingquan CPPCC. His works have been published and awarded many times. Chengde city television did a special interview. Xiong ying, manchu, professor of fine arts and design college of hebei normal university for nationalities, academic leader, top talent of the city, visiting scholar of lacquer painting major of academy of fine arts of tsinghua university, deputy director of lacquer painting art committee of hebei artists association, member of Chinese artists association. 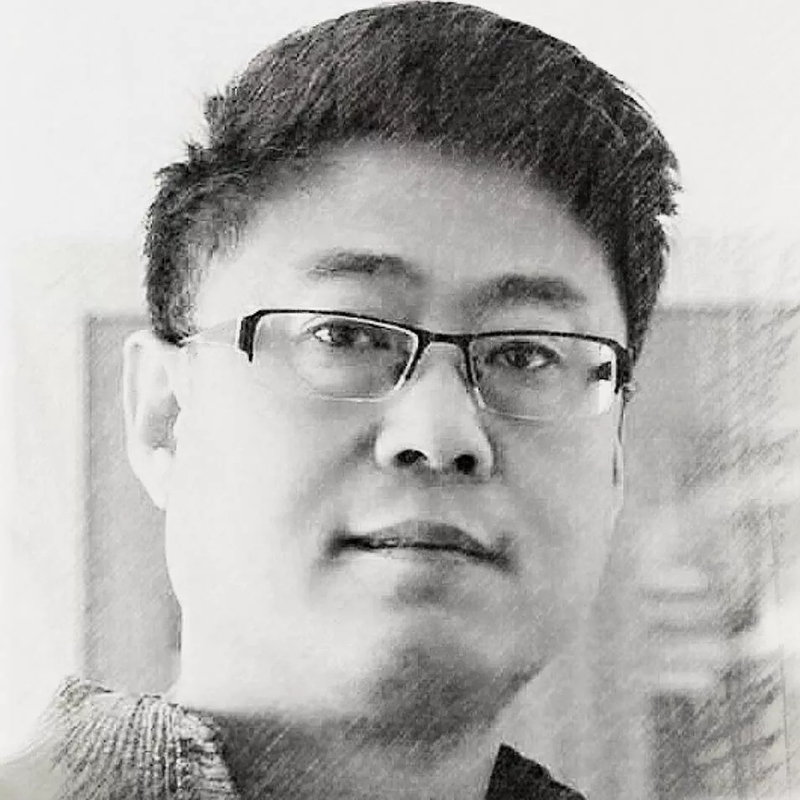 He graduated from the art department of hebei university in 1999 and is currently the vice President of the school of fine arts and design of hebei normal university for nationalities. He is also a member of hebei artists association. In 2015, oil painting "ruixue" was selected as "the first calligraphy and painting exhibition of teachers and students of art departments of colleges and universities in hebei province". 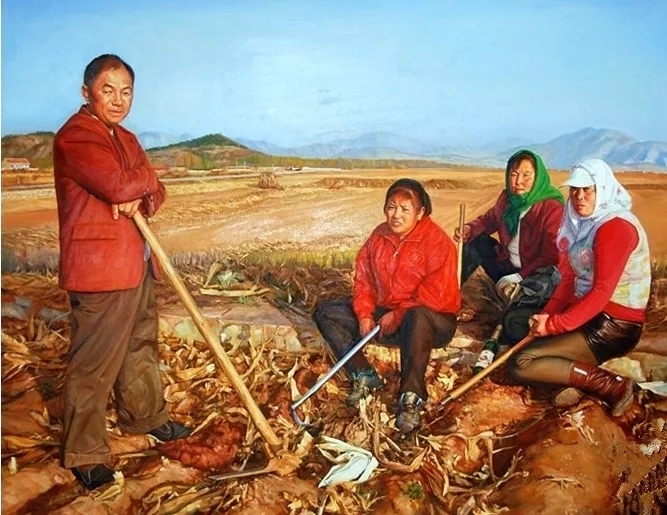 In September 2014, oil painting "family in the mountains" was selected as "hebei art works exhibition to celebrate the 65th anniversary of the founding of the People's Republic of China". 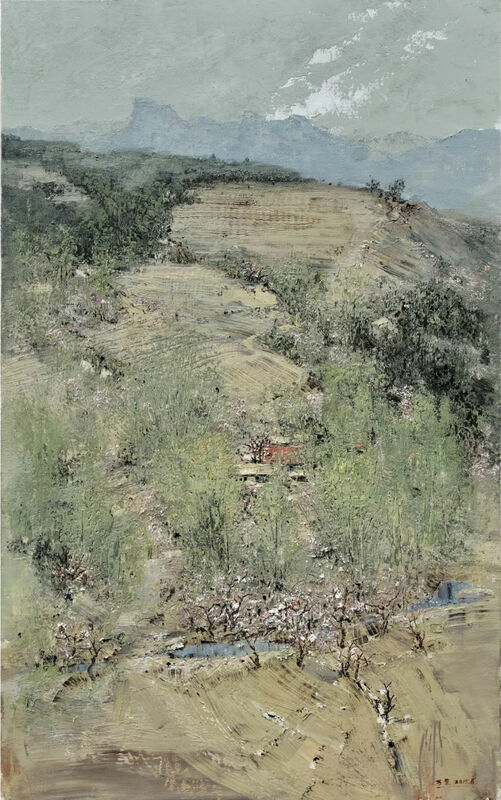 In July 2013, oil painting "fu jia village after snow" was selected as "integration and foresight -- the first oil painting exhibition". October 2013 oil painting "fu jia cun after snow" was published in "fine arts"
In April 2012, my work "boda communication logo" was awarded the silver award of the year in "Chinese designer's work yearbook"
Xu xiaoming, graduated from the film and art department of liaoning university of culture and art, and was engaged in art publicity work in chengde cultural system in 1976. Later, I was transferred to the financial system and engaged in financial work. During this period, my art works were published on national and provincial journals for many times and I participated in various activities of provincial and municipal art associations for many times. 2016 "moving toward hope" was selected as "2016 national oil painting exhibition of wu guanzhong art museum ". In 2015, "march into the east" was selected as "red memory of the new fourth army of iron". 2014 "under time 4" was selected as the "bronze award" of hebei oil painting exhibition "if I am what I am"
2014 mirage vi was selected as "hebei art works exhibition on the 65th anniversary of the founding of the People's Republic of China". Yang Wang 1969.04.11, the first senior high school art teacher in hebei province, hebei province artists association, member of chengde county artists association chairman, 28 years engaged in the high school fine arts teaching, in December 1999, the national advanced individual art education by the ministry of education, and many times to participate in national, provincial, municipal works exhibition and won the prize, many times by the Chinese and foreign people collect, masterpiece "the hope that the field" "seven JiuHe open"
Yang xiufeng, master shangyi zhai, character jing zhi, director of chengde art association, member of chengde shuxie association, member of chengde youth shuxie association, chairman of shuangluan district art association, chairman of shuangluan district art association, chairman of shuangluan district art association, chairman of traditional Chinese painting xi ren bonian, brush and ink of wu changshuo, calligraphy pursuit of the two Kings, mifu and wang duo. 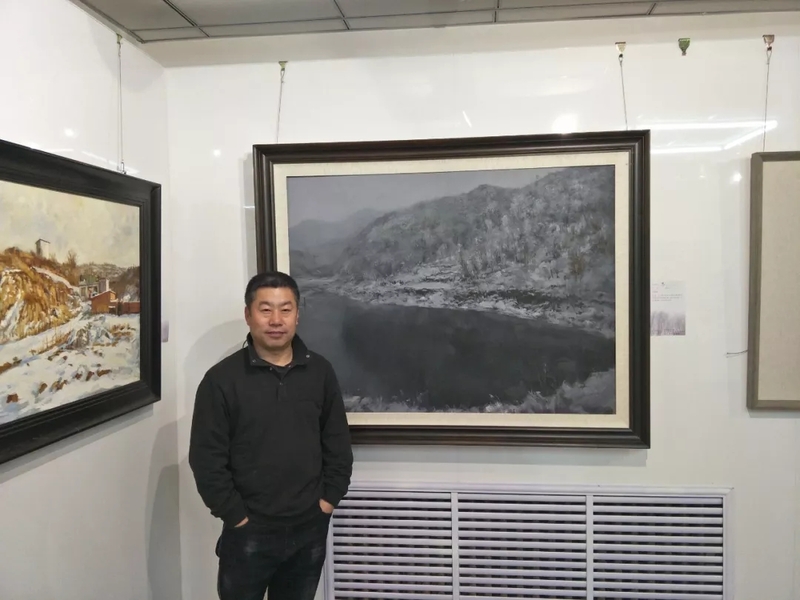 Zhang aiguo, member of hebei artists association, won the excellence award of "the first national Chinese painting art joint exhibition" for his work "ice clean between heaven and earth". "Weaving calabash hanging hall" won the excellent award of the second hebei art joint exhibition; "Reverie in late autumn" was selected into the invitational exhibition of series of works of 100 young Chinese artists; "Warm sun" was selected into the national art teacher exhibition of primary and secondary schools. Zhang feng, also known as dafeng, was born in jizhou, hebei province in 1979. 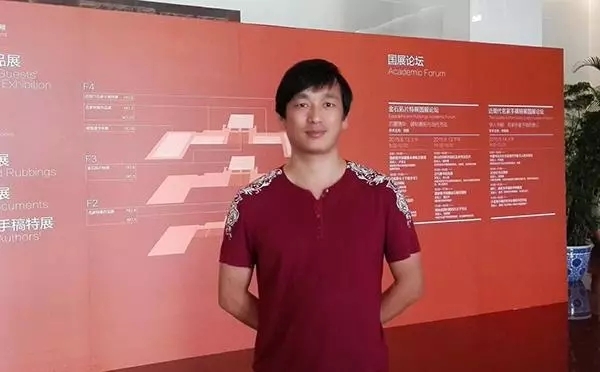 He graduated from the academy of fine arts of hebei normal university in 2004 and has been educated in bai liansheng, jiang shiguo, bai yunxiang, wang shunxing and other gentlemen. 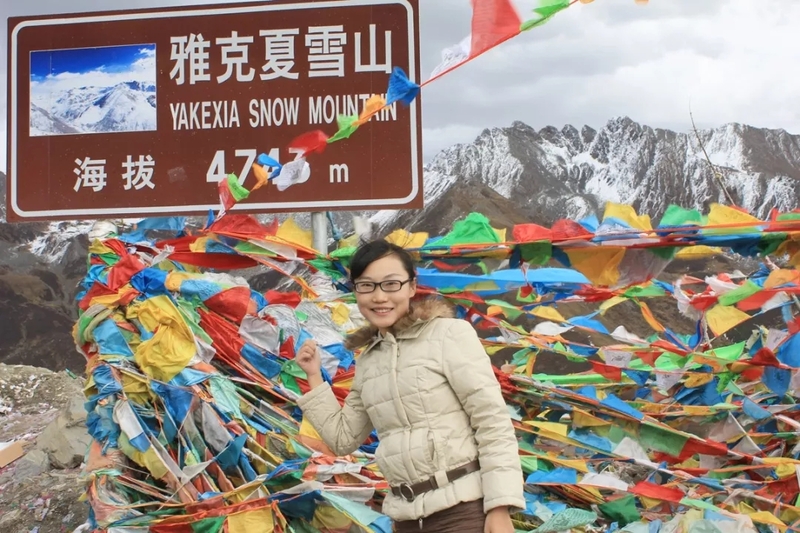 In the same year, he taught at hebei vocational college of tourism, where he was educated by Mr. Ma weichi. He is a member of hebei art association. 2. 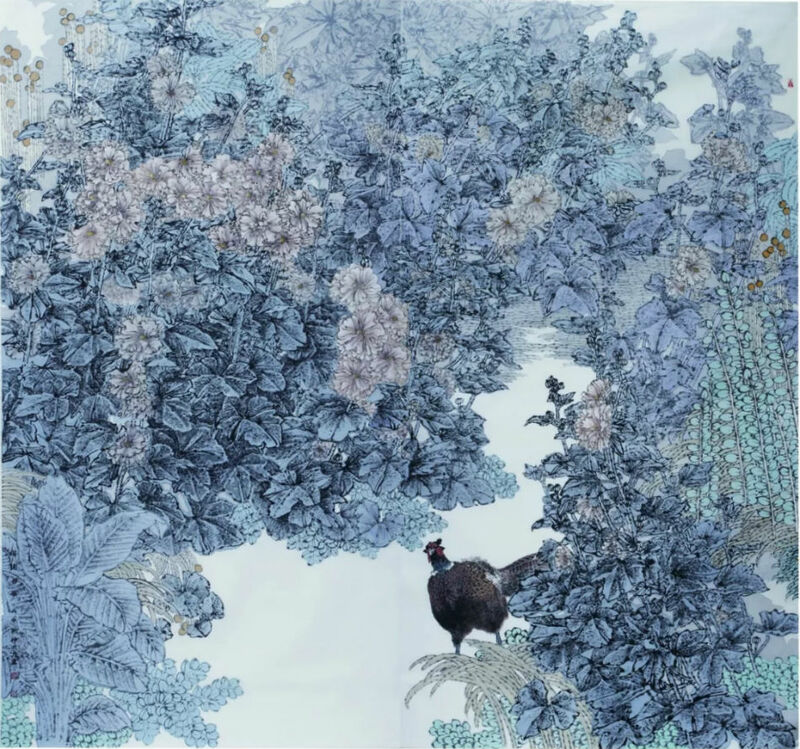 In 2014, the work "homeland" won the excellence award of the eighth national hundred flowers award of Chinese painting exhibition sponsored by the Chinese artists association. 6. In 2014, the work "home" was selected into the "hebei fine arts exhibition to celebrate the 65th anniversary of the founding of the People's Republic of China" sponsored by hebei provincial department of culture. Zhang yanzhi, male, manchu, born in 1957, graduated from the department of art, hebei normal university, majoring in oil painting in 1979. He entered the postgraduate class of capital normal university in 1983. He is currently a professor in the fine arts department of hebei normal university for nationalities. He is a member of Chinese artists association and a special professor of hebei academy of fine arts. Sponsored by oil painting art committee of Chinese artists association. 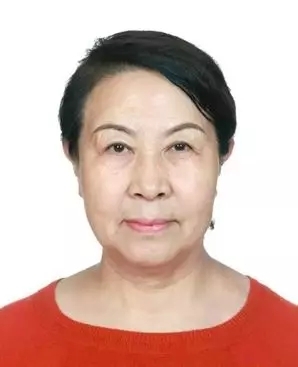 Zhang yanhua, member of China heavy color painting research association of Chinese artists association, member of hebei artists association, executive director of hebei female painters association. 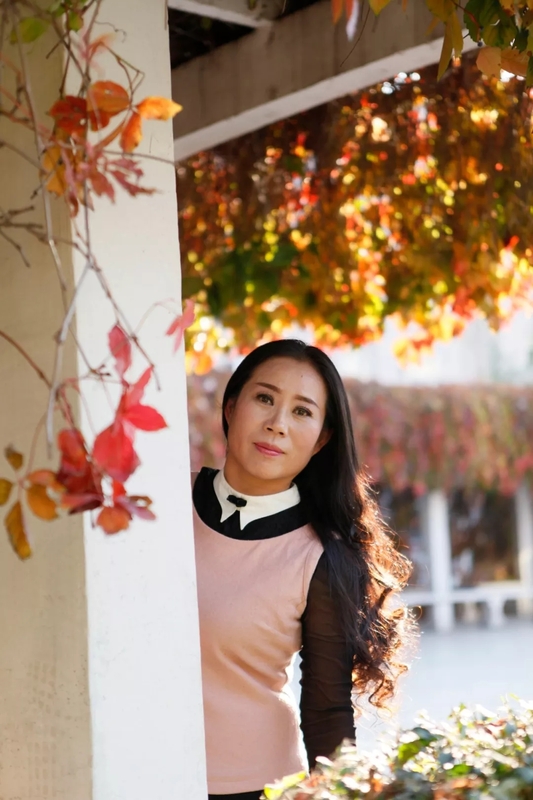 Graduated from hebei arts and crafts school of sculpture major in 1987; Graduated from the fine arts department of hebei normal university in 2002; Graduated from hebei normal university history department ancient Chinese graduate class in 2004; Jiang caiping graduated from the central academy of fine arts in 2015. 1986年焦墨山水《苍龙岭上卧苍龙》全国五院校联展(浙江美院天津美院 内蒙古师大 河北师大 河北师院) 优秀奖. 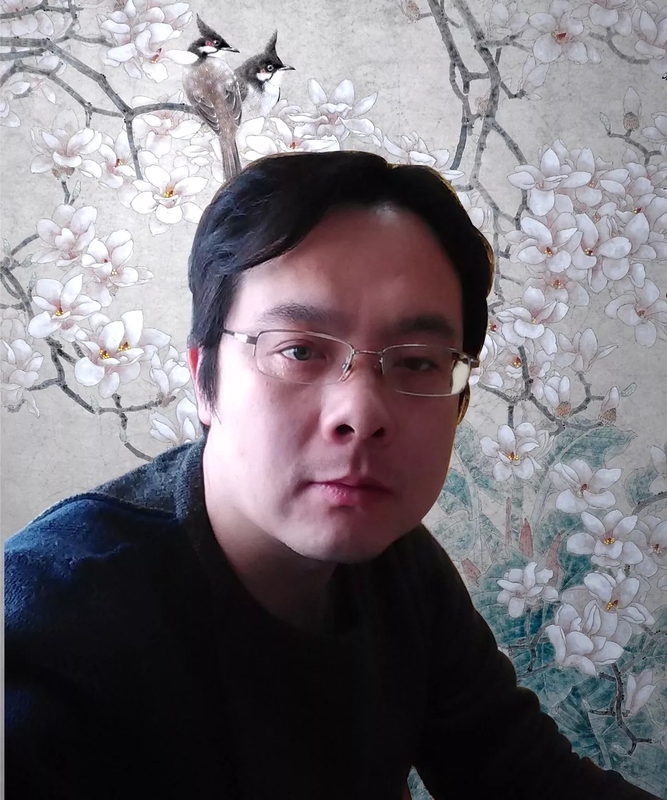 Zheng li, associate professor, college of fine arts and design, hebei normal university for nationalities, studied western painting under Mr. Zhang zhenshi, a Chinese portrait painter. Member of hebei branch of Chinese artists association. Member of chengde artists association. 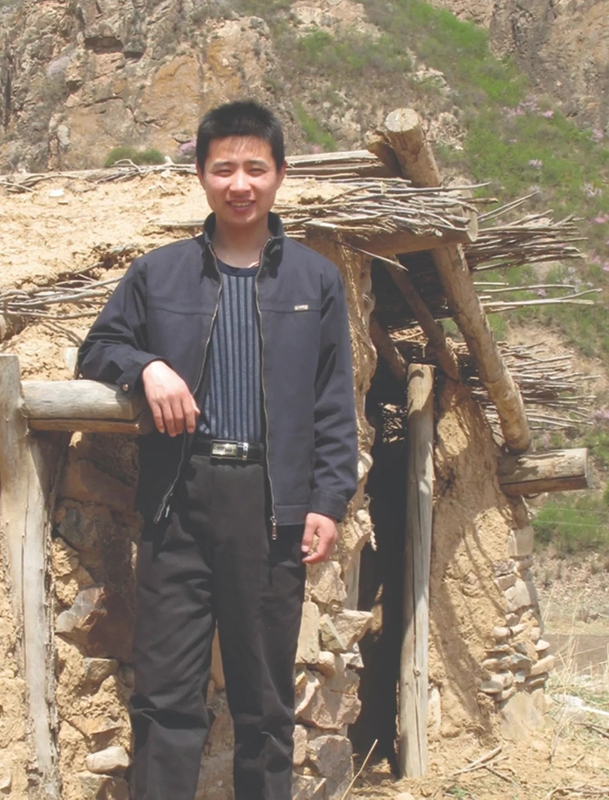 Member of qiannan artists association. In 1994, he was appointed as a visiting professor of the fine arts department of hebei normal university (now the college of fine arts of hebei normal university). 1999: Chinese painting ABC, published by chaohua publishing house, Beijing. 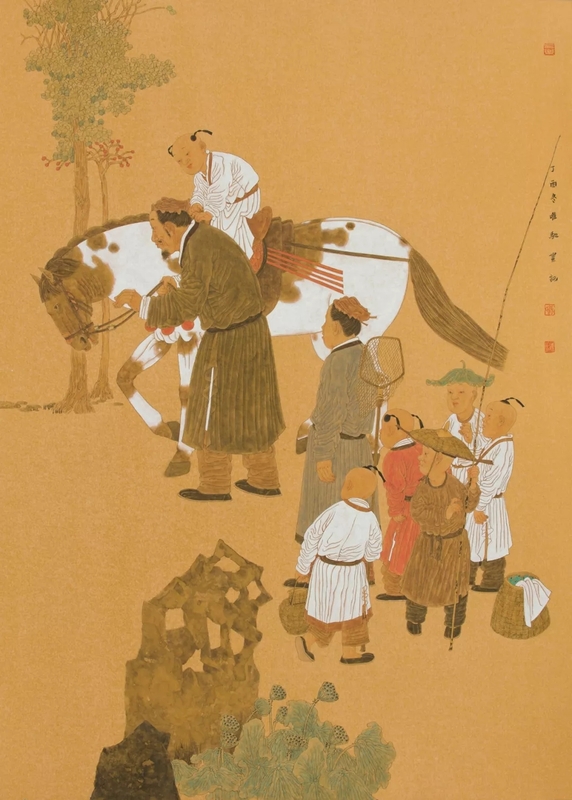 1988 national painting and calligraphy exhibition sweet, a traditional Chinese painting figure, was exhibited and collected in the national culture palace of China. 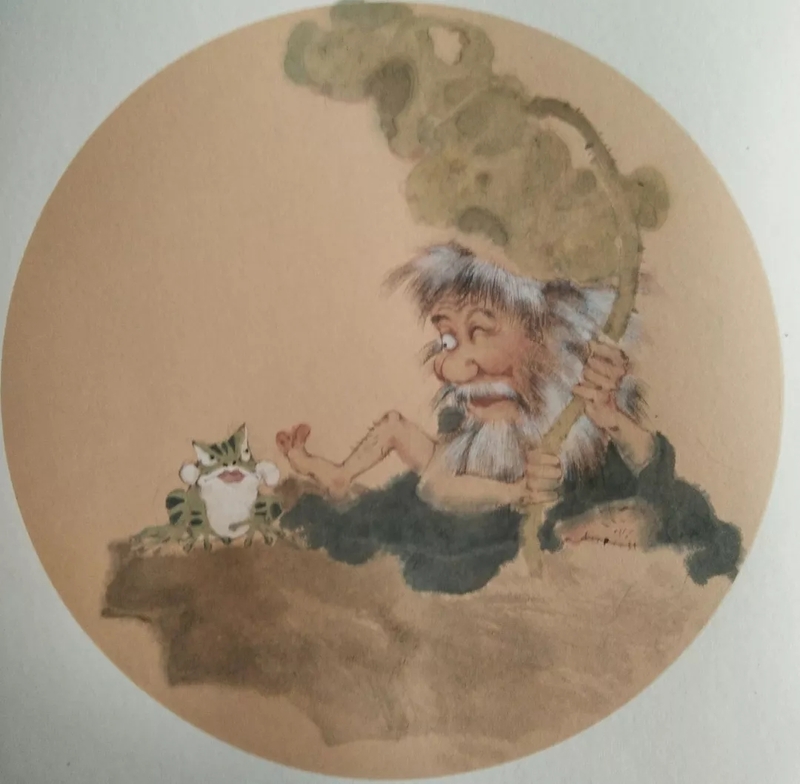 1991 tengfei, a Chinese painting figure, participated in the Chinese painting and calligraphy exhibition, which was exhibited and collected by the Chinese national culture palace. 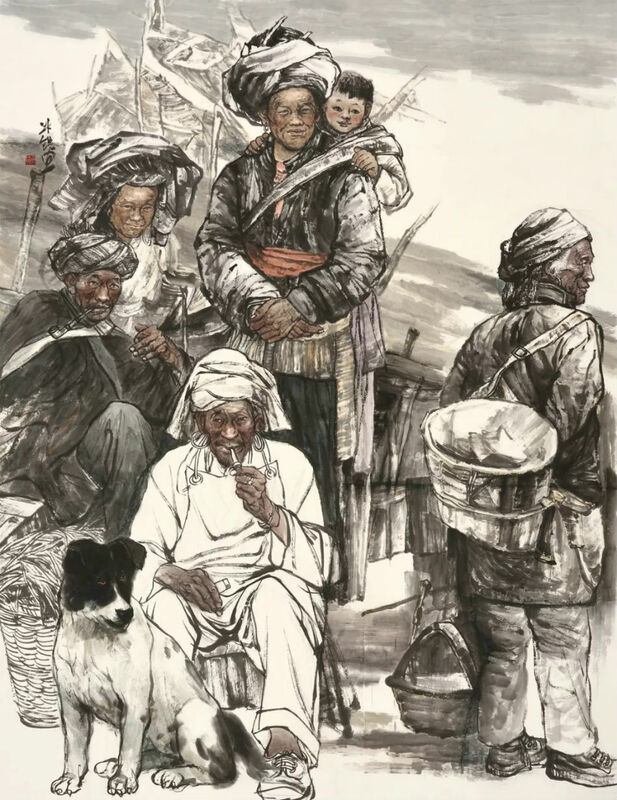 In 1991, the traditional Chinese painting "fishermen in the net town" was selected into "gardener's painting collection" (hebei fine arts publishing house). 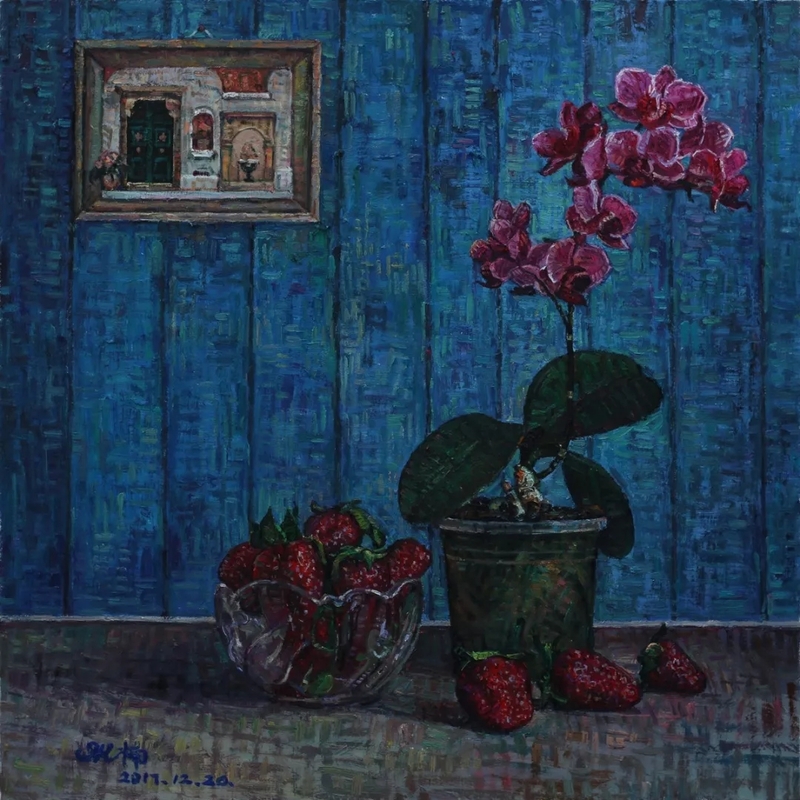 In 1984, gouache still life, the first exhibition of gouache fine arts in hebei province, won the excellence award. 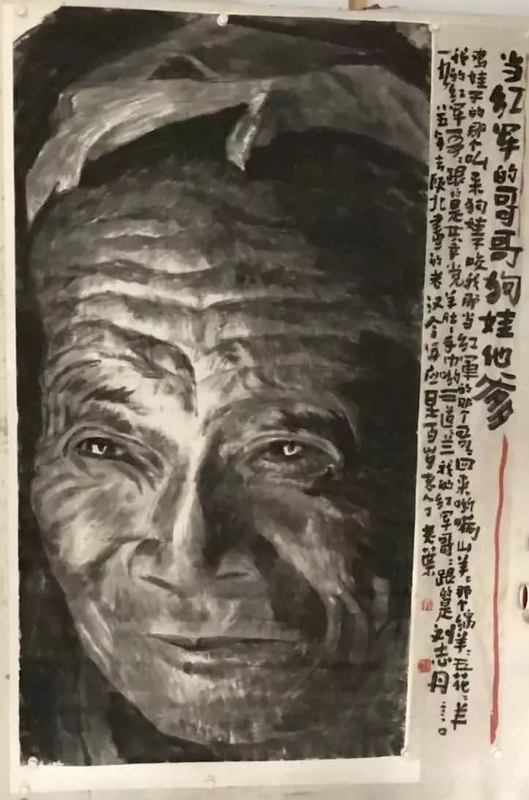 1986 excellent award of the joint exhibition of five national colleges and universities (zhejiang academy of fine arts, tianjin academy of fine arts, Inner Mongolia normal university, hebei normal university, hebei normal university) of coke ink landscape "sora lingshang sleeping sora". 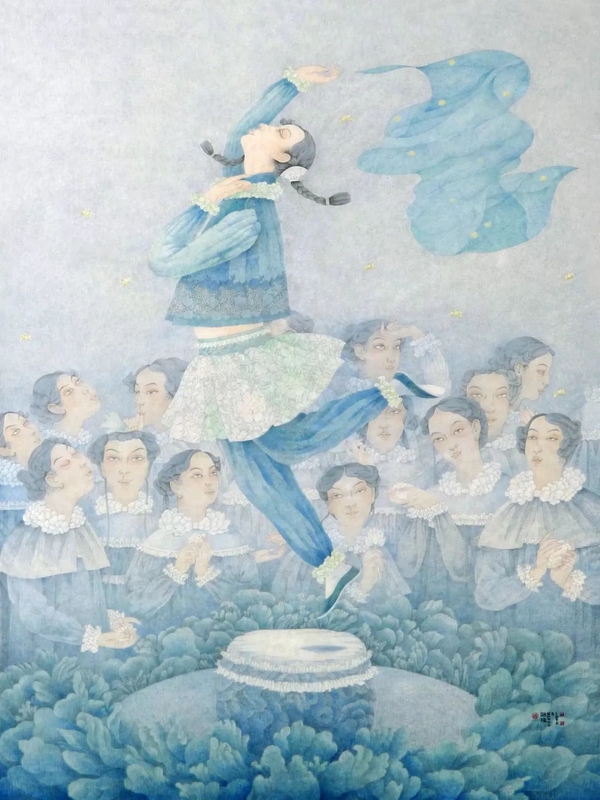 1993 painting figure "three show" hebei first teaching staff painting exhibition, excellence award. 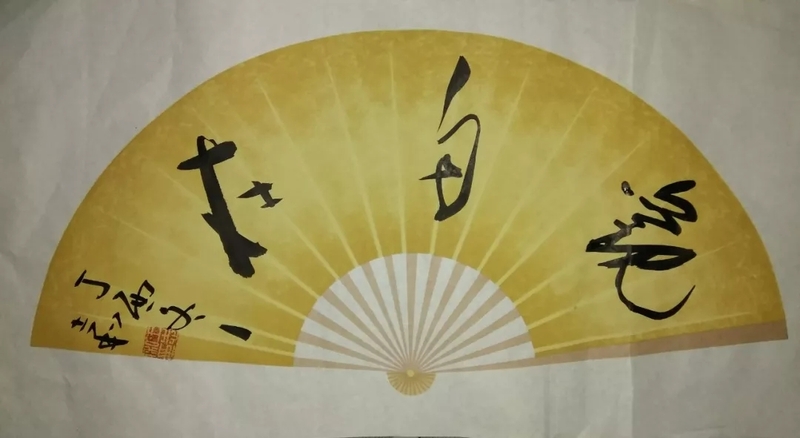 1994 hebei fine arts exhibition of Chinese painting figure "golden umbrella". Hebei teacher art exhibition. First prize. 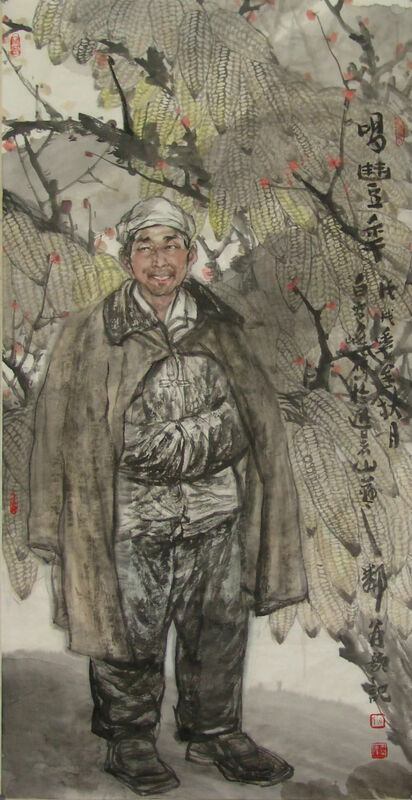 In 1999, the traditional Chinese painting figure "old corn" was selected into the fine art exhibition of hebei province to celebrate the 50th anniversary of the founding of the People's Republic of China. 2009 traditional Chinese painting "good bonus" to celebrate the 60th anniversary of the founding of chengde art works exhibition. Second prize. In 2012, the traditional Chinese painting figure "good bonus" was included in hebei art literature collection. In 2014, national fine arts exhibition "xiongguan road" national fine arts exhibition hebei district fine arts works exhibition. 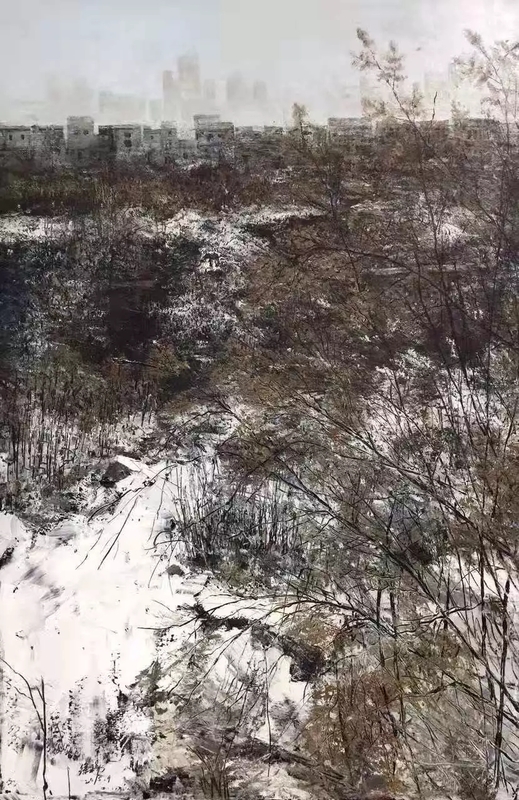 2015 traditional Chinese painting landscape "snow in the north of the seaway" hebei institute of higher learning teacher exchange art exhibition. 2016 traditional Chinese painting work "north" "red echoes to commemorate the 80th anniversary of the victory of the long march" hebei university art works exhibition. Excellence award. 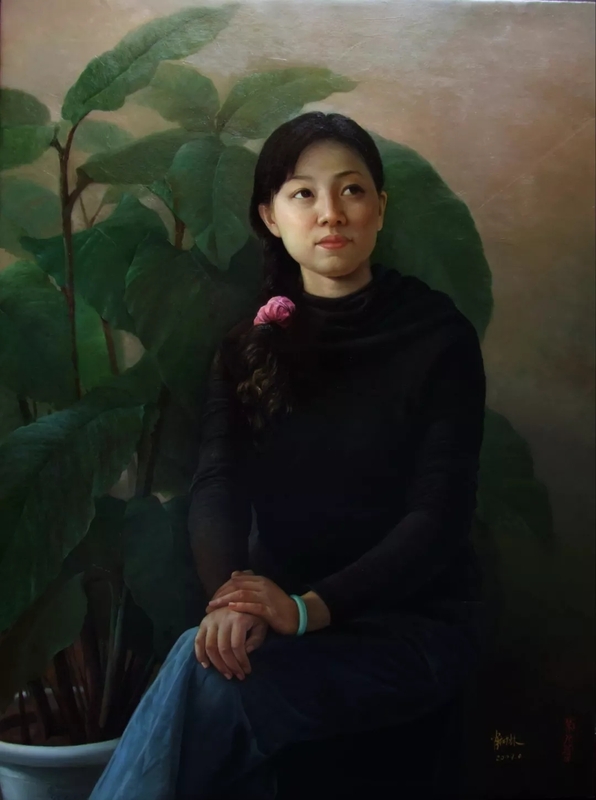 Zhou yanrong, female, han nationality, born in January 1978, chengde, hebei province, was born in chengde, studied in the department of oil painting of zhongshan university of design for undergraduate study, research direction: oil painting expressionism. In September 2004, he won the first prize in the art exhibition of the 50th anniversary of the National People's Congress system. October 2008 glorious cup to commemorate the 30th anniversary of reform and opening up large-scale painting exhibition won the first prize. 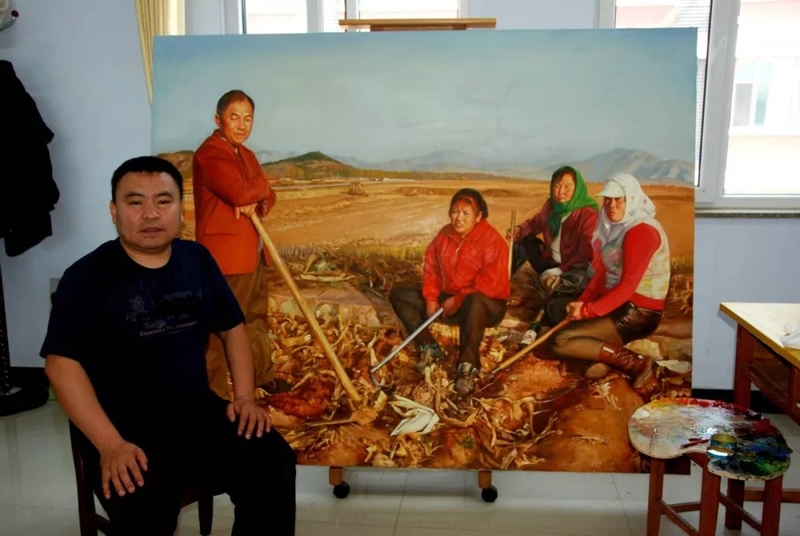 In July 2009, his work "expectation" won the third prize in the first national manchurian and Mongolian autonomous county calligraphy, painting and photography exhibition. In May 2011, he joined chengde artists association as executive director. In 2011, I won the first prize in the painting, calligraphy and photography competition of my hometown. 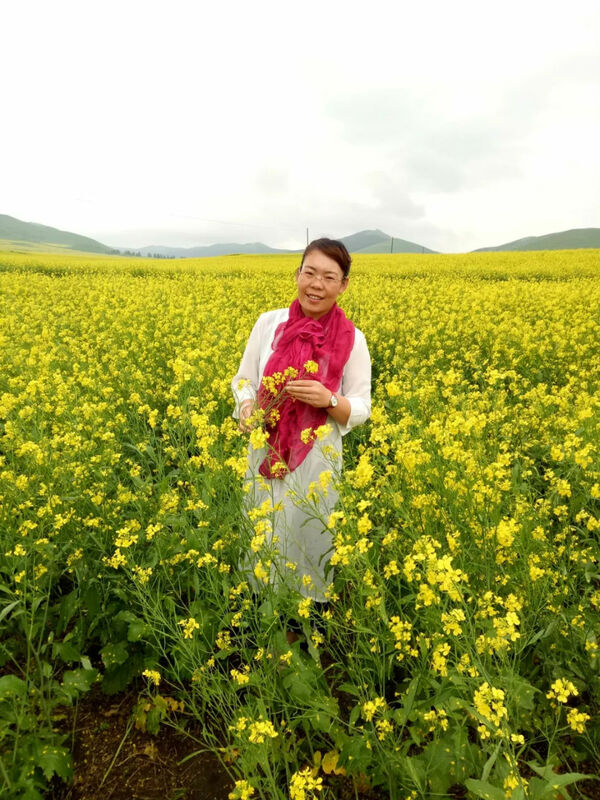 In January 2013, I won the excellence award in weichang county for promoting and implementing the spirit of the 18th national congress of the communist party of China and welcoming the Spring Festival with joy. In July 2014, he won the excellence award in the painting and calligraphy exhibition of fuqingyuan cup paddock. In October 2014, her work "little colored butterfly" was exhibited in the first exhibition of painting, calligraphy and photography for the elderly in the paddock. 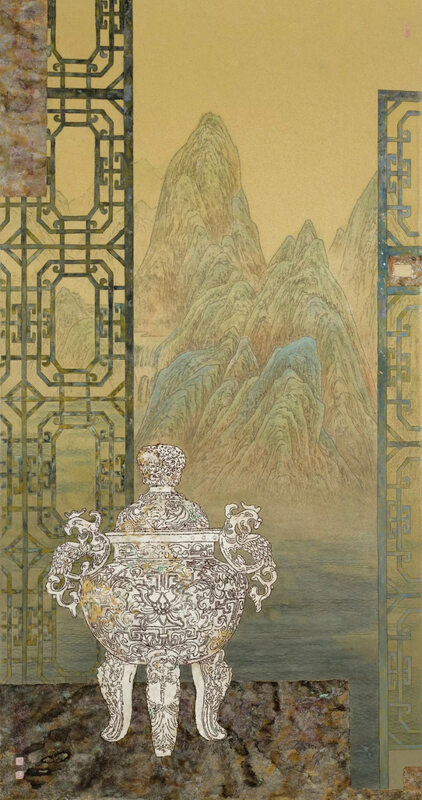 In October 2016, his work "years" won the gold award in the painting and calligraphy exhibition "dream seeking yitong" of manchurian and Mongolian autonomous counties in China. 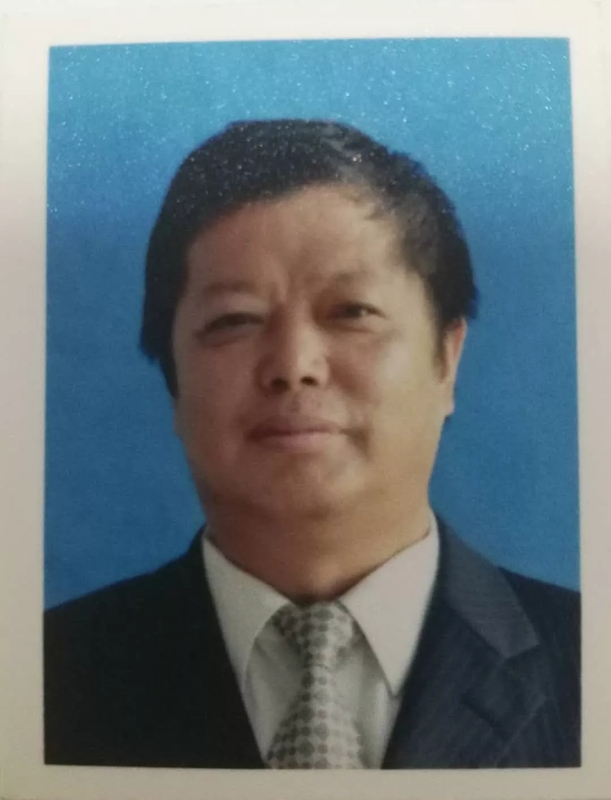 In 2016, he served as a member of the CPPCC of weichang county. 2018 served as chairman of weichang county art association. Zhu Yongqi. 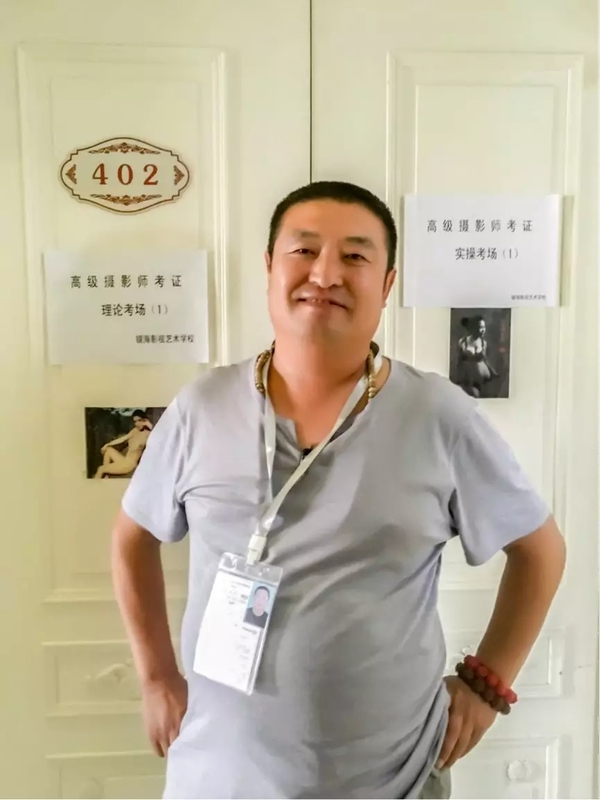 Member of chengde artists association, young calligraphers association of chengde, vice President of art association of shuangluan district, chengde city. 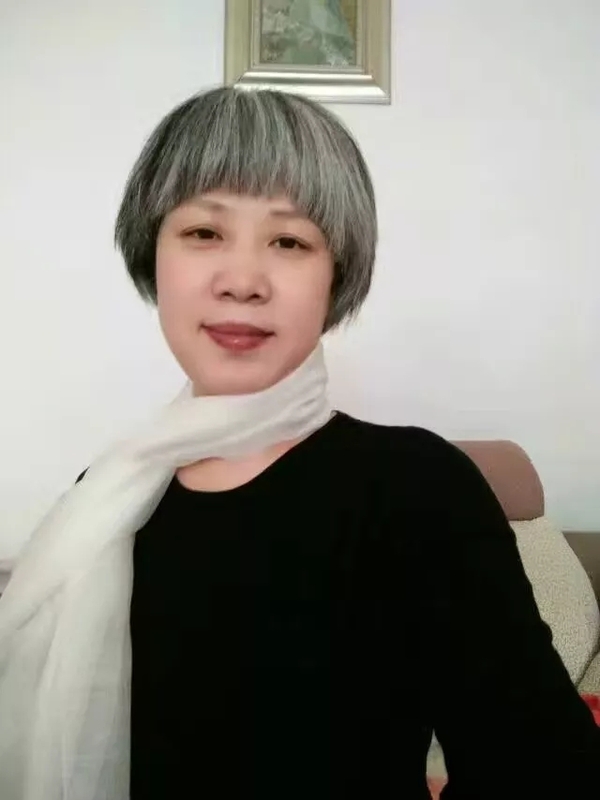 Zhu chunyan, born in 1969 in kuancheng county, hebei province, is now the first primary school art teacher in kuancheng county. 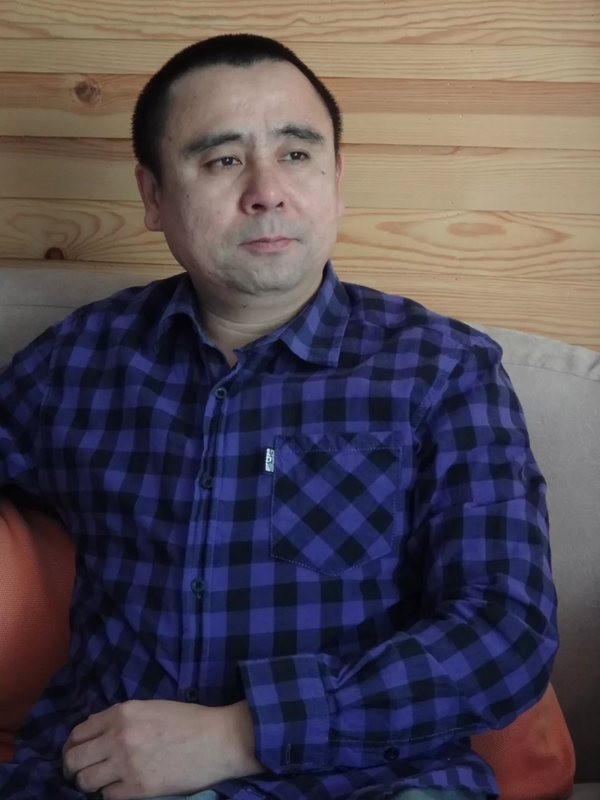 He is a member of hebei artists association, hebei gongbi painting association, and a director of chengde artists association. Participated in many provincial and municipal exhibitions and won awards. Yi zhijian, born in December 1957 in Beijing, originally from dezhou, shandong province. 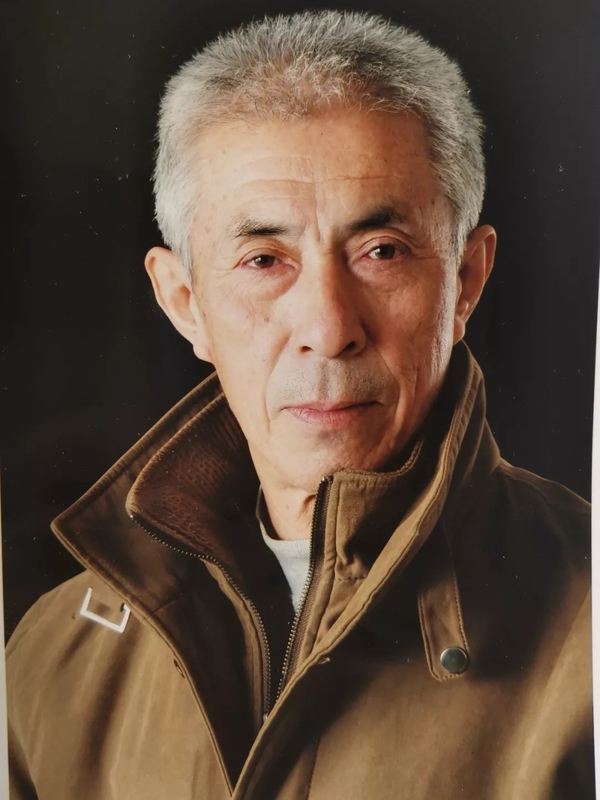 He is now vice President of hebei photographers association, honorary President of chengde literature and art association and honorary chairman of chengde calligraphers association. 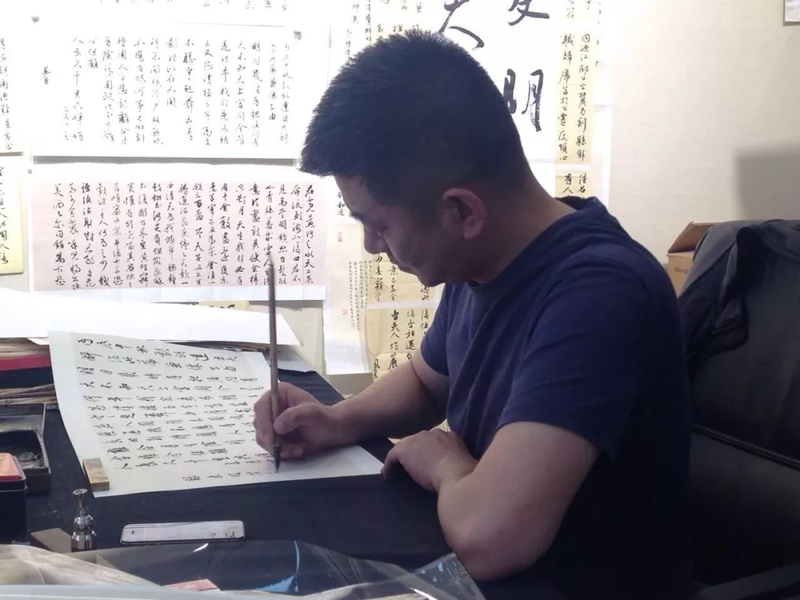 He has won the second prize of hebei province staff calligraphy competition, the first prize of national painting and calligraphy exhibition to commemorate the 70th anniversary of the victory of the anti-fascist war, and the hebei province literature and art revitalization award, China photography gold award. 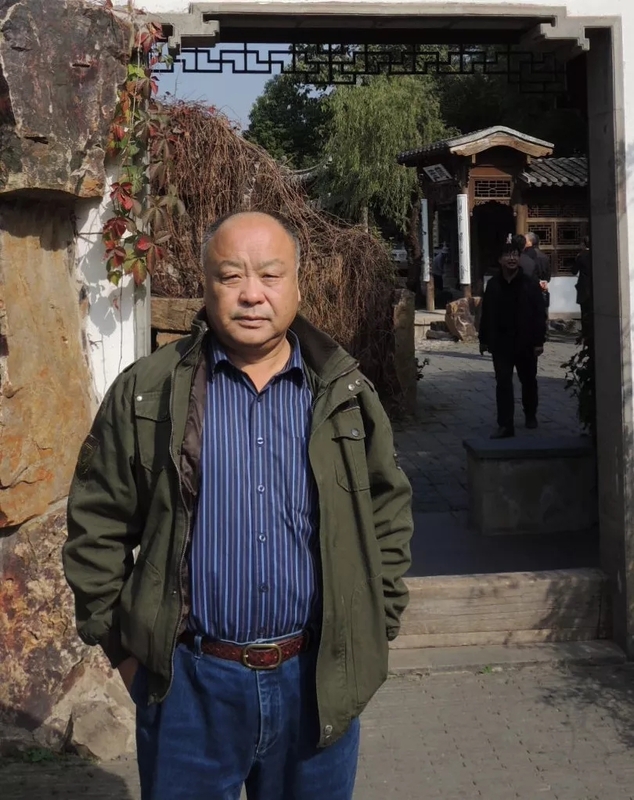 Wang jun, member of Chinese calligrapher's association, presidium of hebei calligrapher's association, vice chairman and secretary-general of chengde calligrapher's association, member of chengde civil progress association, member of chengde CPPCC. 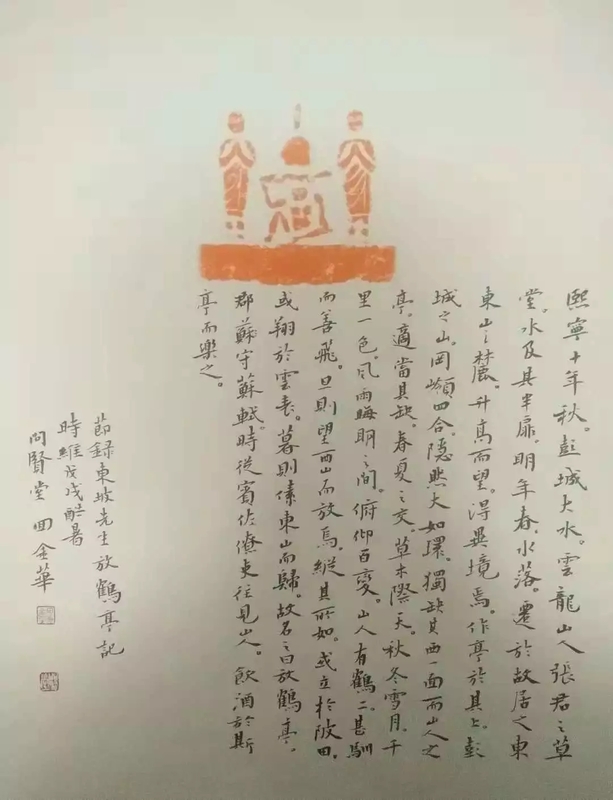 His works were exhibited in the first youth exhibition, the second youth exhibition, the tenth calligraphy exhibition, the third official script exhibition, the second album exhibition, etc., and he won the first prize of the second official script exhibition and the nomination award of the first seal script exhibition. 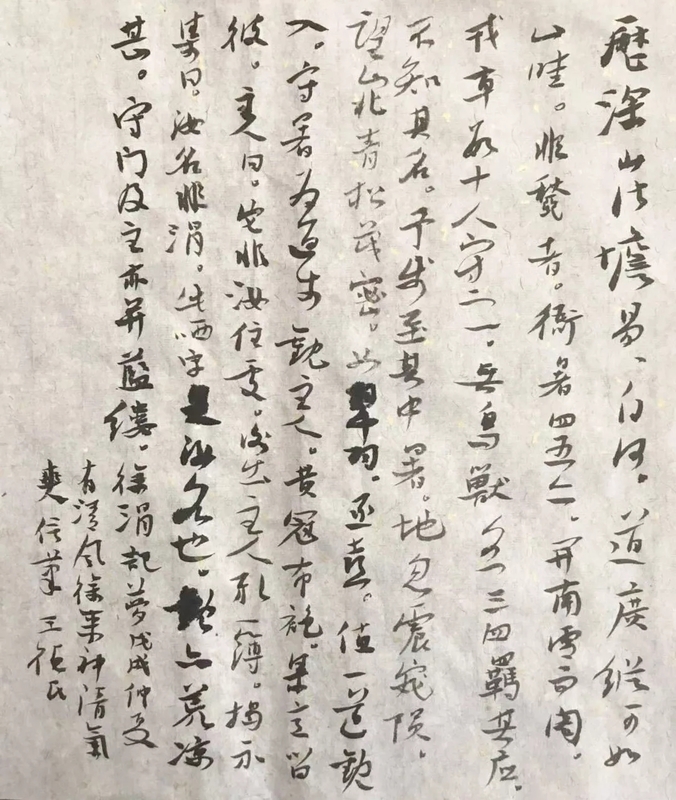 Cui zhikui, hao qiyue xuan Lord, do not belong to zhikui, zhikui, Chinese calligrapher's association members. 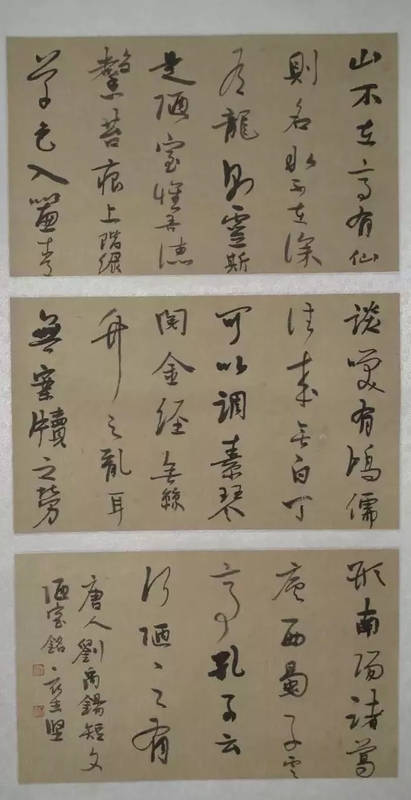 In the exhibition of calligraphy works, the Chinese calligraphy association will hold the national calligraphy exhibition to commemorate the 120th anniversary of the birth of comrade MAO zedong, the first national calligraphy exhibition of "liu yuxi cup", the first national calligraphy exhibition of temporary posts, etc. 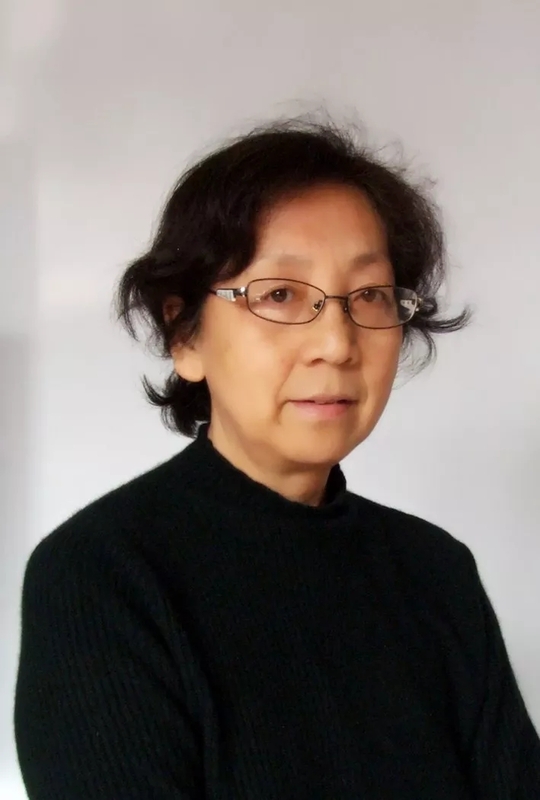 Li xuan was born in November 1953. He joined the army at the end of 1970. In February 1979, he took part in the sino-vietnamese border self-defence and counter-attack. 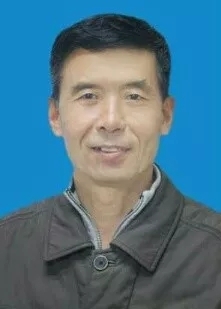 Wu yongjie, male, han nationality, member of the communist party of China, university culture, was born in chengde, hebei province in September 1962. Calligraphy in the first international Chinese calligraphy art expo, China international cultural achievement of science and technology exposition, the fourth session of the Chinese special Olympics painting and calligraphy exhibition, the third session of the national mass culture calligraphy art exhibition, Chinese painting and calligraphy exhibition in one hundred, the third movie calligraphy public conduct, 2010 China and South Korea culture and art between China and Japan JiaoLiuZhan etc. 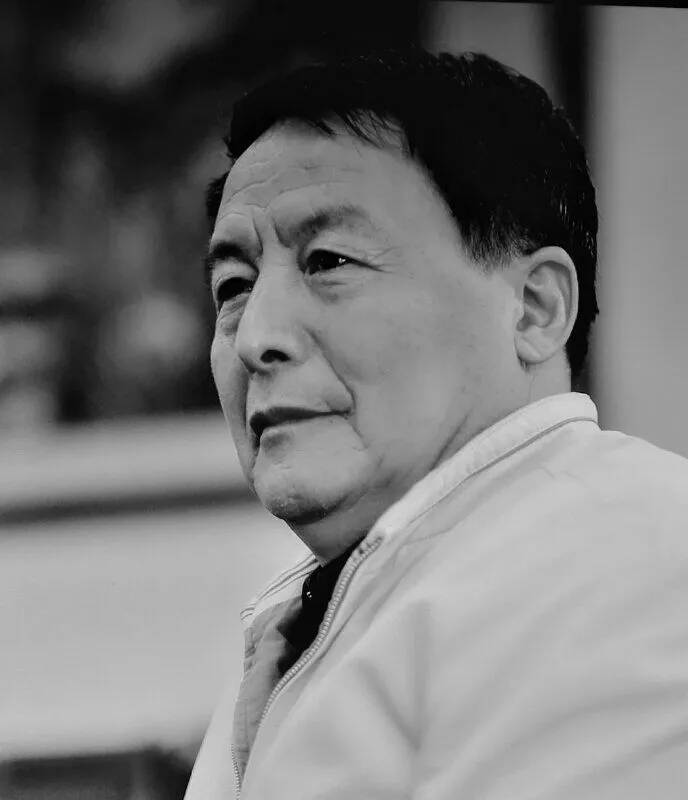 More than 300 international, national calligraphy exhibition and competition into the exhibition, awards (including 60 awards many times); His works have been exhibited in national art museum of China, national museum of art, military museum, national palace of ethnic culture and more than 20 provinces and autonomous regions. Some of his works have been exhibited in more than 10 countries and regions including the United States, France, Japan, South Korea, Brazil and Canada. 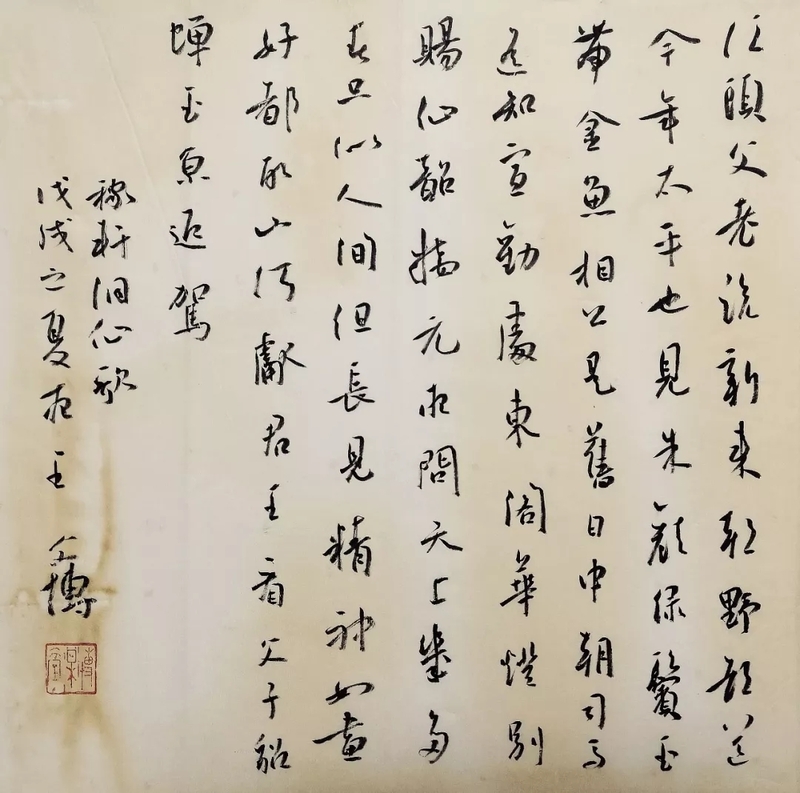 Resumes, portraits and works have been included in nearly 100 collections of works and dictionaries of celebrities such as selected works of Chinese calligraphers, dictionary of Chinese experts and scholars, and exhibition of famous works of Chinese fine arts calligraphers. More than 400 (article) works and papers in Chinese painting and calligraphy newspaper, "calligraphy", "calligraphy", "youth calligraphy", "calligraphy", "modern calligraphy", "youth artist &calligraphist, the China youth daily, economic daily," including China culture ", the workers' daily, China tourism news, the people's political consultative conference news, the China news publishing news publications; Many works were donated to domestic and foreign museums, China charity federation, China youth development foundation and other public welfare organizations; He has been awarded chengde municipal art and literature prosperity award, high-quality award, golden crown award and other government art and literature awards for many times. 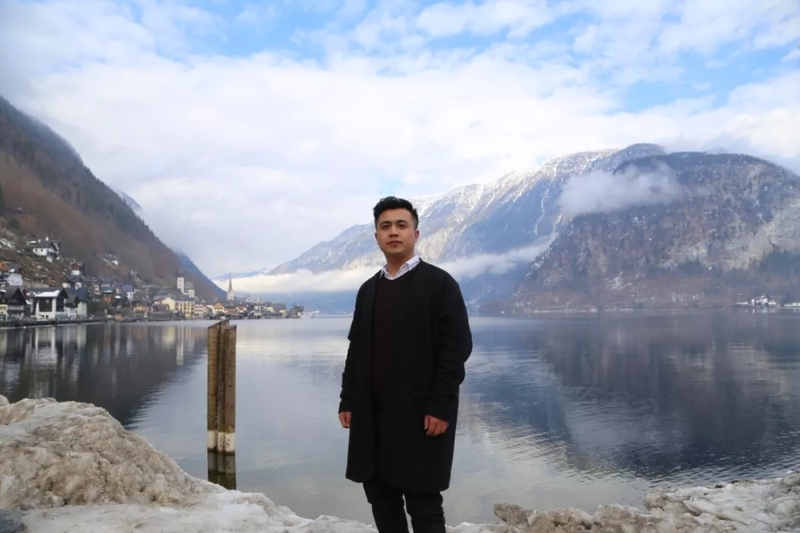 He has been named as chengde's first "ten outstanding youth", chengde's "top professional and technical talents" (lifetime) and other honorary titles, and enjoys special government subsidies. 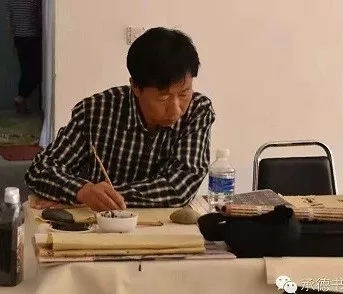 He is now a member of hebei calligrapher's association, vice President of chengde calligrapher's association, honorary President of chengde county calligrapher's association, and master of hebei chengde work station of calligraphy newspaper. Jin peijie, manchu, member of the communist party of China, college degree, born in September 1956. He is now the director of the Chinese calligrapher's association, the standing director of the calligrapher's association of the central government, the member of the calligrapher's association of hebei province, the vice chairman of the longhua county literary association and the chairman of the longhua county calligrapher's association. 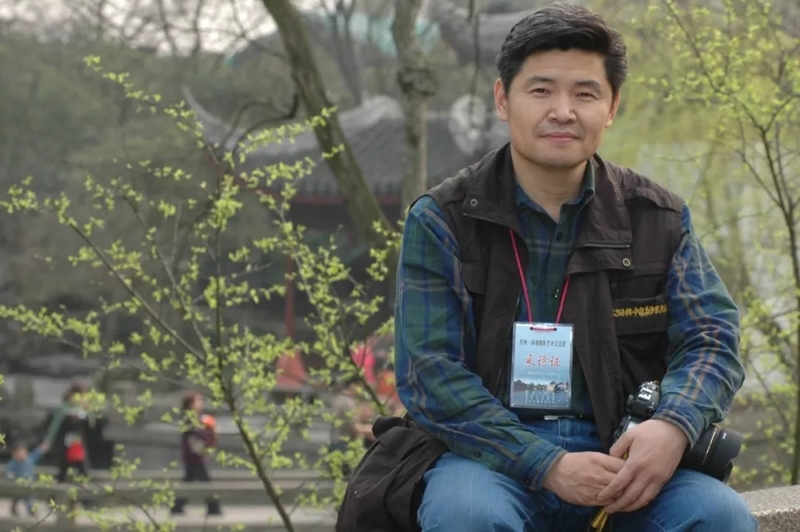 Feng baoliang, zi liang, born in 1960, is a member of hebei provincial commission of calligraphy and seal cutting and vice chairman of chengde calligrapher's association. 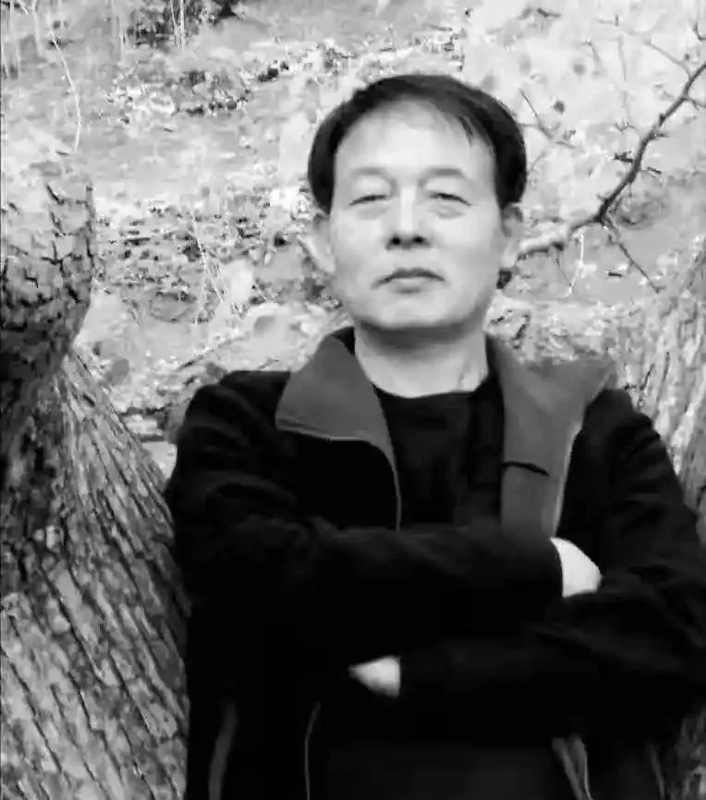 Dong heng, male, born in 1955, member of the communist party of China, college degree. Joined the work in 1978, present hebei province shuxie member, chengde shuxie vice President, pingquan shuxie President. 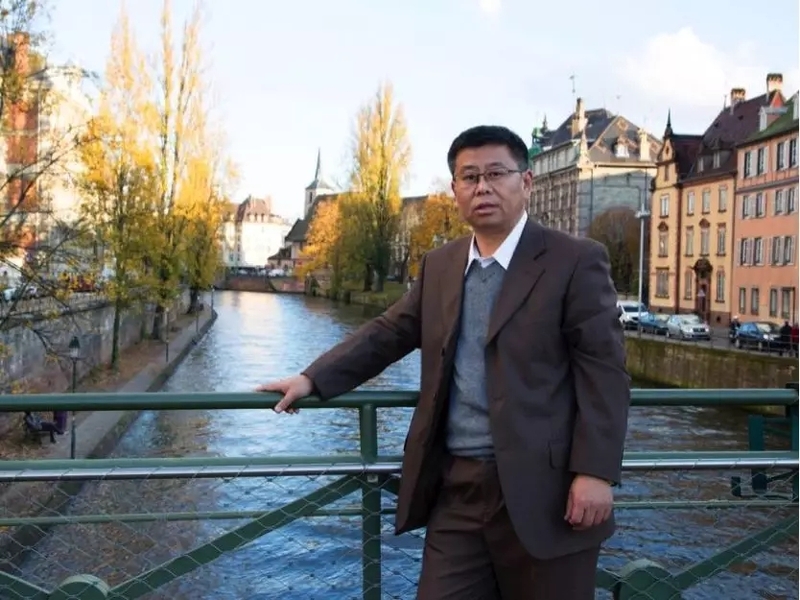 Li yunteng, male, han nationality, member of the communist party of China, on-the-job postgraduate degree. He was born in pingquan, hebei province in November 1967. 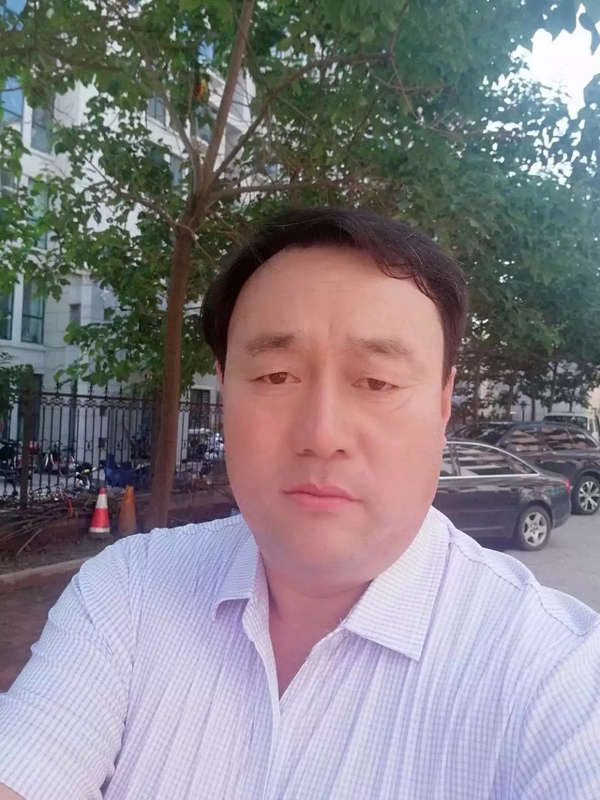 He has served successively in chengde normal university, shuangluan district people's congress, municipal united front work department, municipal government office, municipal government affairs service center and municipal administrative examination and approval bureau. 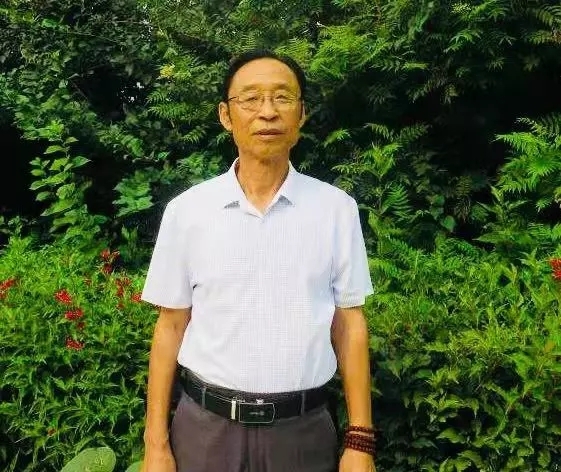 He is a member of hebei provincial calligraphy association, vice President of hebei provincial calligraphy association, vice President and vice secretary general of the municipal calligraphy and painting art research association, and a visiting professor of hebei normal university for nationalities. Love calligraphy art. In 1985, xi shu graduated from chengde station of Chinese calligraphy correspondence university in 1991. In 2012, hu limin, tutor of Chinese calligraphy association, graduated from postgraduate class of calligraphy. 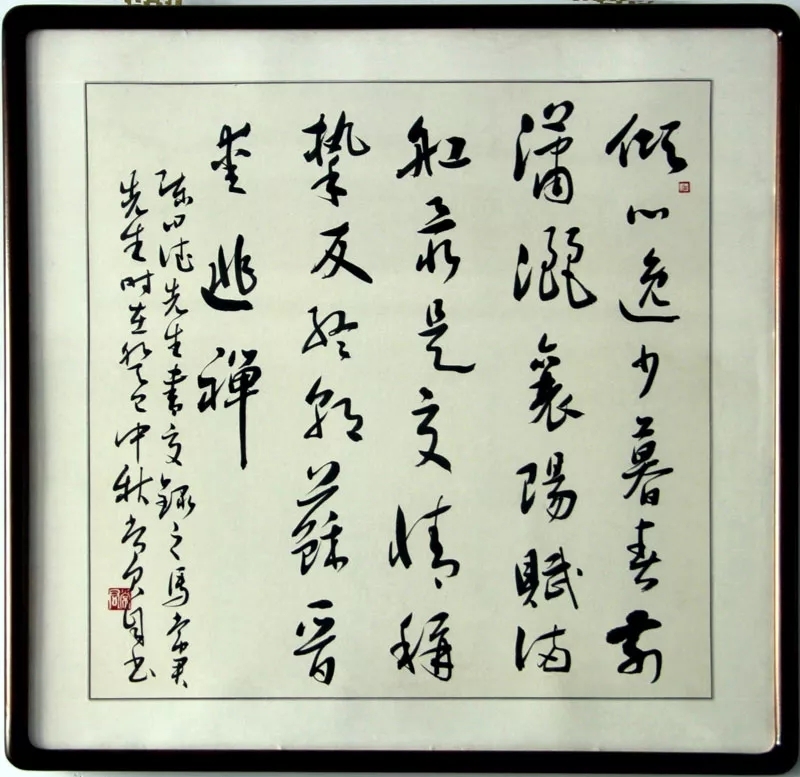 Works have participated in provincial and municipal exhibitions, 2012 was shortlisted in the national "bury crane Ming" cup calligraphy exhibition; In 2012, he won the gold medal of the national calligraphy exhibition on the 70th anniversary of MAO zedong's speech delivered at the yan 'an symposium on literature and art. In 2013, he was invited to participate in huiwen cup chengde wuhai calligraphy joint exhibition. 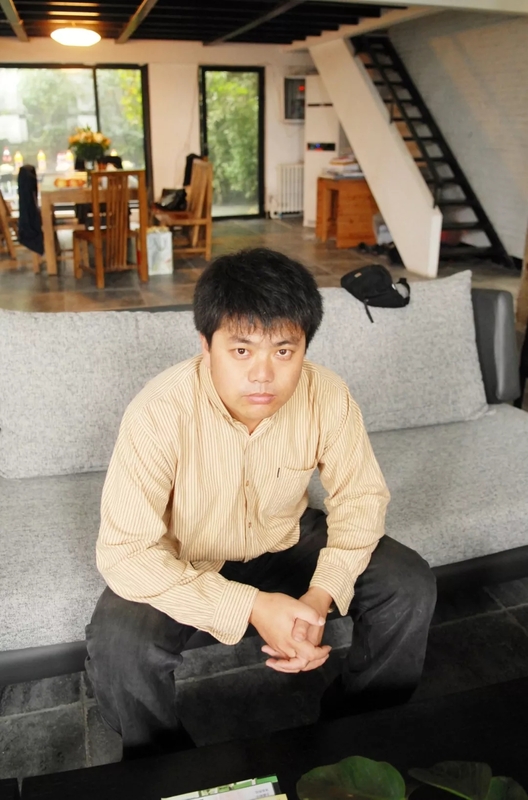 Wang wenbo, male, born in nanpi, hebei province in 1979, graduated from hebei normal university in 2003. Worked in chengde radio and television newspaper office as deputy chief editor. 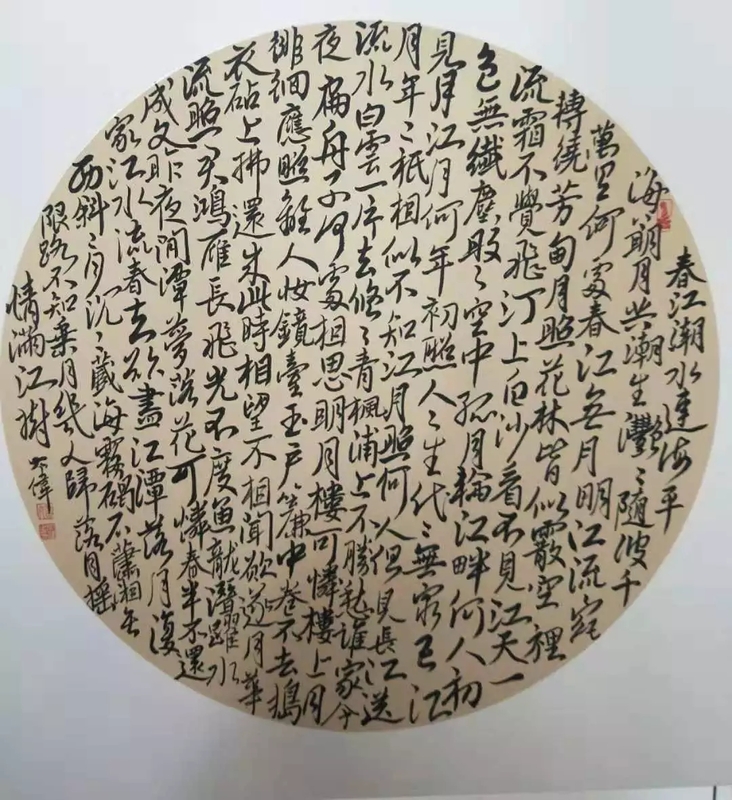 He is a member of China calligrapher's association, a member of editing and publishing committee of hebei calligrapher's association, and a chairman of chengde youth calligrapher's association. People's Daily shenzhou calligraphy and painting academy, dingsheng calligraphy and painting academy invited calligraphers. Chen liqun: male: 59 years old: retired worker, member of hebei calligrapher's association, director of chengde calligrapher's association, has studied calligraphy since 2009, 2013, 2014, received calligraphy training in China calligrapher's association and north lanting, and is good at cursive calligraphy. 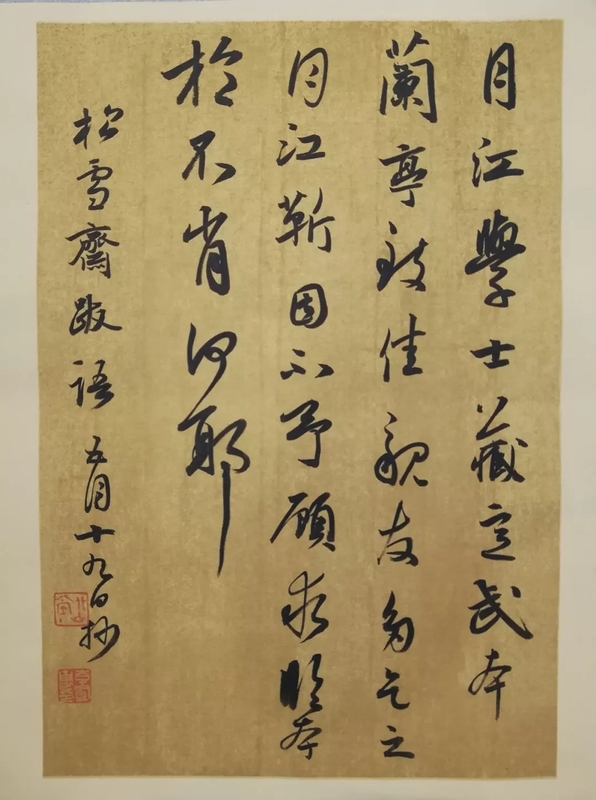 Chen wenlong, born in 1963 in longhua county, hebei province, learned calligraphy from the famous poet and calligrapher wu zhenqi in his early years. 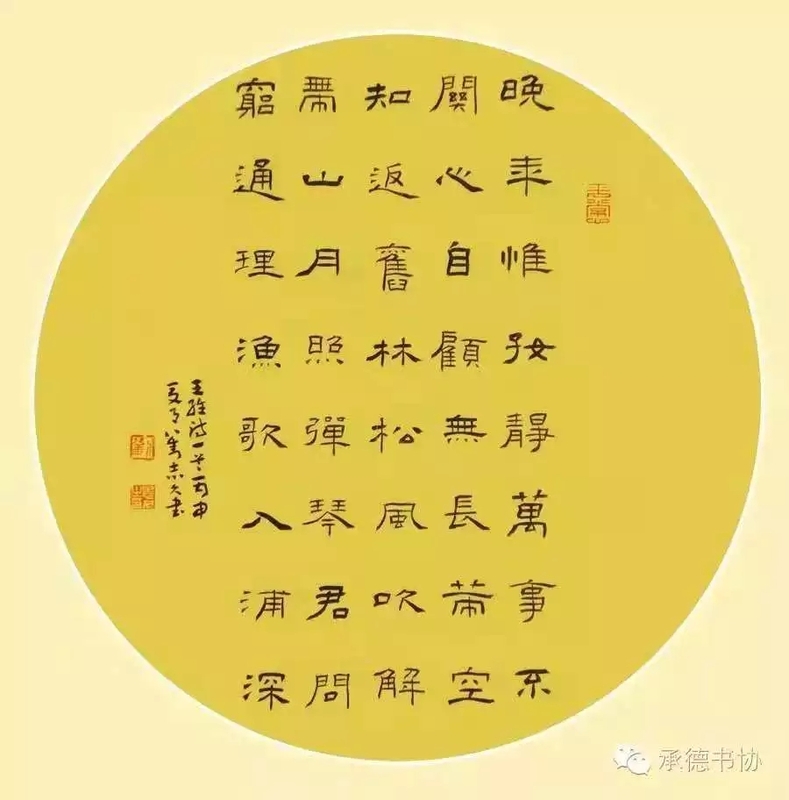 Starting from the tang dynasty, I learned liu gongquan's "mysterious pagoda" at the beginning, the northern wei dynasty's "shi ping gong statue", and later learned wang xizhi's "orchid pavilion preface" and zhi yong's "cursive thousand characters". His works have won the first national youth hardpen calligraphy competition memorial award in 1987, the first national administrative cadre calligraphy competition in 2008 "huaguan gold award", his works have been collected by jinggangshan revolutionary museum; 2010 "gold award of national painting and calligraphy competition to commemorate the 65th anniversary of the publication of MAO zedong's" qinyuan spring, snow ". 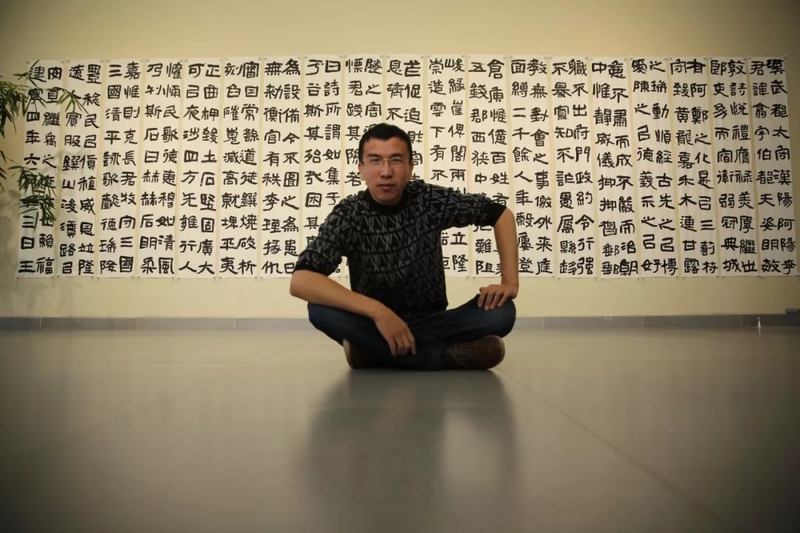 In 2015, he won the bronze award of the third Chinese dream calligraphy competition. 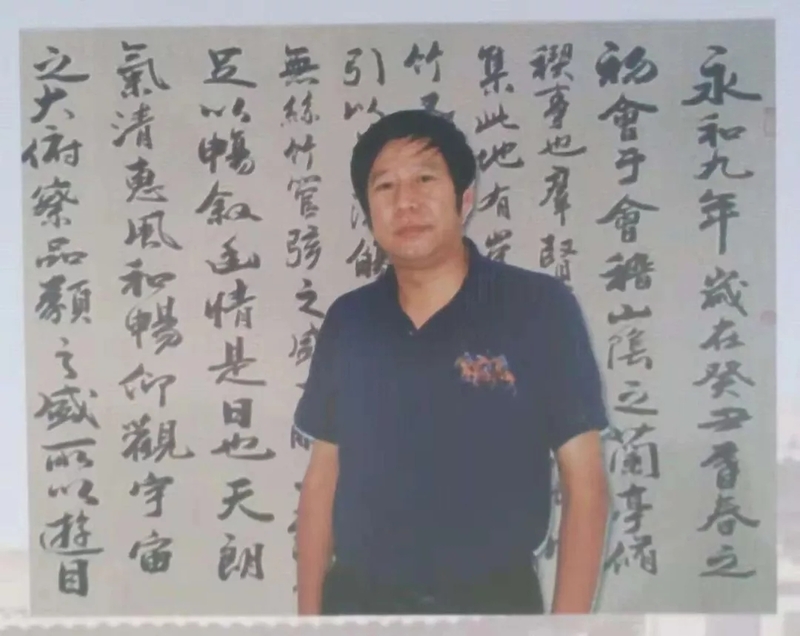 He is currently vice President of longhua county calligrapher's association, director of chengde calligrapher's association and member of hebei calligrapher's association. 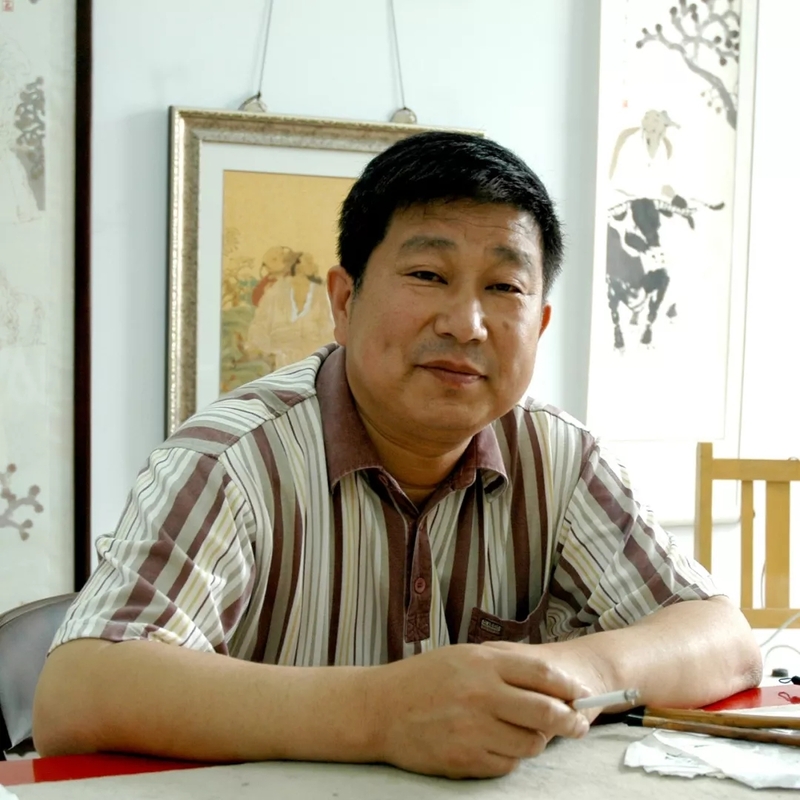 Chen yuchuan, born in 1955, is a member of hebei calligrapher's association. 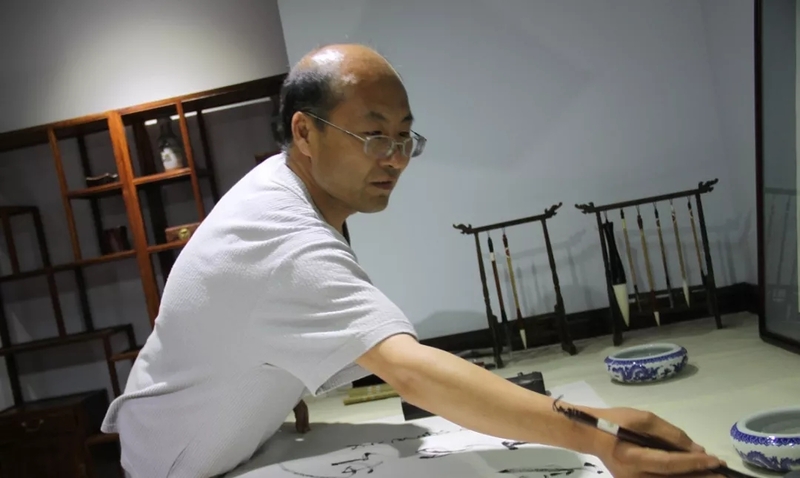 In 2013, liu hongbiao, a teacher from renmin university of China, graduated from the advanced research class of calligraphy. Calligraphy works in the national provinces and cities at all levels of the exhibition have won awards and exhibition. 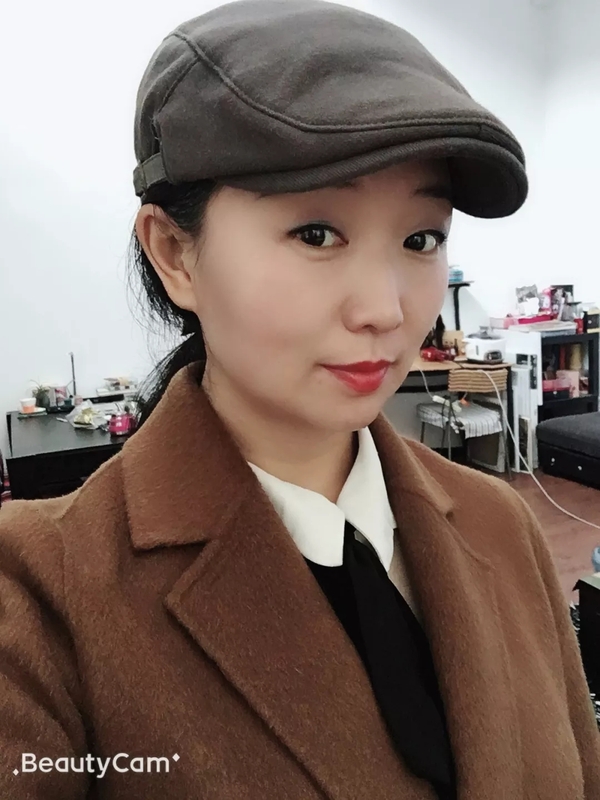 Yao cheng, female, graduated from hebei academy of fine arts calligraphy department, chengde city calligrapher's association member. 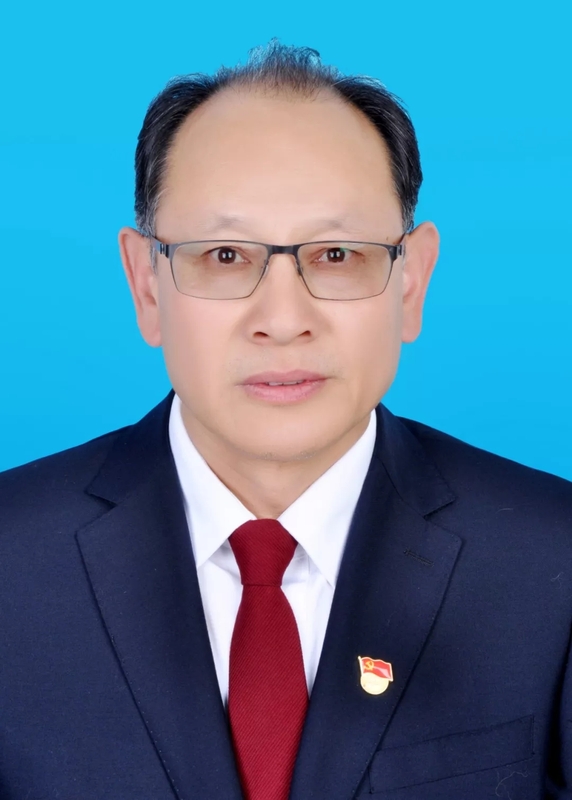 Dong wencai, born in 1959 in chengde county, hebei province rural areas, in 1980 to participate in the work, served as xinglong county party committee propaganda department secretary, section chief, deputy minister, director of the county forestry bureau, county forest public security bureau political comity, is now chengde radio and television station five broadcast station deputy director, like traditional calligraphy, specializing in European sports, has won many awards. He is a member of hebei calligrapher's association and a director of chengde calligrapher's association. Back to jinhua, pen name mohong, zhai number asked xian tang. Weak crown began to learn calligraphy, all have dabbled in. In recent years, his works have been exhibited and won more than 100 awards. 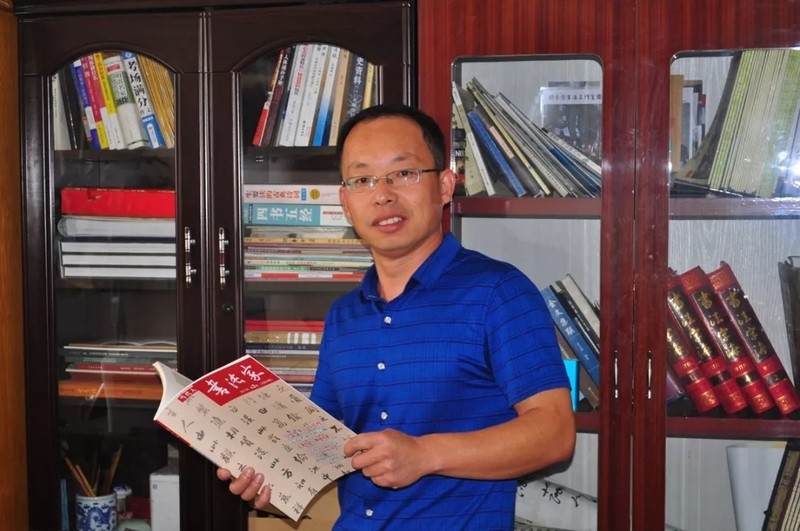 His book learning stories have been interviewed and reported by chengde TV station, radio station, chengde evening news and yanzhao metropolis daily. The works are collected by various cultural units and individuals. He is a member of Chinese calligrapher's association and hebei calligrapher's association. Director of chengde calligrapher's association, member of seal script committee. Pingquan city calligrapher's association vice President and secretary-general, young calligrapher's association chairman, chairman of the hard-pen calligrapher's association. National calligraphy exhibition to commemorate the 120th anniversary of the birth of comrade MAO zedong (sponsored by the Chinese calligraphy association). The first prize of seal character group in the first hebei province TV calligraphy competition of huayifeng cup. The second hebei province huayi feng cup TV calligraphy competition row group first prize. The second national calligraphy exhibition, sponsored by the Chinese calligraphy association. Sha meng hai cup national calligraphy competition exhibition (sponsored by xiling press). Hai na bai chuan bask ink cup international calligraphy seal cutting competition into the exhibition. Excellent award of the second national calligraphy TV competition of beilanting (sponsored by beilanting). 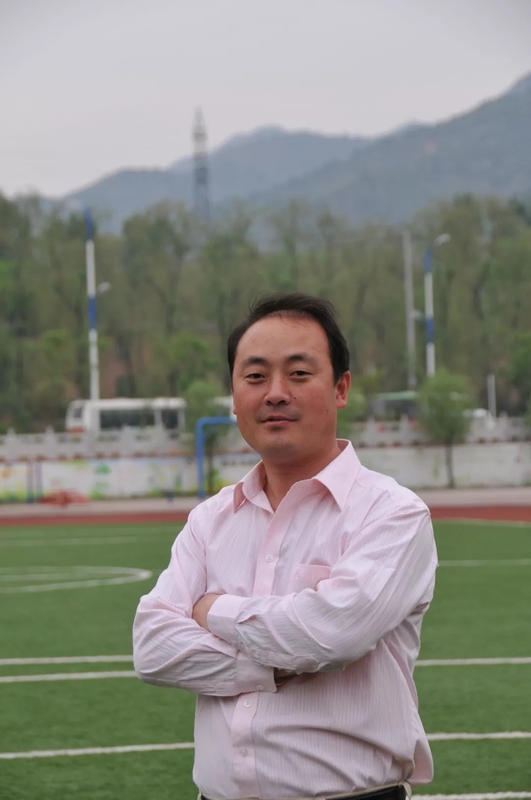 Jiao jianhua, male, was born in fengning, hebei province in 1980. Member of hebei calligrapher's association. After graduating from normal university, he majored in Chinese language and literature. Now he is engaged in graphic design. He is fond of calligraphy and strives to appreciate the beauty of its line art and the implication of its deep culture. Under the guidance of cui zhikui, yan kai, and xi lanting, later Chen baiding, lu wenfang teacher education and influence, now specializing in official script, study han monument, xingshu zong two Kings. 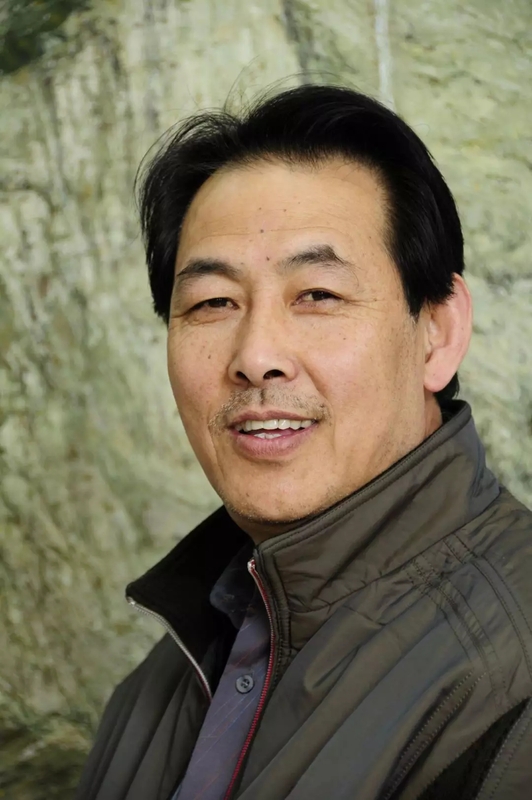 In 2009, his works won the excellence award in the first national manchu autonomous county (ethnic county) calligraphy, fine arts, photography and poetry competition. In 2010, his works were selected into the painting and calligraphy exhibition on the 60th anniversary of the CPPCC in hebei province. 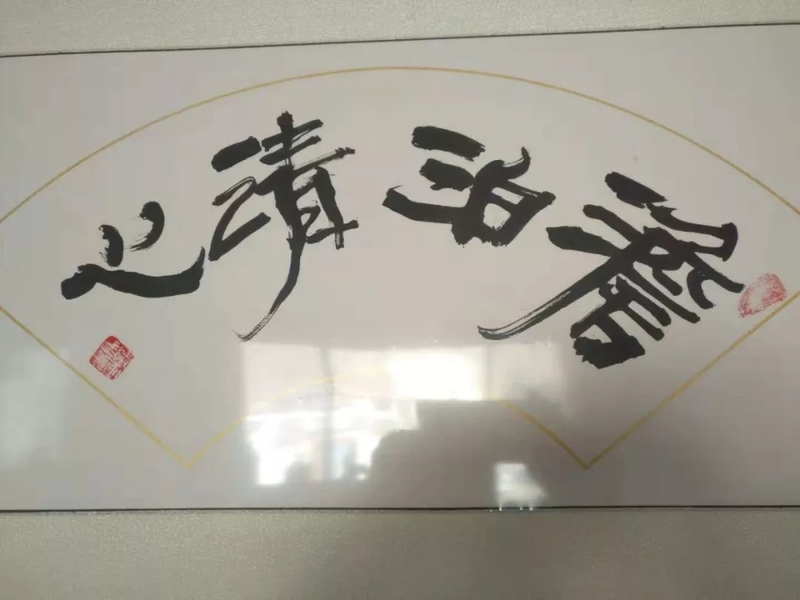 Since 2013, it has been selected into the second and third official calligraphy exhibition of hebei province hosted by hebei provincial calligraphy association, the spirit of taihang · Chinese dream "li 'an cup" national painting and calligraphy exhibition and so on. Li fengyong was born in chengde, hebei province in 1972. 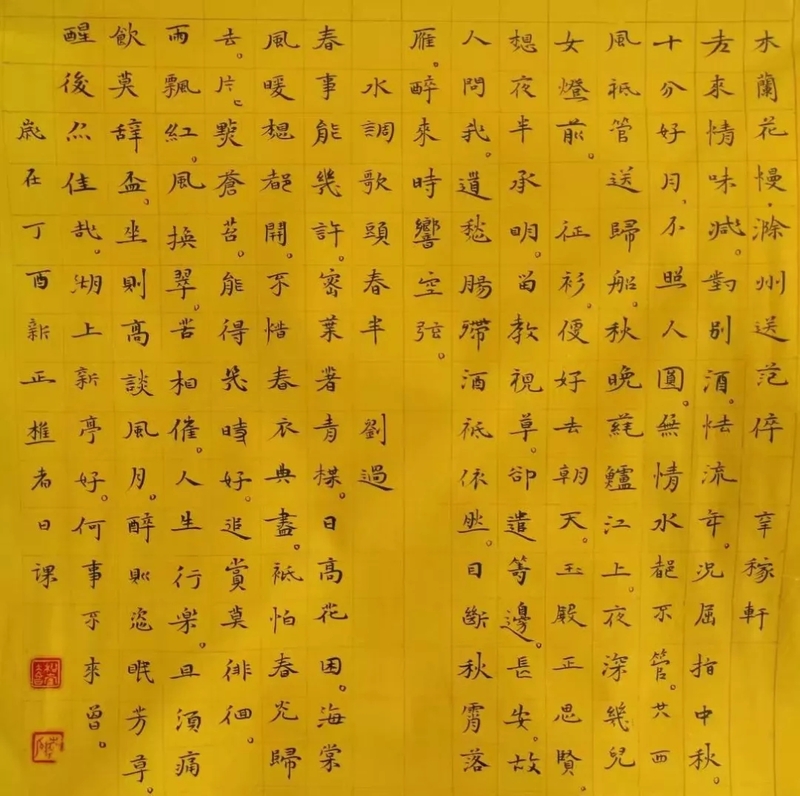 He is a member of Chinese calligrapher's association, deputy secretary general of chengde calligrapher's association, vice President and secretary general of chengde youth calligrapher's association. Li jianguo, character a stop, name mo chi tang. Born on March 19, 1958, manchu, a member of the communist party of China, professional police, police chief. 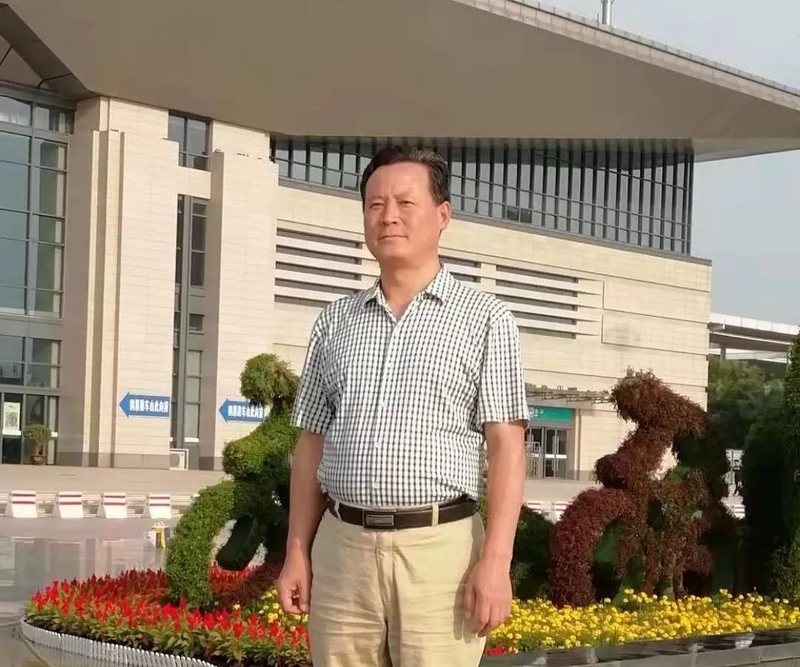 Member of hebei calligrapher's association, member of hebei public security literature and art federation, standing director of hebei public security system calligrapher's association, director of chengde calligrapher's association, member of chengde xingshu committee. In order to line cursive, small - kai - based work direction, and repair wei monument, han li. 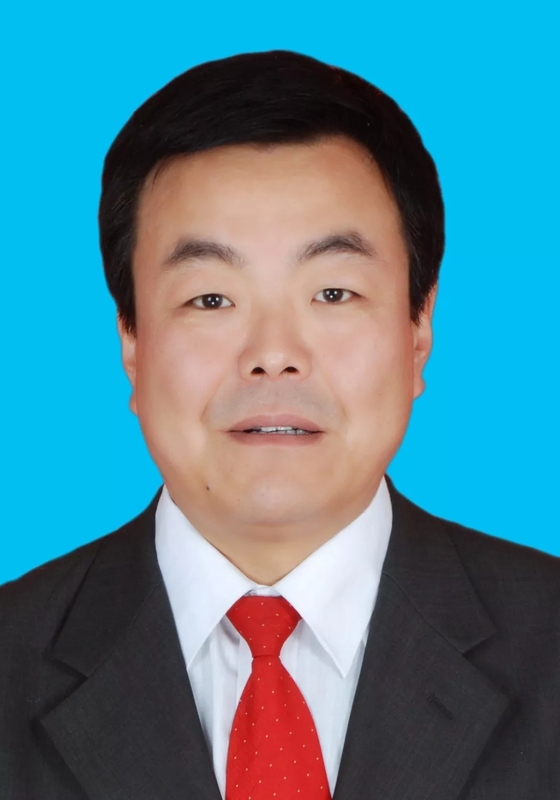 Liu jingxin, male, a member of the communist party of China (CPC), is the mayor of xinzhangzi town, chengde county. 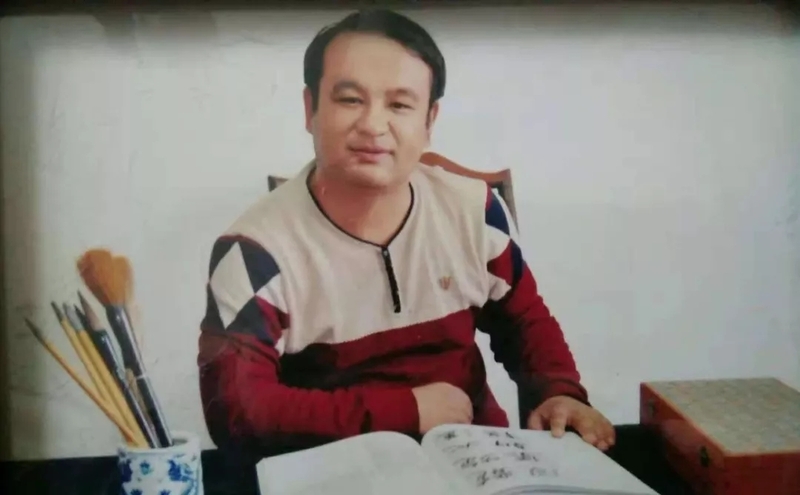 He is a member of hebei calligrapher's association, vice President of chengde youth calligrapher's association, vice President and secretary-general of chengde calligrapher's association. Calligraphy works are included in the exhibition. The Chinese calligraphy association will host a national calligraphy exhibition to commemorate the 120th anniversary of MAO zedong's birth. The first weibei calligraphy exhibition into the exhibition; Second prize of calligraphy in national "statistical cup" calligraphy and painting exhibition; Hebei provincial calligraphy association held the first regular script exhibition, "gao yuan cup" calligraphy exhibition, clean government calligraphy exhibition and other calligraphy competitions. Liu ruyi, male, no. 9 chi shi people, words clumsy people. He is currently a member of China list book art research association, vice President and secretary general of Beijing famous calligraphy and painting academy, a member of hebei calligrapher's association, a special calligrapher of China culture network, a special calligrapher of China calligraphy and painting newspaper, a director of hebei chengde calligrapher's association, and the chairman of hebei chengde yingzi calligrapher's association. In 2014, he was awarded the charity artist by the poverty alleviation professional committee of China rural art association of the ministry of culture of the People's Republic of China. 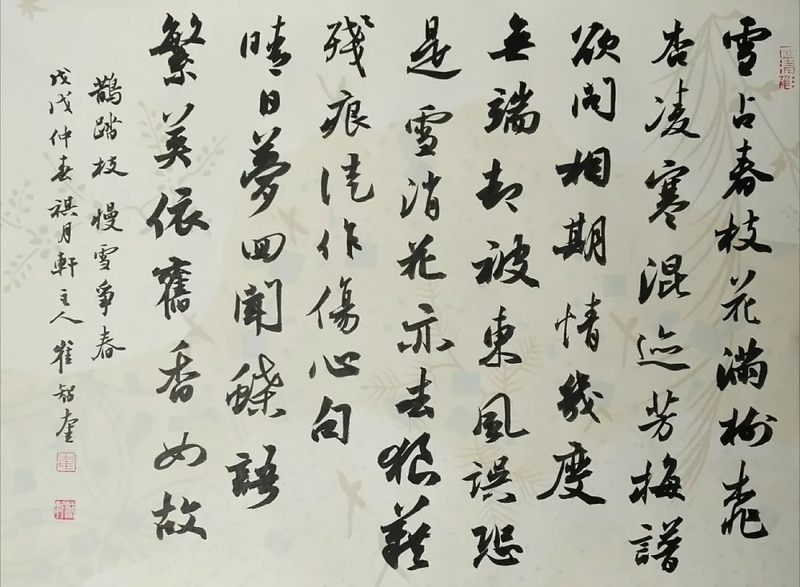 In 2015, the first prize winner of the most innovative calligrapher was selected by Chinese Internet users. I have been learning calligraphy for more than 30 years and have a solid foundation. My works pursue a thick, free and easy and elegant style. His works have been published in periodicals for many times and have been deeply loved and collected by friends at home and abroad. Member of seal cutting committee of hebei calligrapher's association, director of chengde calligrapher's association, vice-chairman and secretary-general of longhua county calligrapher's association. From a young age, learning from guan kuo, wu zhenqi, qin biao, wang friendship and other teachers. Good at seal writing, seal cutting. 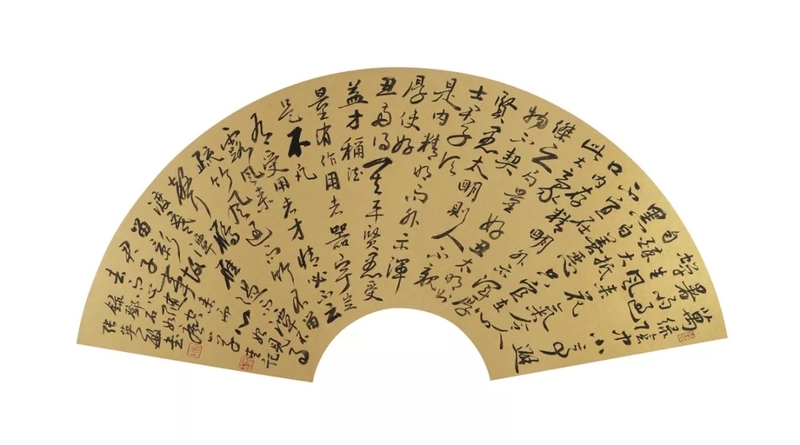 More than 200 pieces of his calligraphy and seal cutting works have been published in calligraphy, calligraphy newspaper, Chinese calligraphy and painting newspaper and Japanese xuan shu. He has been selected and won awards in national and provincial exhibitions for many times. 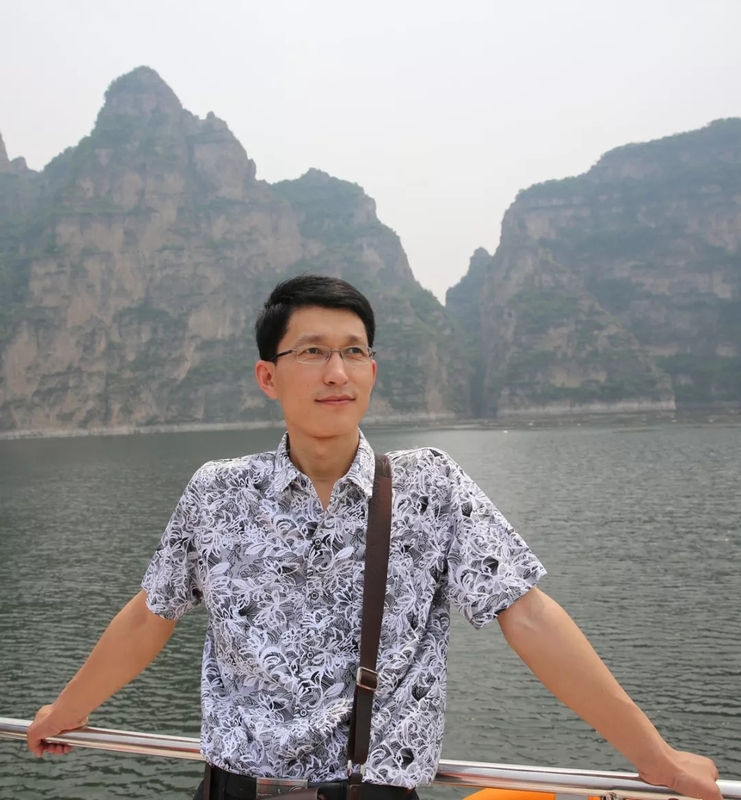 Liu wenhao, male, master of chaoyang cottage, born in chengde, hebei province in August 1980, bachelor degree. 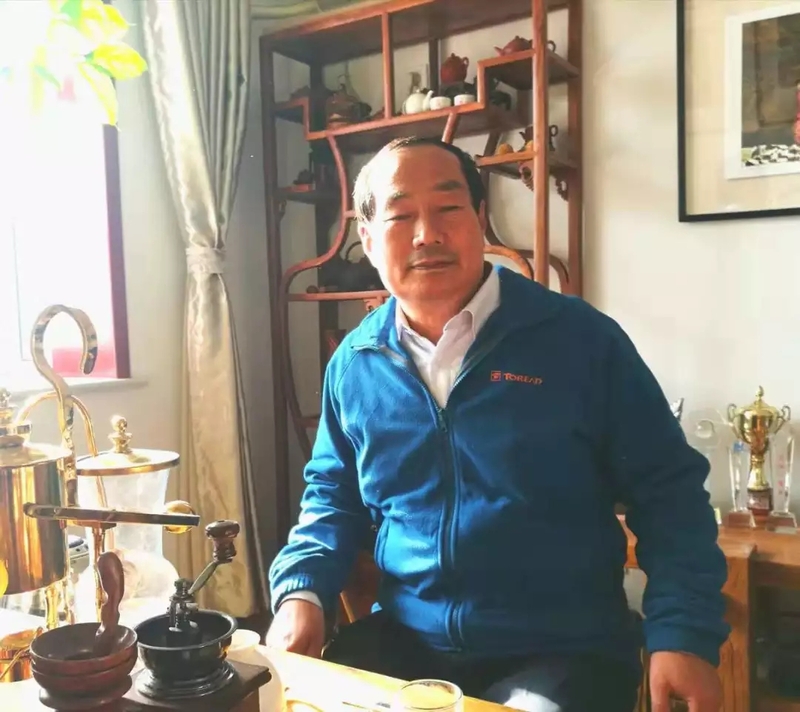 He is a member of China calligrapher's association, hebei calligrapher's association, director of chengde calligrapher's association and vice President of chengde county calligrapher's association. Engaged in calligraphy education and teaching for a long time. Since 2005, calligraphic works have been selected, exhibited and won awards in calligraphy exhibitions and competitions nationwide and in provinces and cities. Calligraphy works have been published in national newspapers and magazines such as calligraphy journal, calligraphy guide journal, youth calligraphy journal and youth calligraphy journal. 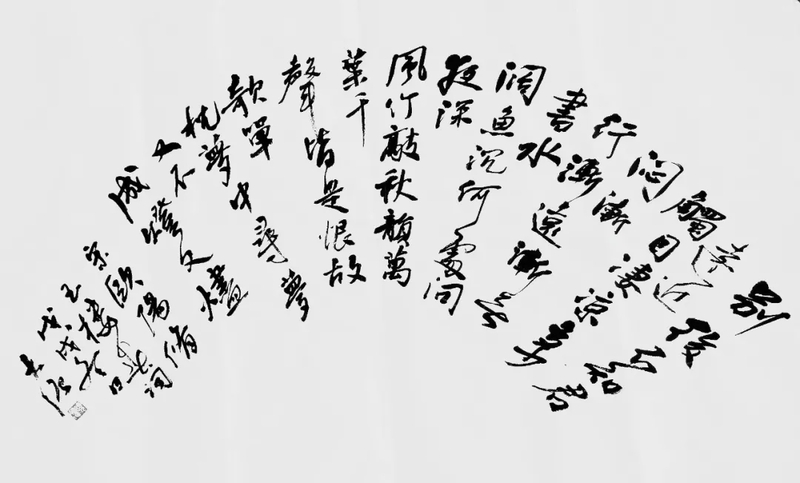 In 2010, the fourth issue of youth calligraphy newspaper named "duoying calligraphy" introduced its calligraphy skills. Liu zhijiu, member of Chinese calligrapher's association, hebei calligrapher's association, director of chengde calligrapher's association, member of lishu committee, vice-chairman of pingquan calligrapher's association. 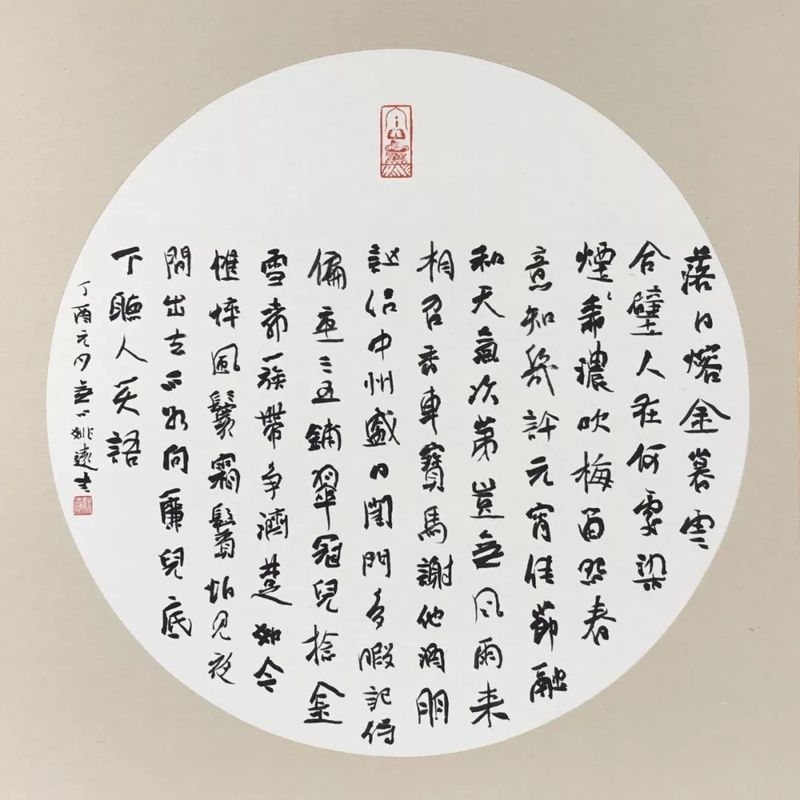 Honors: awarded the honorary title of "provincial outstanding calligrapher" by hebei calligrapher's association; Chengde city management professional technology top talent; First prize of pingquan literary and art prosperity award. 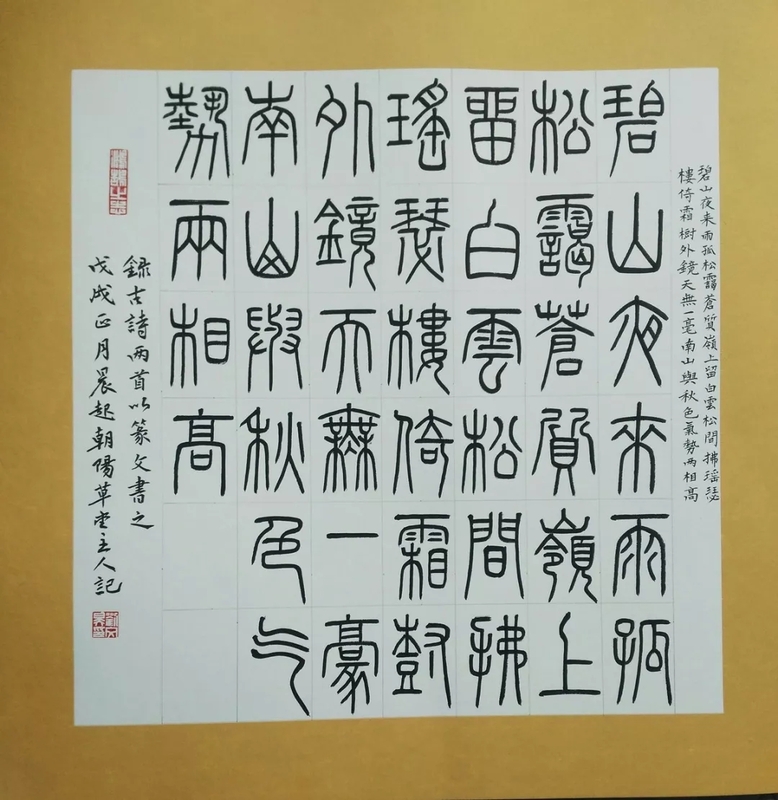 The story of learning calligraphy was published in chengde radio and television news and pingquan news. 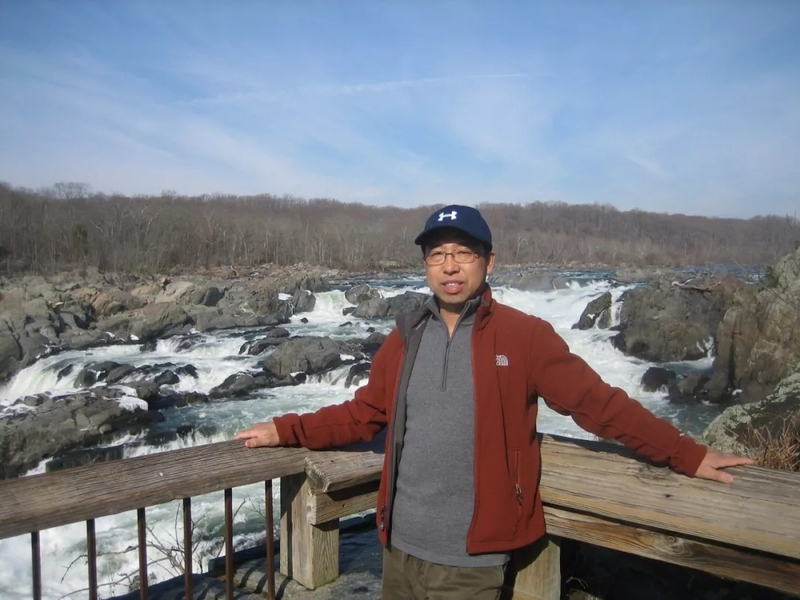 Born in November 1968, originally from suning county, cangzhou city, hebei province, he graduated with a bachelor's degree and is now an associate professor of hebei normal university for nationalities. From a young age love book han, teaching, over the years to concentrate on the study of book art, linchi ceaseless, no time between cold and heat. With kai shu, wei bei, dazhuan and other hard work especially diligent, as vice President of chengde city youth calligraphy association. 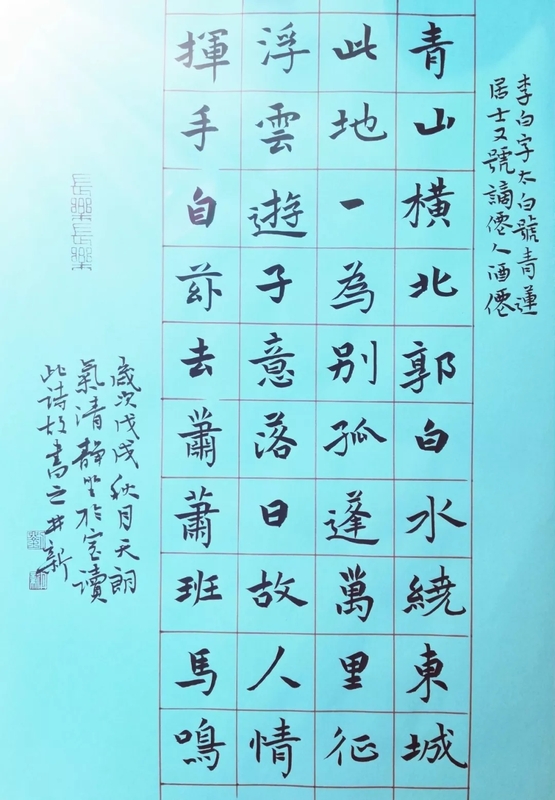 2011 won the second prize in the first lanting cup calligraphy competition of national human resources and social security system. 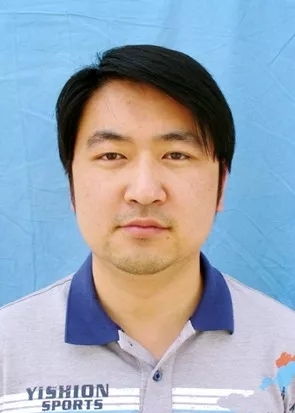 Lu Lin male was born in November 1987 in chengde fengning. 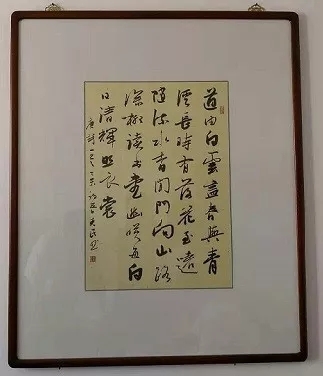 Under the guidance of Mr. Chen baiding, I began to learn from cao quanbei, and then transferred to study wei bei and two wang xing's cursive calligraphy. He is a member of chengde calligrapher's association. His works have been exhibited in two official calligraphy exhibitions in hebei province. Ma Ming, was born in 1957, at the xinglong cultural center in hebei province, hebei province artists association, member of hebei calligrapher's association, member of chengde city shuxie governing, xinglong shuxie President, national secondary artists, since 2000, for the serial pictorial, people's fine arts publishing house, hebei fine arts publishing house created a large number of comic works, was named "dongsheng cup" national comic exhibition, "the autumn harvest, the traditional Chinese painting works exhibition in Beijing, tianjin, hebei painting and calligraphy exhibition, strip the qinghai-tibet railway in Beijing elementary student extracurricular reading. 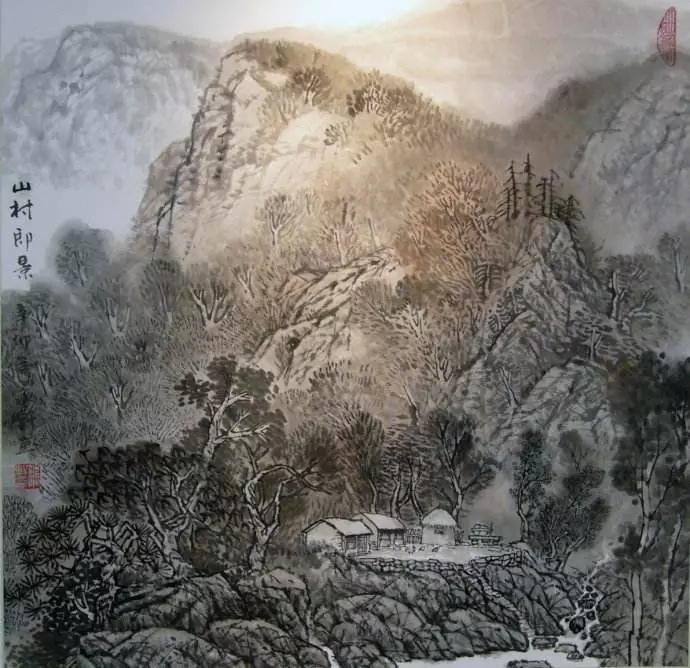 Chinese painting and calligraphy works have participated in national and provincial exhibitions for many times. 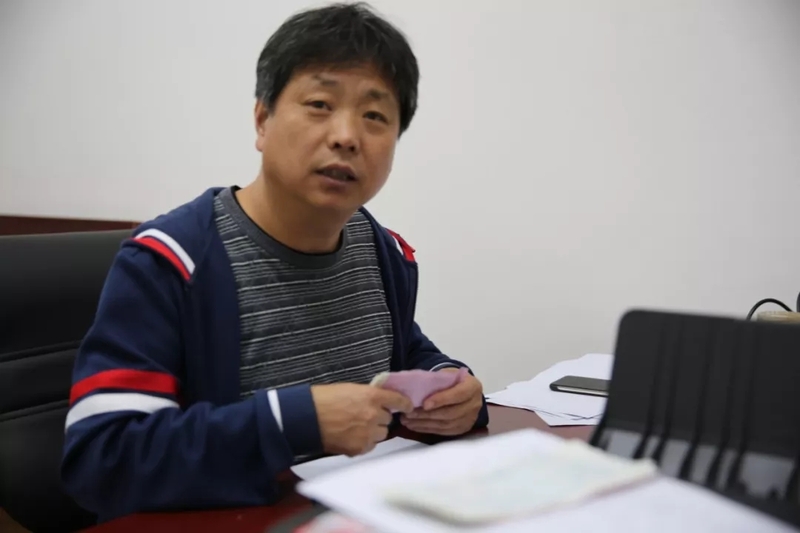 Ma changjun, male, born in April 1965, member of the communist party of China, statistician, works in longhua county statistics bureau of hebei province, vice President of longhua county calligrapher's association, member of hebei calligrapher's association. Albion hongwei, born in longhua county, hebei province in 1974. In 1997, he began to learn Chinese calligraphy by himself. In 2000, he learned calligraphy skills and theoretical knowledge systematically for his teacher. In recent years, he has been instructed by Mr. Wu zhenqi, director of exhibition department of China calligraphy association. 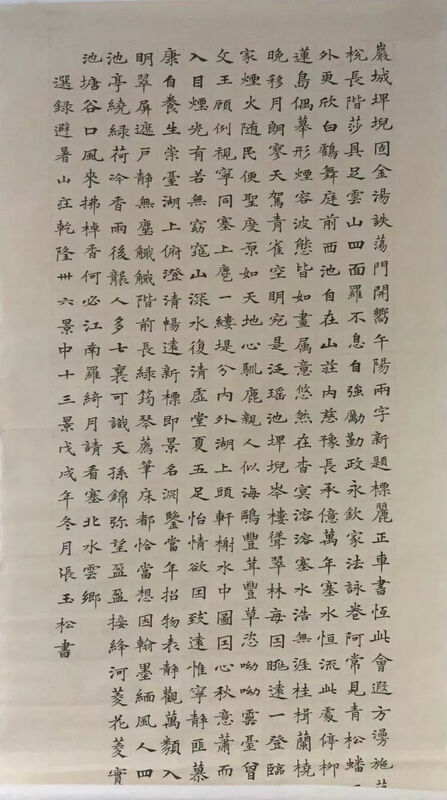 Main study official script, zhang cao. First prize of "ping fu tie" cup international calligraphy exhibition. 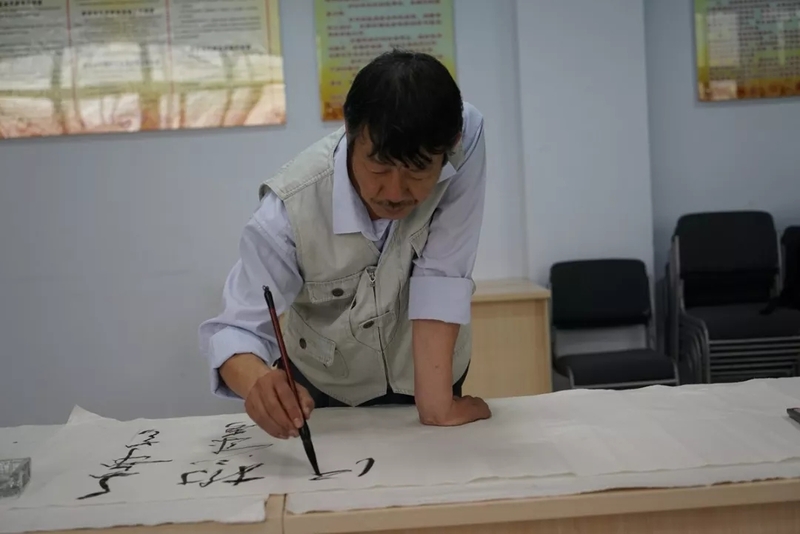 Peng kemin is a member of hebei provincial calligrapher's association, a member of hebei provincial financial calligrapher's association, a member of chengde municipal calligrapher's association and vice chairman of chengde county calligrapher's association. · won the excellence award in the national agricultural bank of China fund organization system painting, calligraphy and photography works competition; Excellent award of changjiang song collection exhibition, the third prize of the first "icbc cup" calligraphy and painting exhibition of hebei financial system, the first mass calligraphy exhibition of hebei province; The second mass calligraphy exhibition in hebei province, hebei financial system "two studies and one finance first" calligraphy exhibition; National painting and calligraphy exhibition of the financial system; Entered the first Chinese painting and calligraphy competition. 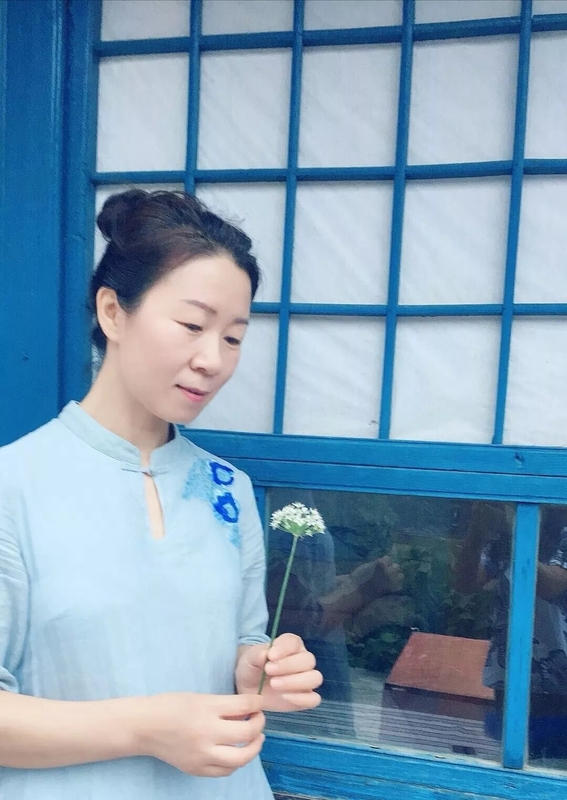 Shi hualing, member of hebei calligrapher's association, director of chengde calligrapher's association, deputy secretary general of chengde youth calligrapher's association. 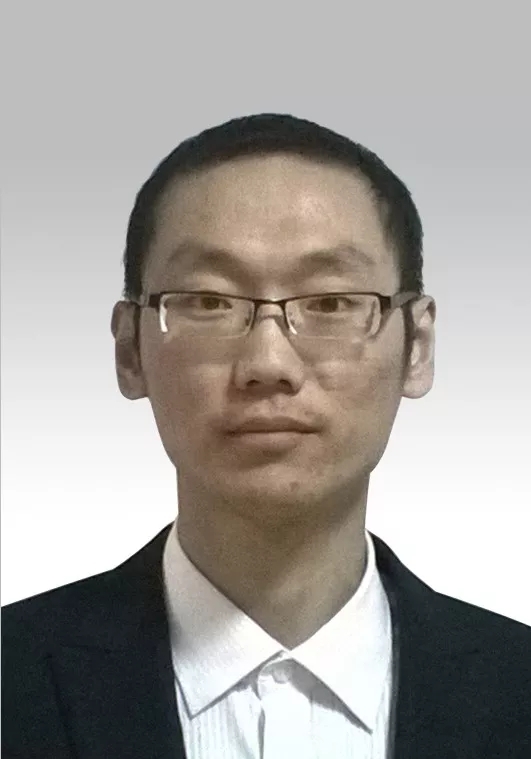 Wang chunlei, male, manchu, was born in 1978 in fengning, hebei province. Only the weak learn books. From the xiang xian bo Lao Mr. (taboo) xi yan kai, began to learn more pagoda. Later I got acquainted with Mr. Chen baiding, who taught me. Xi zhongwang xiaokai, dabble in Ming and qing dynasties. Received education from Mr. Yang xiaogang and Mr. Xi jinwen in 2017. The works have been exhibited at all levels of provinces and cities, and are well received. 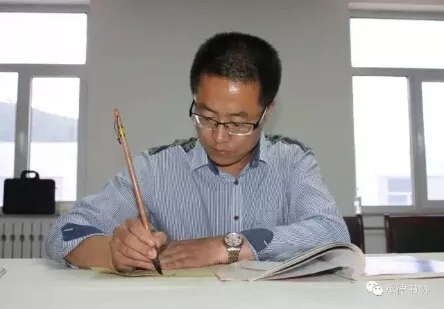 He is a member of hebei calligrapher's association, director of chengde calligrapher's association, and secretary-general of fengning manchu autonomous county calligrapher's association. 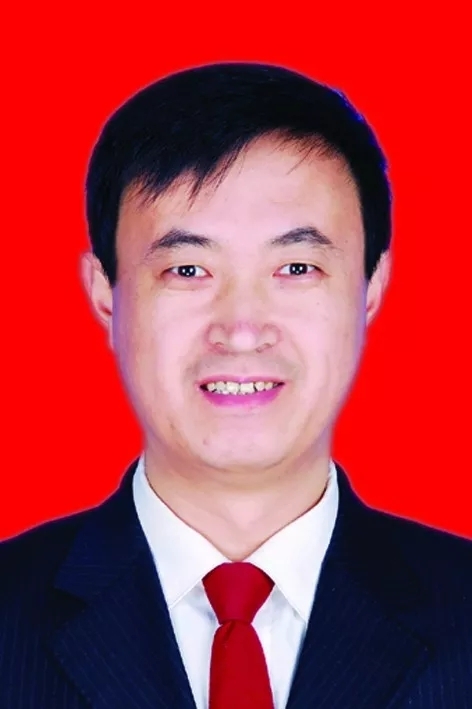 Wang demin, born in 1962, is a civil servant of the cultural tourism administration of weichang county, hebei province. Engaged in calligraphy and painting for more than 30 years, xi xingcao, grass, clerical script. Wang xiaoqiang, male, born in longhua county, April 1970. He is a member of hebei calligrapher's association and chengde calligrapher's association. 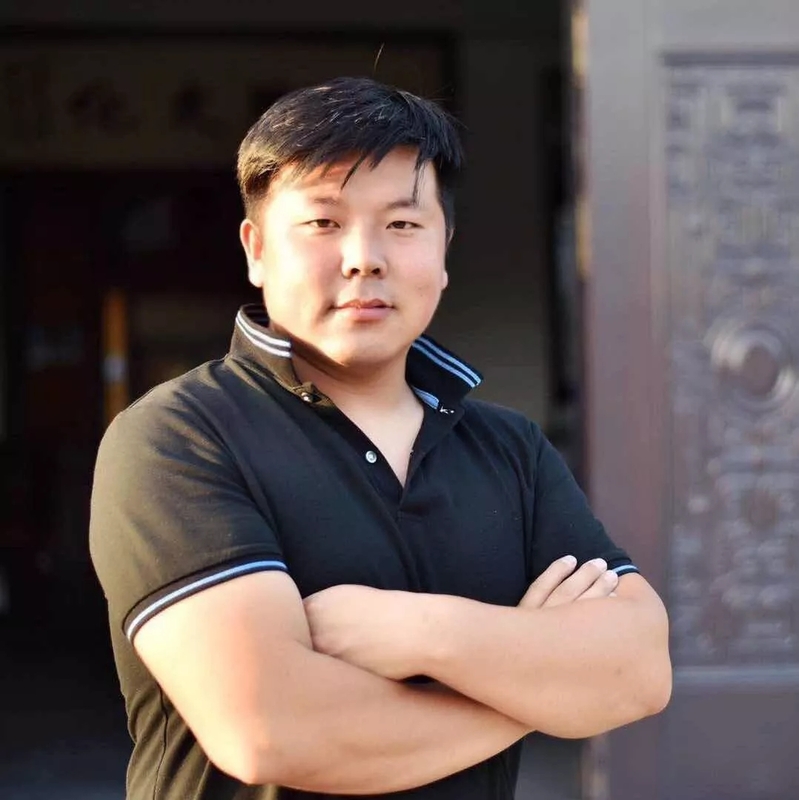 Now he works in longhua national museum. Young chengjia, love calligraphy art. 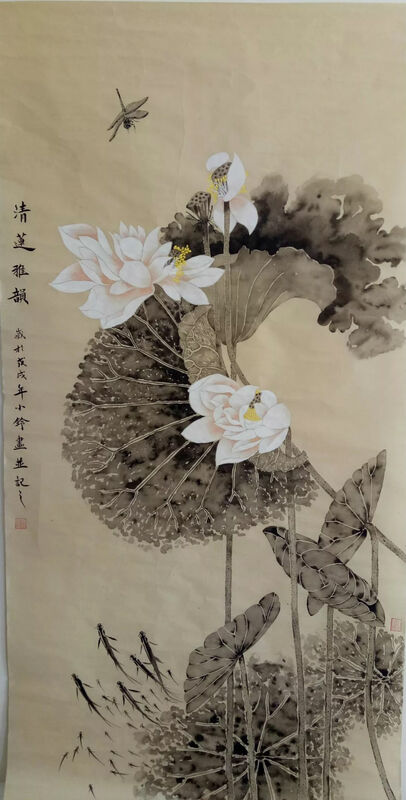 Calligraphy works in January 2002 into the compilation of the first Chinese painting and calligraphy small works competition collection; In February 2013, he was selected into "gao yuan cup" hebei calligraphy competition. In September 2014, won the excellence award of "chengde calligraphy art photography competition to celebrate the 60th anniversary of the National People's Congress". 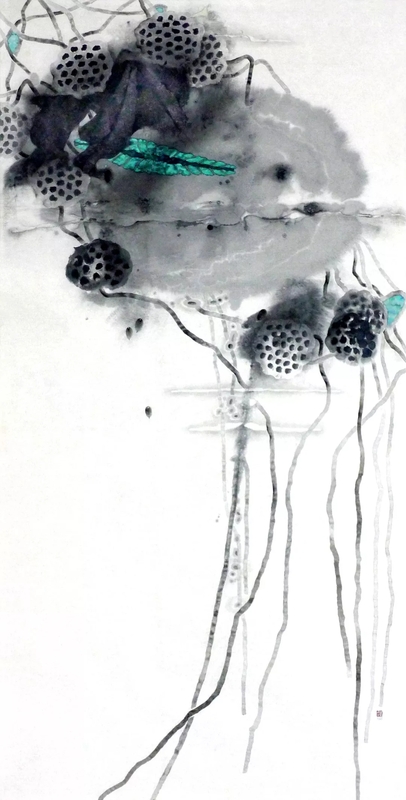 Wang xiaofei, master degree, graduated from school of art, Peking University, majoring in calligraphy. He is a member of China fan association, China couplets association, artists association of state administration of radio, film and television, hebei calligraphy association, hebei calligraphy culture research association, hebei xiaokai calligraphy creation team, vice chairman and secretary-general of xinglong county calligraphy association. 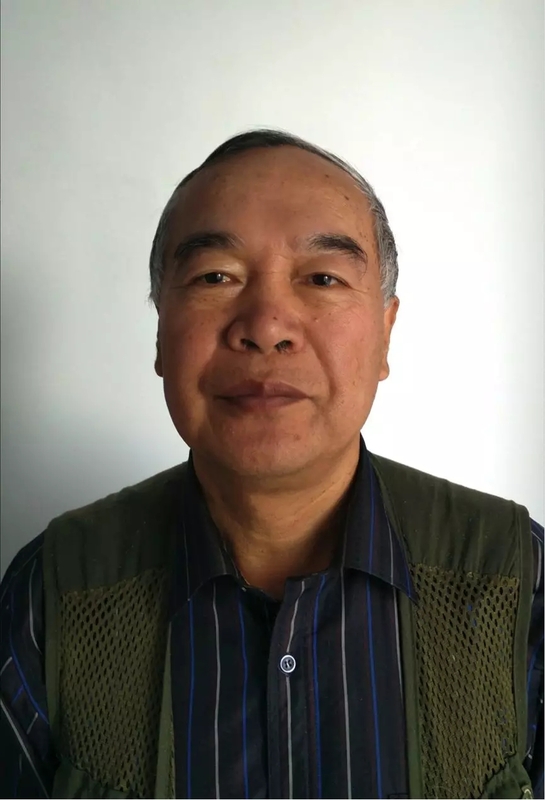 Postgraduate tutor: director of Chinese calligraphy association, director of Peking University calligraphy research institute, professor wang yuechuan of Peking University. 2013 hebei province "the first huayi feng cup hebei TV calligraphy competition -- regular script excellent award of adult group"
Dec. 2013 the third prize of calligraphy and painting competition of the first network culture festival and the third staff network calligraphy and painting competition in hebei province. In 2014, the third prize in calligraphy category of "hebei province's first farmers' calligraphy and painting exhibition". First prize in professional group of regular script and first prize in cursive script in 2015 national teacher calligraphy competition. In 2015, calligraphy won the third prize in hebei province's "helping farmers cup" poetry and calligraphy competition to welcome the Spring Festival. In 2016, I won the excellence award in the first hebei xiaokai calligraphy competition and joined the hebei xiaokai creative team. In 2016, he attended the Beijing, tianjin and hebei calligraphy exhibition and the painting and calligraphy exhibition to commemorate the 80th anniversary of the victory of the long march. 2016 participated in the fourth graduate calligraphy exhibition of Peking University school of art. 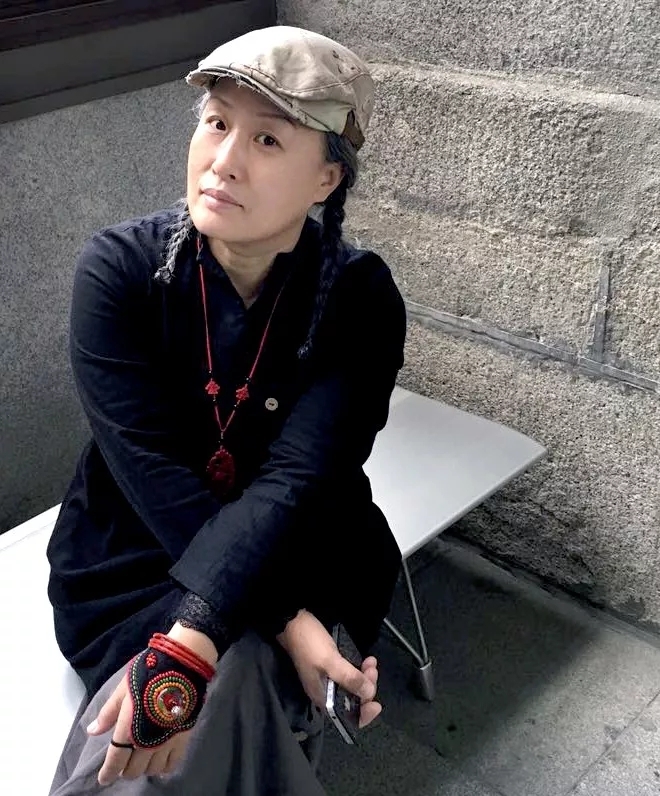 Wang zhihe, whose name is leng yan, was born in April 1960, is a member of hebei shuxie association. Chengde city elderly university calligraphy teachers, shuangluan district elderly university calligraphy teachers. 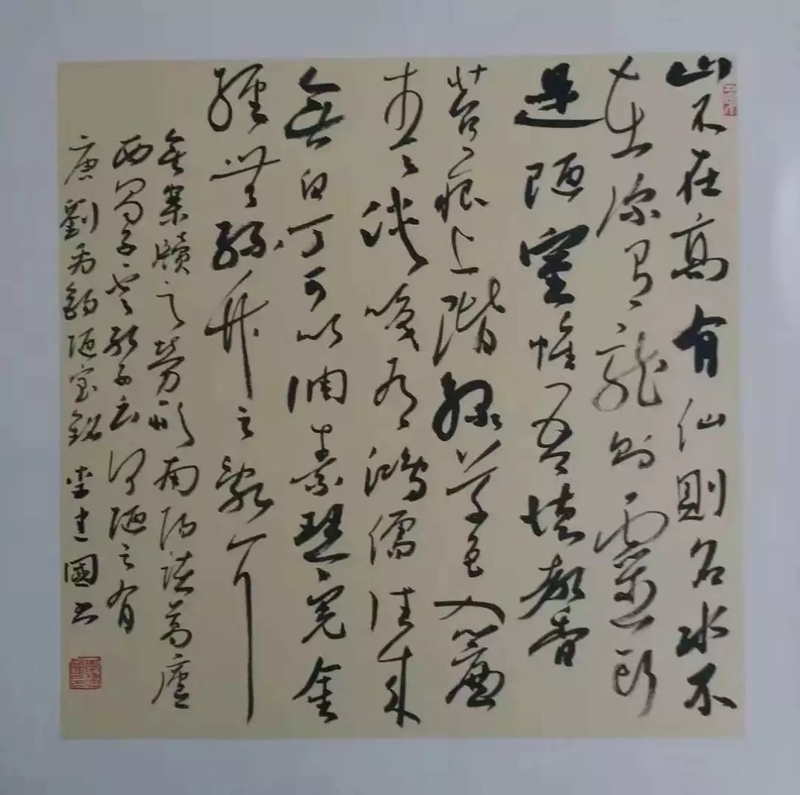 Calligraphy works participated in the "art exhibition of Chinese literature and painting", "popularization exhibition of Chinese literature and painting art center", and won the excellent award in the 13th China century gathering activity. He has participated in many provincial and municipal calligraphy exhibitions and won awards. 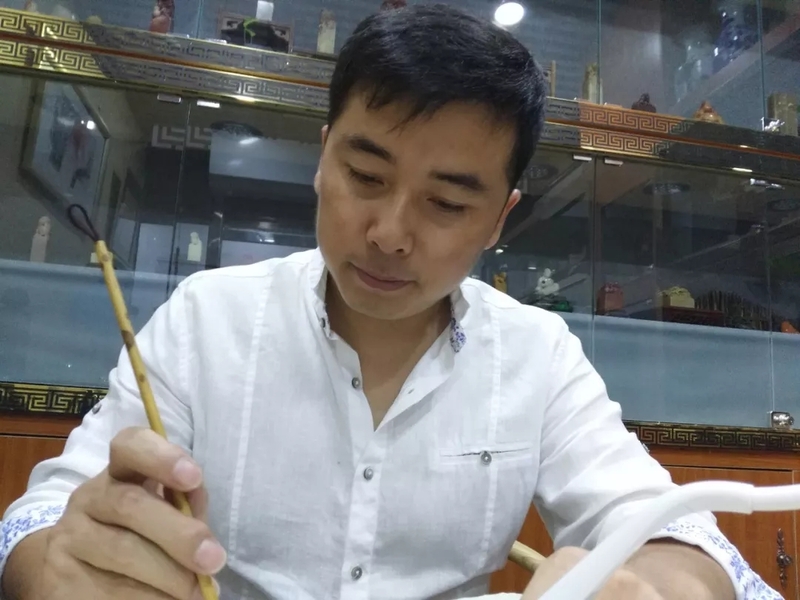 Xu zhijie, male, manchu, born in 1973, member of hebei calligrapher's association. 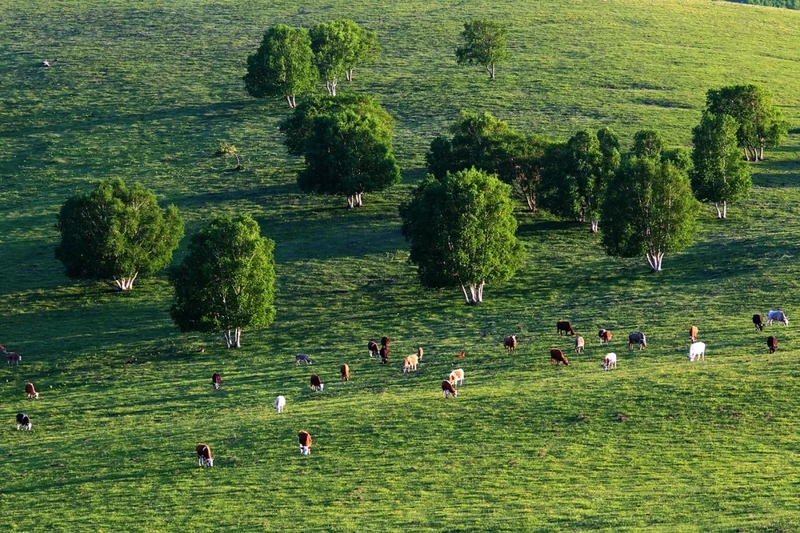 Native place, fengning manchu autonomous county, chengde city, hebei province. 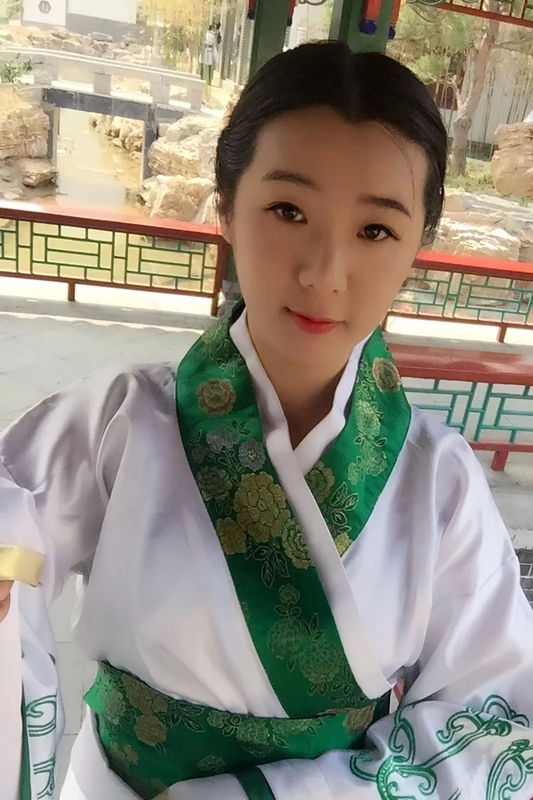 Graduated from hebei normal university art education major, now works in chengde city, hebei fengning manchu autonomous county first high school. 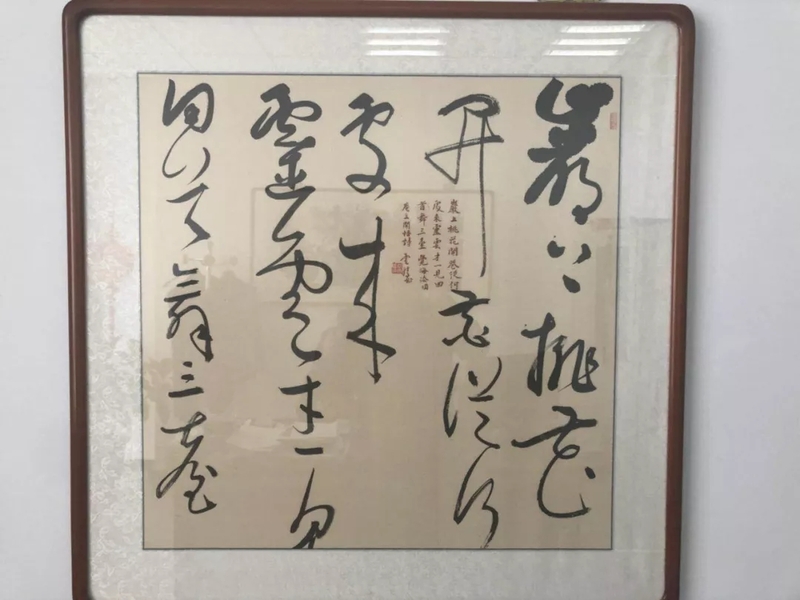 His works have been exhibited in "huayi feng cup" TV calligraphy competition of hebei province, the third official calligraphy exhibition of hebei province, the first and second mass calligraphy exhibition of hebei province. 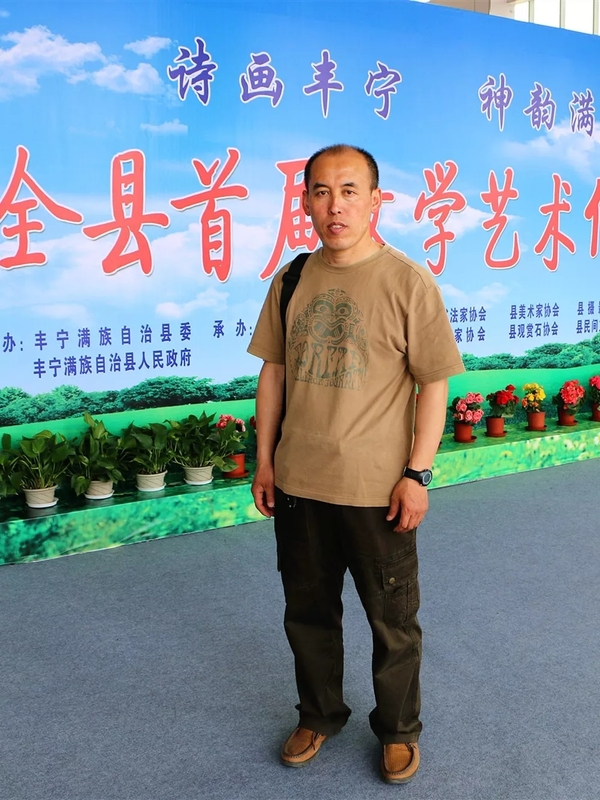 Yang wenhua, born in kuancheng, chengde city in 1970, won the first prize of calligraphy and painting exhibition in hebei province in 2015 to commemorate the 70th anniversary of the victory of the Chinese people's war of resistance against Japanese aggression and the world anti-fascist war. The exhibition included the 18th Beijing fine calligraphy and seal cutting exhibition, the Chinese characters world love ancient Chinese calligraphy exhibition, the 2nd hebei provincial mass calligraphy exhibition, the 1st "dong zi cup" national calligraphy exhibition, and the 2nd "pu jiang qishi cup" maritime lanting national calligraphy exhibition. 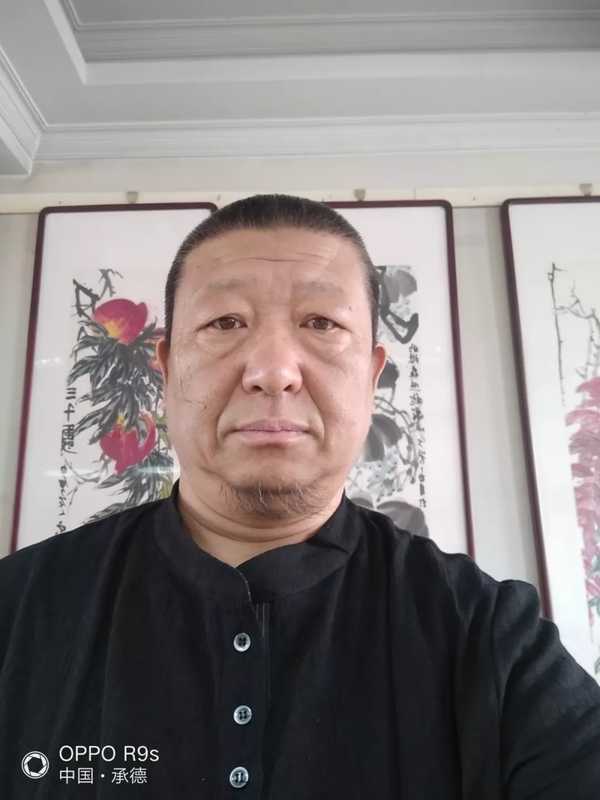 Yang wenxiu, male, han nationality, born in 1966, is currently working in longhua county transportation bureau, hebei province calligrapher's association education committee member, longhua county calligraphy and seal cutting association vice President. Yang xiaocun used to be known as Yang xiaocun character, bog sheng ge. "The 6th seal cutting exhibition of xiling printing house"
Yang xiaogang, word rong zhi, number fish zhai, zhu jingan rong shengxuan. He was born in kuancheng, hebei province in 1986. Mr. Wang youyou entered the room as a disciple. Distinguished professor of hebei academy of fine arts. 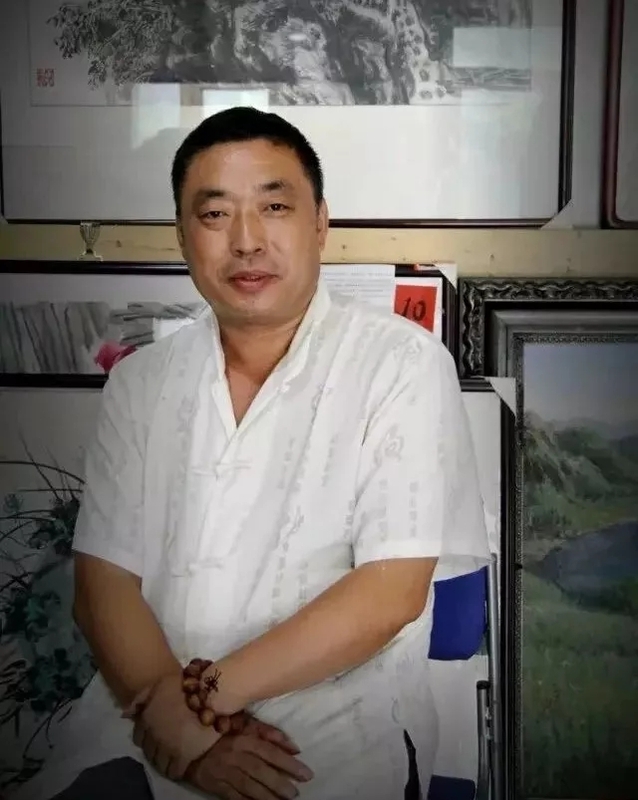 Yao dawei, male, born on August 18, 1968, deputy secretary general of chengde calligrapher's association. 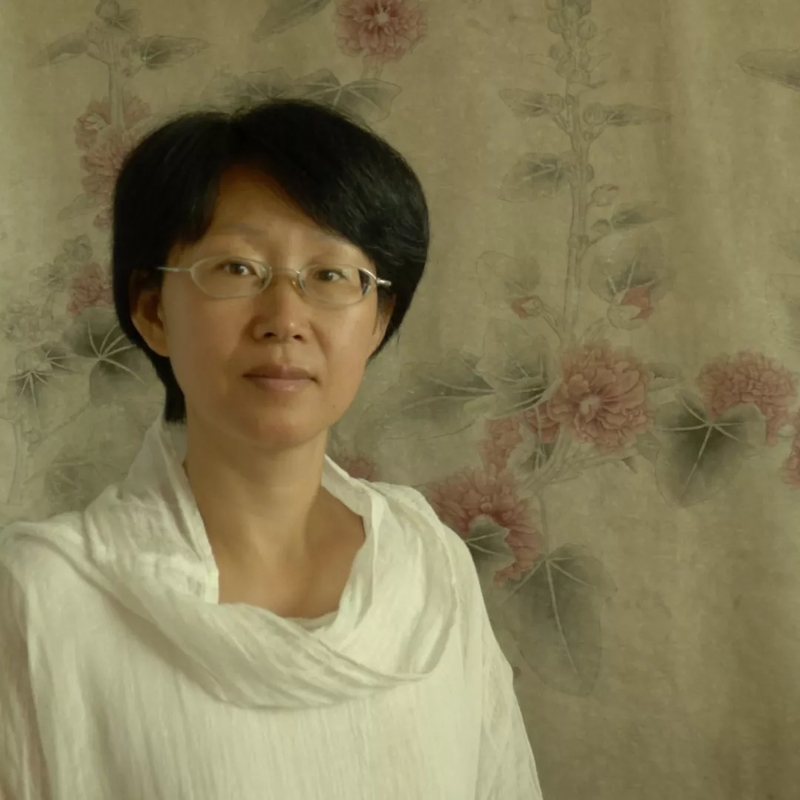 Yao jin, director and deputy secretary general of chengde calligrapher's association. Yin yali, male, manchu, born in 1979. 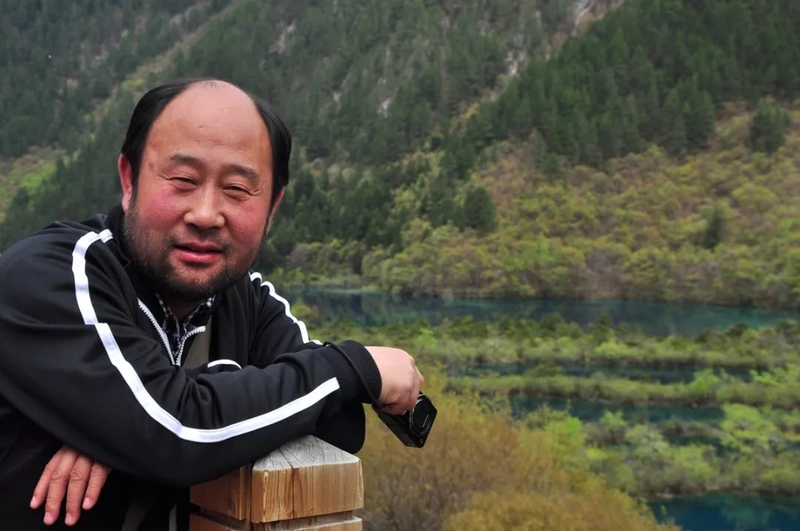 He is a member of Chinese calligrapher's association and a director of chengde calligrapher's association. 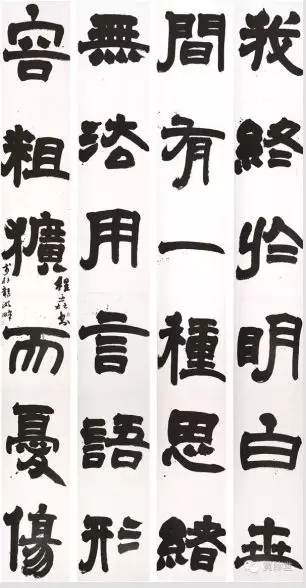 In December 2013, his works were exhibited in "national calligraphy exhibition to commemorate the 120th anniversary of the birth of comrade MAO zedong" (Chinese calligrapher's association). 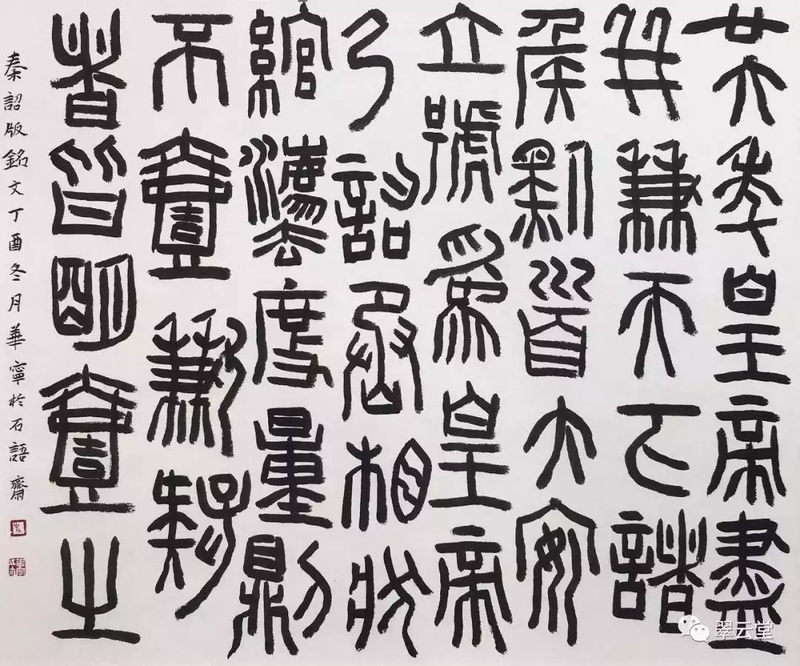 In October 2014, his works were selected as exhibited works in the teacher group of the eighth Chinese calligraphy festival of primary and secondary school students in wanning, China (sponsored by the Chinese calligrapher's association). 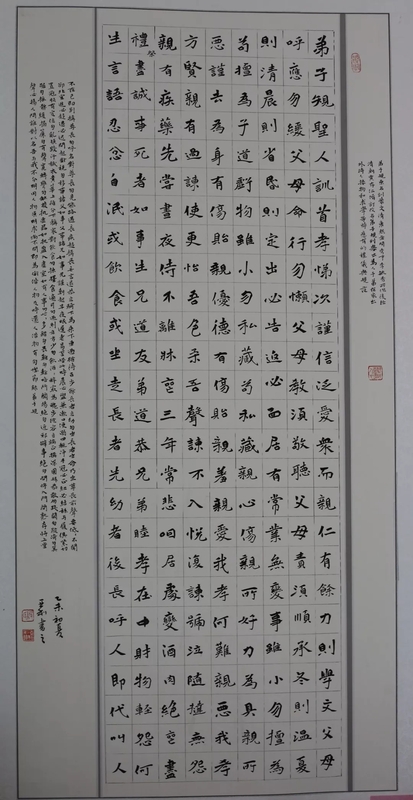 In December 2014, his works were exhibited in the national calligraphy exhibition "hometown of the great unity of the world" (sponsored by the Chinese calligrapher's association). 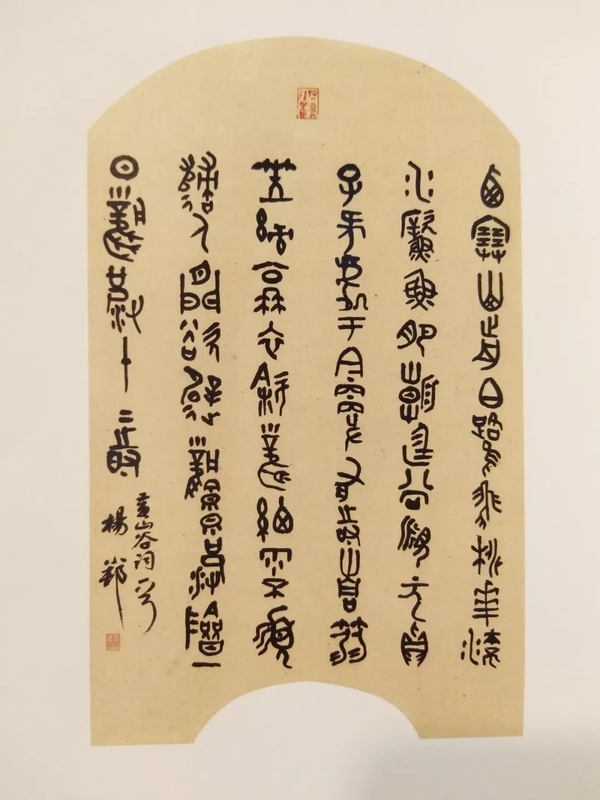 In August 2015, his regular script "on passing the qin dynasty" was included in the 11th national exhibition of calligraphy and seal cutting works (sponsored by the Chinese calligrapher's association). 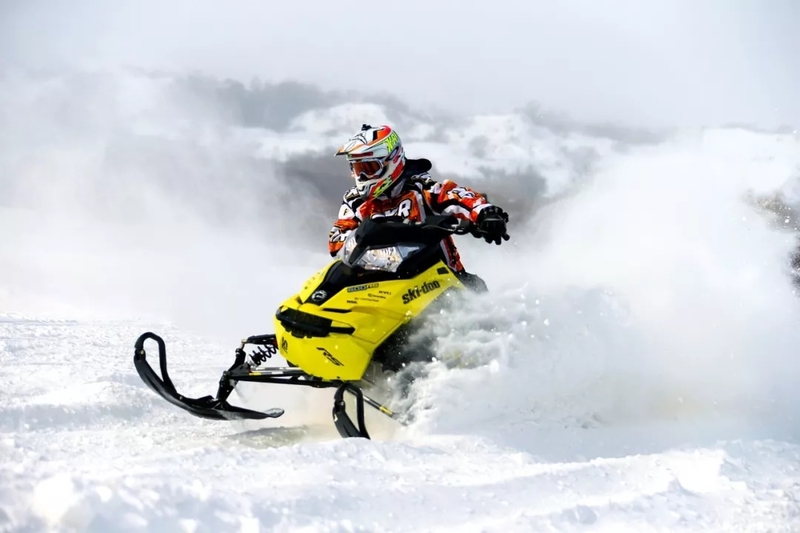 In December 2016, it was awarded the title of "chengde top professional and technical talents" by chengde municipal party committee and municipal government. October 2016 was identified as the 2017 hebei province propaganda culture system "four a batch" talent; In June 2017, won the 2014-2016 chengde city "fine art award". Zhang yusong, manchu, member of hebei calligrapher's association member of hebei female calligrapher's association member of chengde calligrapher's association member. Nov. 2016: won the third prize in calligraphy category of literary and artistic works with the theme of "red gate spirit -- guard elegant demeanor"
Yu junhai is the sixth director of China photographers association, member of China photographers association, vice chairman of hebei photographers association, member of hebei literature federation, chairman of chengde photographers association and research librarian of chengde mass art museum. Served as judge of China international photography exhibition. 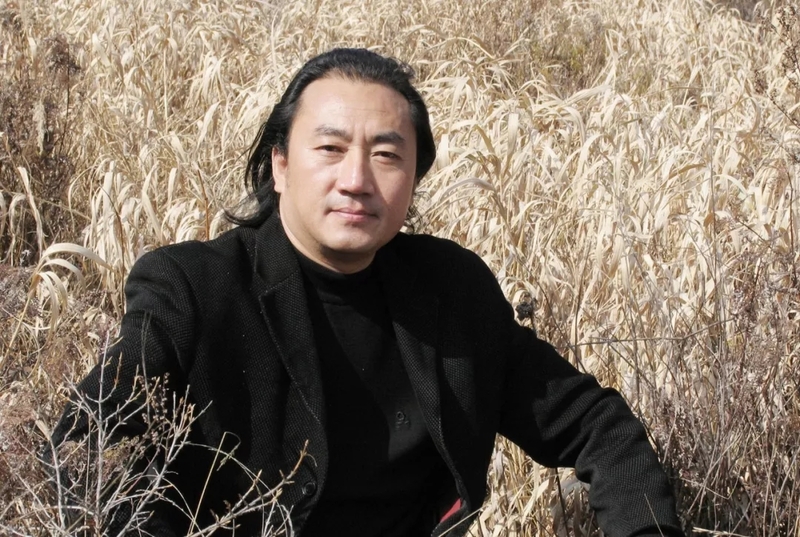 In 1996, he won the third China photography gold award and his works have won many awards in national photography art exhibitions and China international photography art exhibitions. 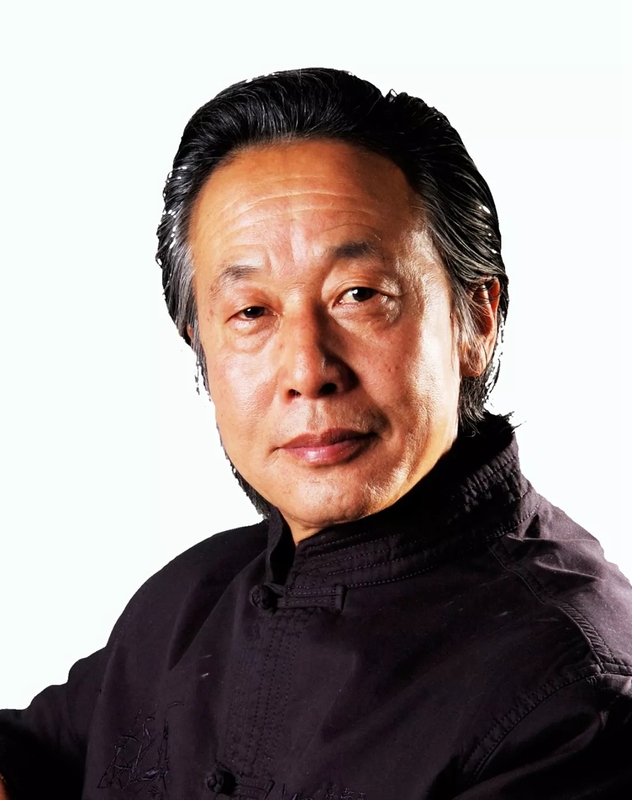 In 1997 and 1998, he was awarded the title of "outstanding member of virtue and art shuangxin" twice by the Chinese federation of literary and cultural organizations and the Chinese film association. 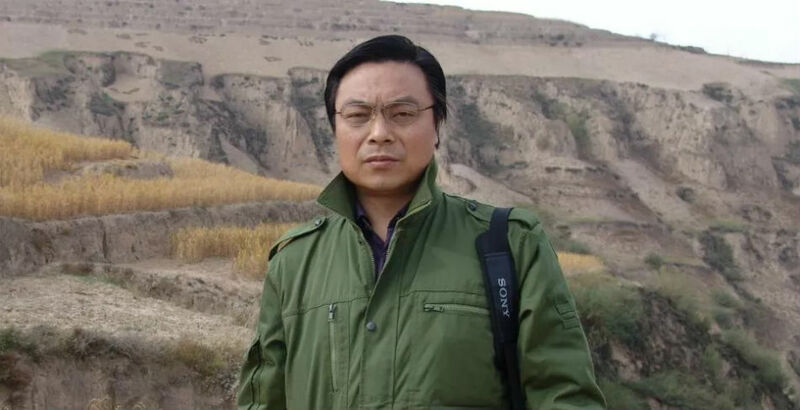 Male, born in March 1960, han nationality, member of the communist party of China, luanxian county, hebei province. 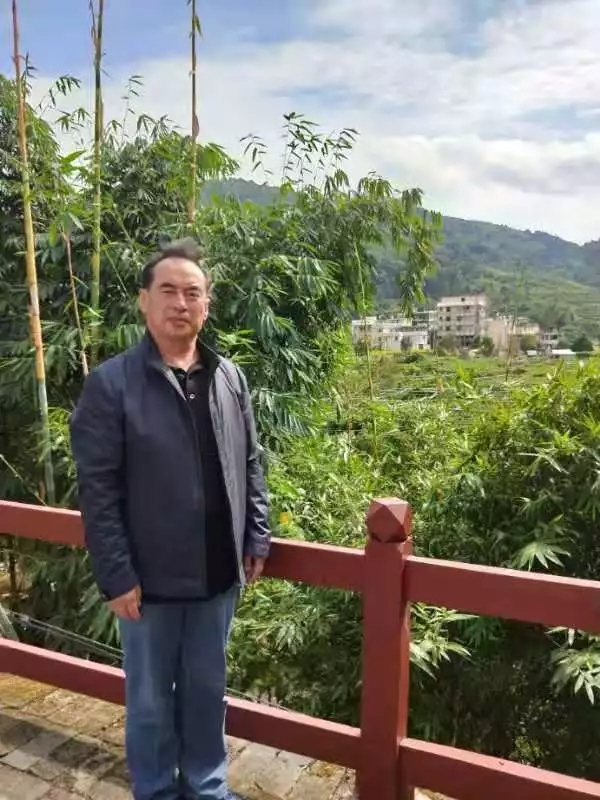 He graduated from northeast institute of technology (now northeast university) in July 1982 and obtained the master's degree of Beijing jiaotong university in June 2006. Member of China photographers association, consultant of hebei photographers association, vice President of chengde photographers association, vice President of tangshan photographers association, vice President of chengde photographers association. 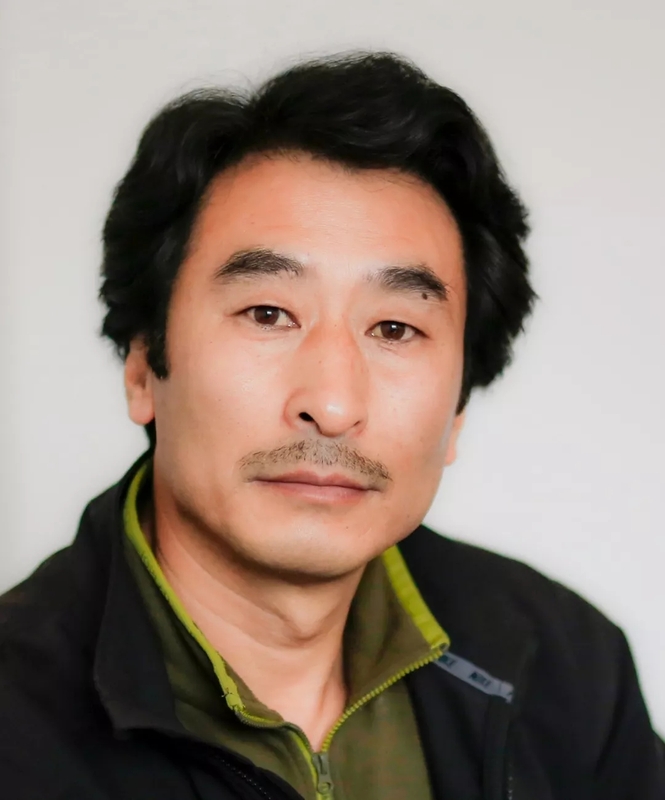 Wei hongru's major artistic achievements include: in 2007, he was awarded the title of "virtuous and artistic double xin" photographer of chengde city, and in 2010, he was awarded the "prosperous literature and art award" of chengde municipal people's government. Photography work "working meal" won the first prize of "public photography" chengde film friends friendship competition in April 2005; "Iron man dance" won the bronze medal in the 18th photography art exhibition of hebei province in December 2005. "Night at the border" won the second prize of the first China chengde international photography exhibition in September 2006. 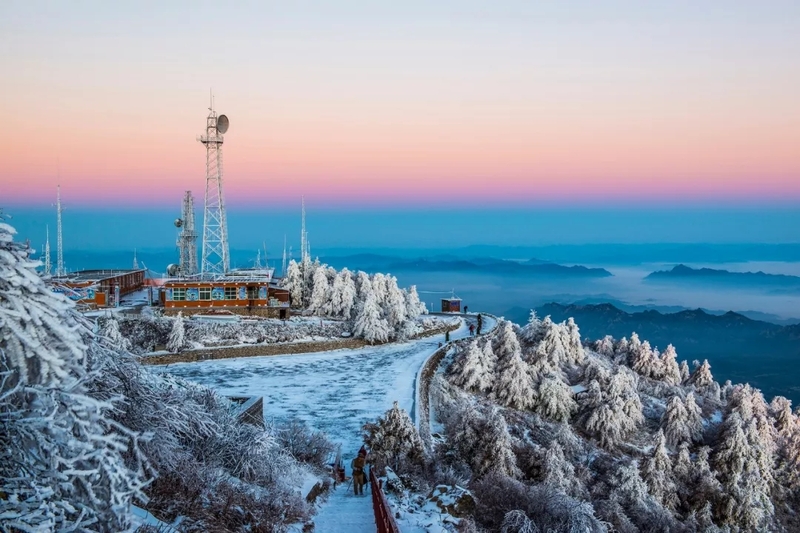 "Taoshan wonderland" won the first prize of "yudaokou cup" national photography grand prix held by "public photography" in January 2007. Taoshan fairyland won the excellence award of the 22nd national photography art exhibition in September 2007. "Oath" won the third prize of the second China chengde international photography exhibition in September 2008; In 2010, wei hongru's documentary photography "memory" exhibition was held at the third China chengde international photography exhibition. In 2014, the photography work "happy" won the excellence award of the international "the third charm iron and steel photography competition". 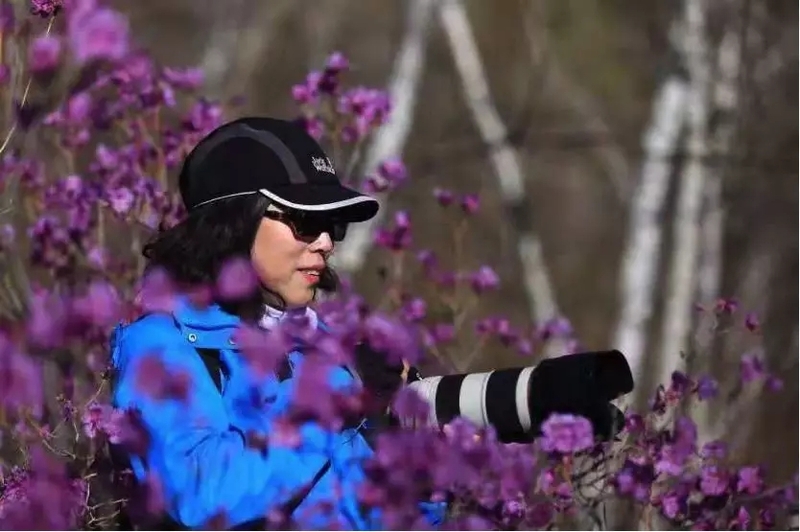 In 2018, two works of spring scenery at shanzhuang and song of autumn on top of it won the excellence award in "celebrating the 40th anniversary of reform and opening up and entering the hometown of Chinese photography -- chengde photography art exhibition". 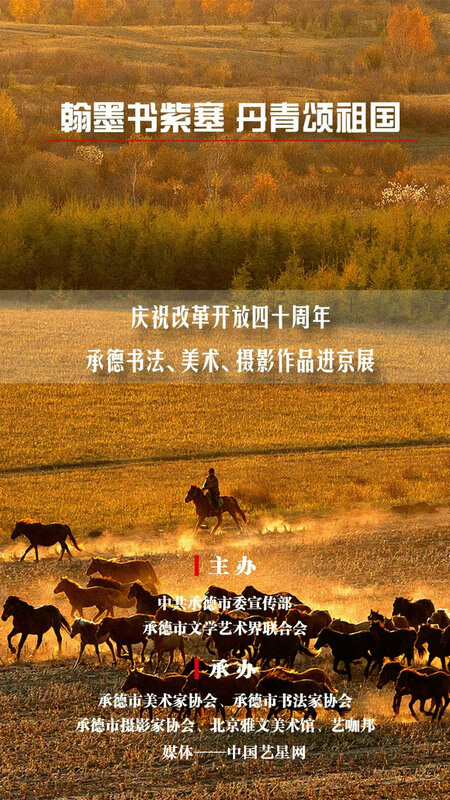 In January 2006, the photography collection "poems and paintings on the frontier" was published by China photography publishing house. 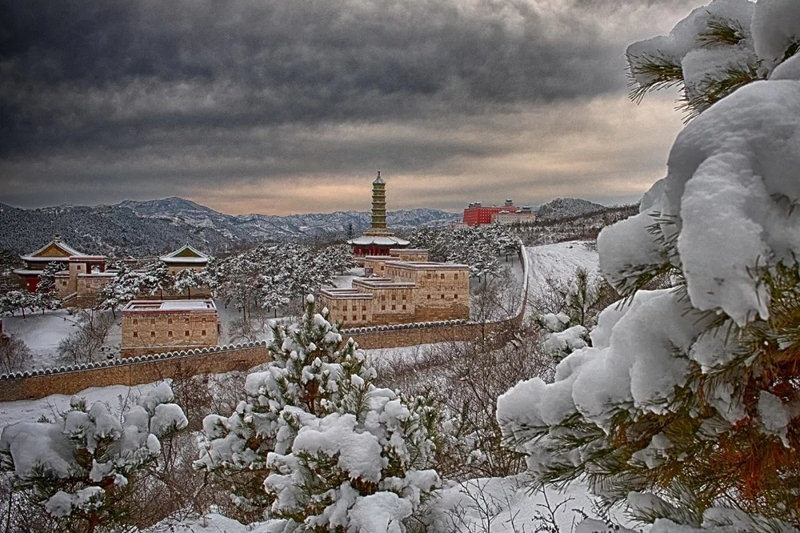 In February 2008, the photography collection "chengde tour of purple pearl" was published by China tourism publishing house. In July 2008, the photography collection "impression of New Zealand" was published by China photography publishing house. 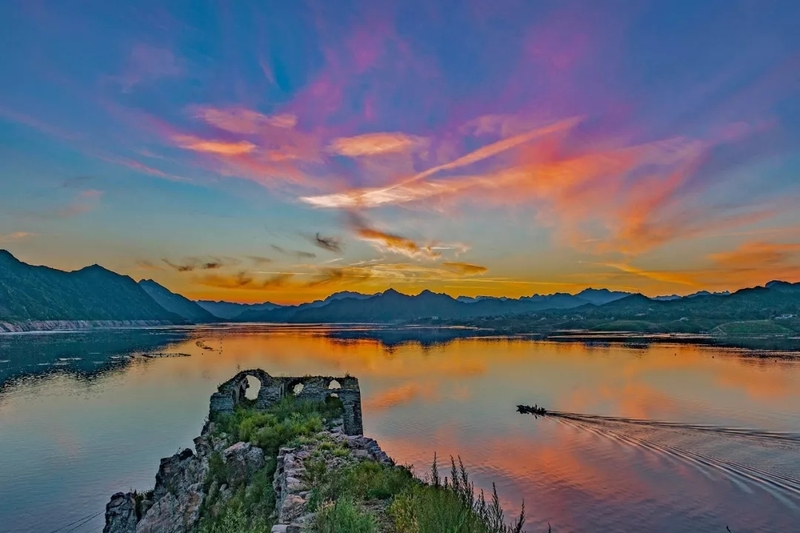 Many photographic works have been published in China photography newspaper, China photography, public photography and Hong Kong China tourism magazine. 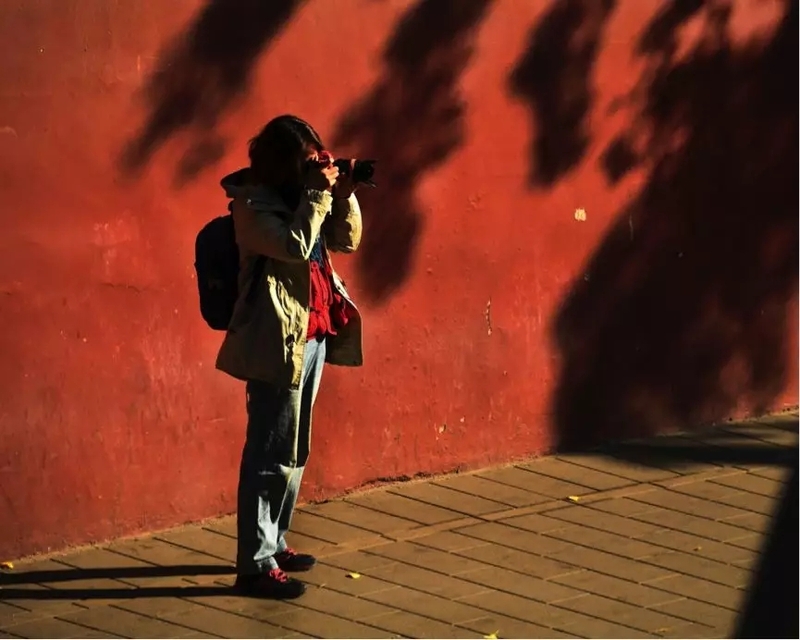 Member of China photographers association, hebei photographers association, chengde photographers association. 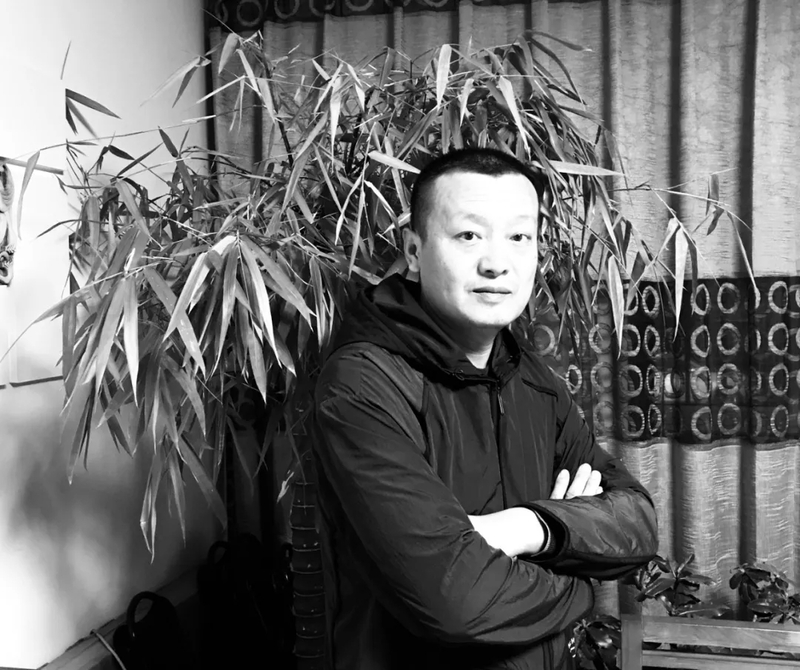 He works in chengde art research institute and is a member of hebei photographers association. 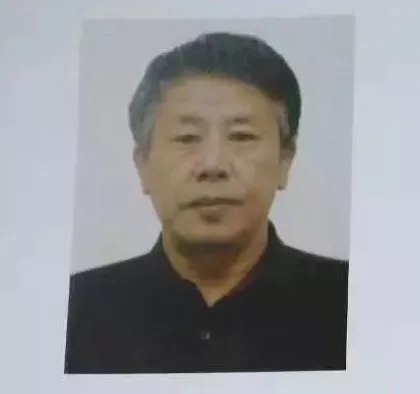 Male, born in May 1956, bachelor degree; Luanping county, chengde city, hebei province. In 2015, participated in the photography class of luanping county university for the aged to learn photography. 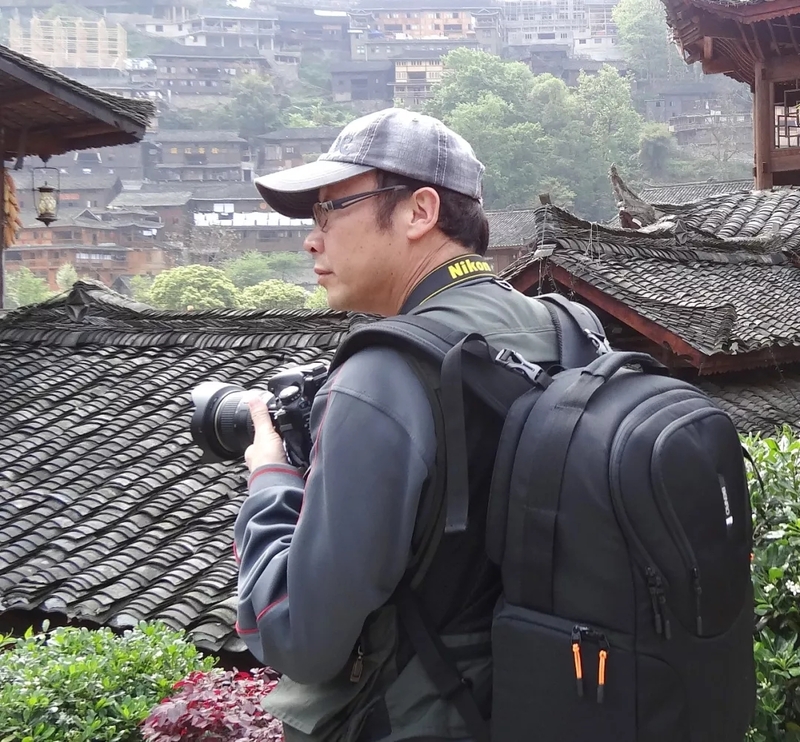 Now, he is a student of the photography training class of the aged university, a member of luanping county photographers association, a member and vice President of luanping county association for the aged photographers. Works in luanping county "zhong lingyu yu xiu, da mei luanping", "dream well-off, beautiful countryside", "luanping travel song" and other film exhibitions exhibited and won awards; Chengde city "to commemorate the 40th anniversary of reform and opening up into the hometown of Chinese photography - chengde photography exhibition" on display. He was born in longhua county, hebei province in 1956. 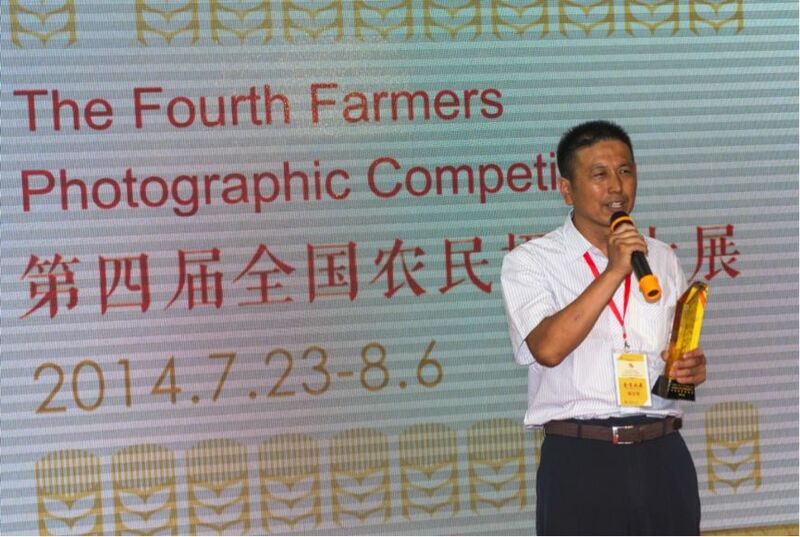 Forestry is a senior engineer, China folk photographer association, hebei province photographer association member. 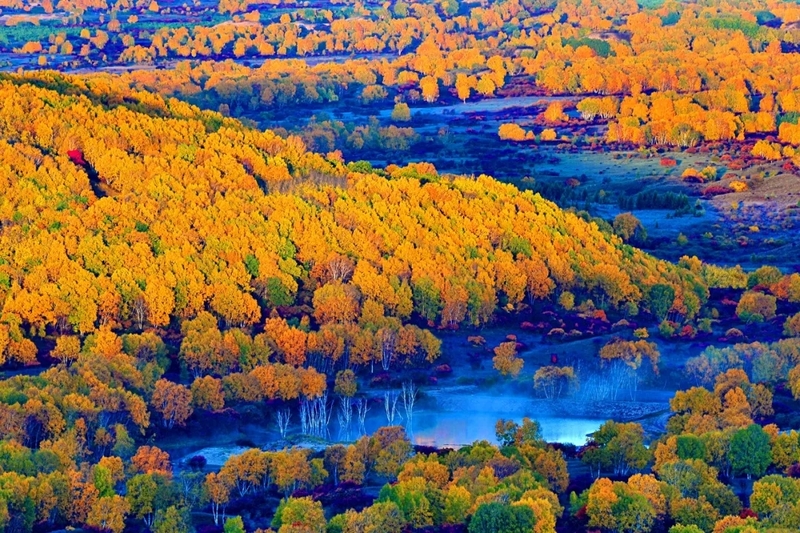 In 2007, the group photo of "colorful homeland" won the third prize in the national photography competition of "focusing on forest -- harmony between human and nature". In 2009, the third prize of the fourth national attention to forest culture and art award was awarded for the "complete dyeing of forest layers". 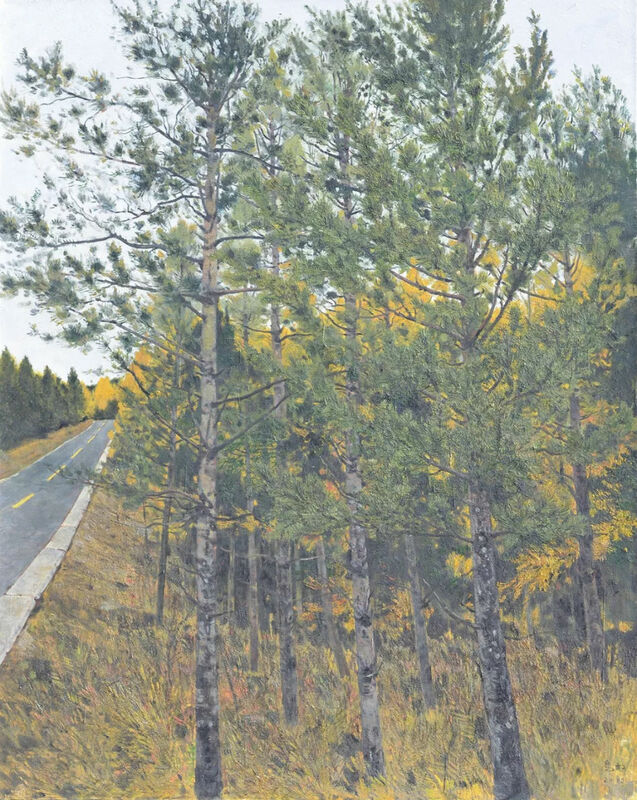 In 2012, the collection of chengde forest scenery was published by Chinese artist publishing house. Born in 1955, mathematics undergraduate. He began to learn photography in 1997. 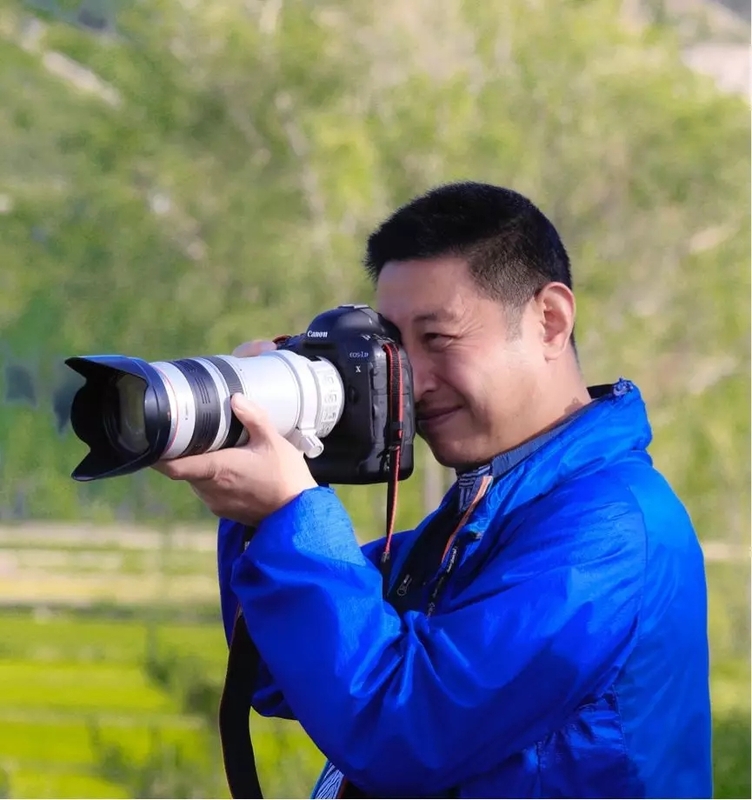 He is a member of hebei photographers association and chengde photographers association. 2012 excellent award of the fourth international photography art exhibition of chengde, China. Feature of wangjing building was selected into the fourth China chengde international photography exhibition "jinshanling Great Wall cup photography competition (2012). 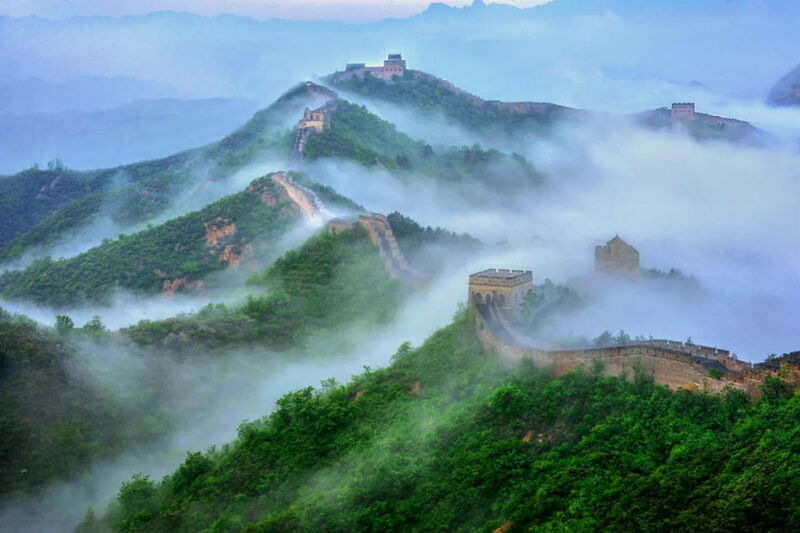 On July 13, 2013, China photography news won the third prize in jinshanling Great Wall challenge competition. 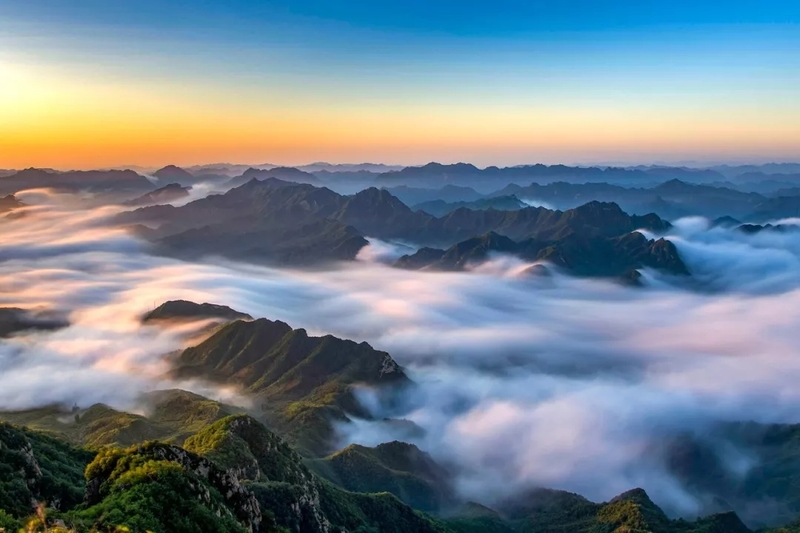 In 2017, "a bird's eye view of jinshan mountains" was selected into beautiful hebei exhibition, "beautiful fujian hebei" photography exchange exhibition between fujian and hebei, hebei pictorial published. 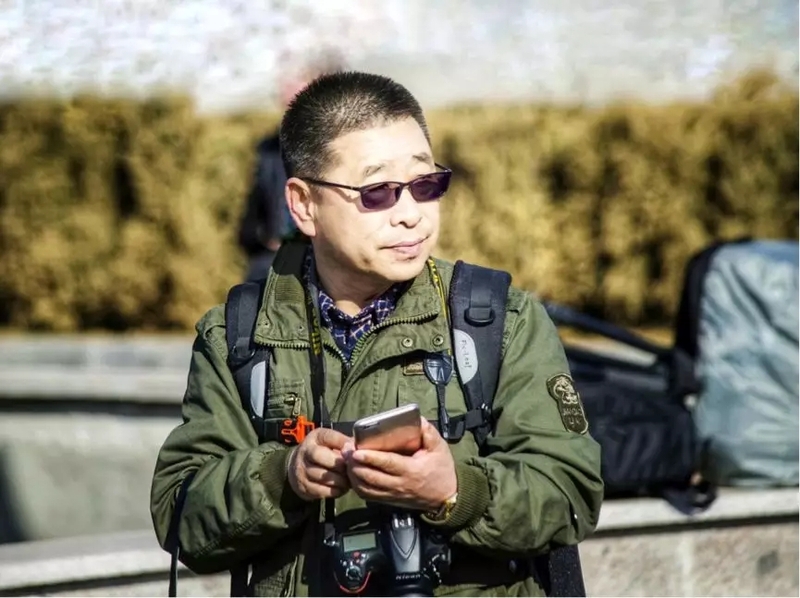 Member of China photography copyright association, member of hebei photographers association, member of chengde photographers association, chairman and secretary general of chengde yingzi photographers association. 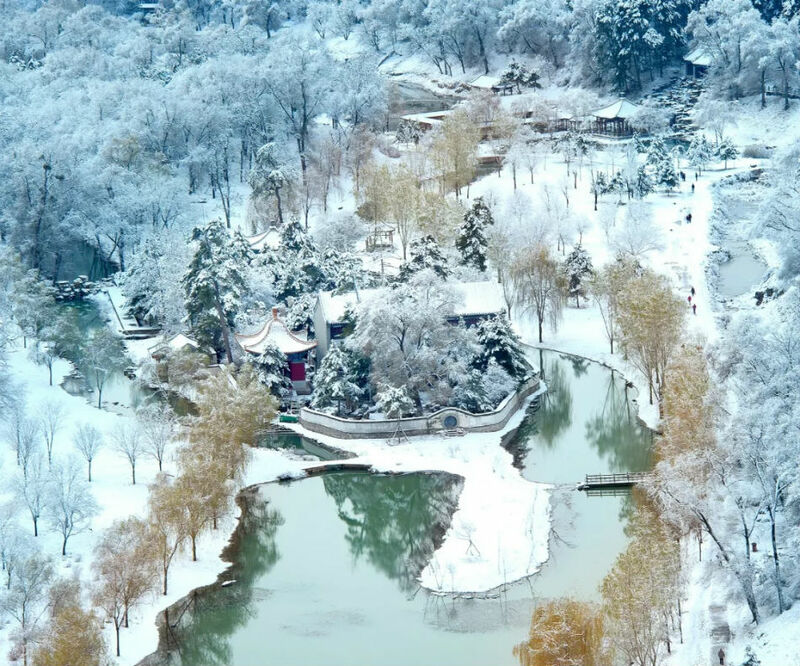 "Winter" won the first "yudaokou" cup bashang scenery national photography exhibition candidate award; "Animal husbandry" won the second "yudaokou" cup bashang scenery national photography exhibition selected award; "Golden hill sunset" won the third prize of "public photography" 2015 jinshanling fraternity; "Fairy snow" won the third prize of "public photography" 2017 jinshanling fraternity; The work "pastoral" won the award in the "pastoral cup" Chinese and foreign photographers watch chengde photography competition; The work "early snow on the Great Wall" was selected in the "jinshanling Great Wall cup" photography competition of China. 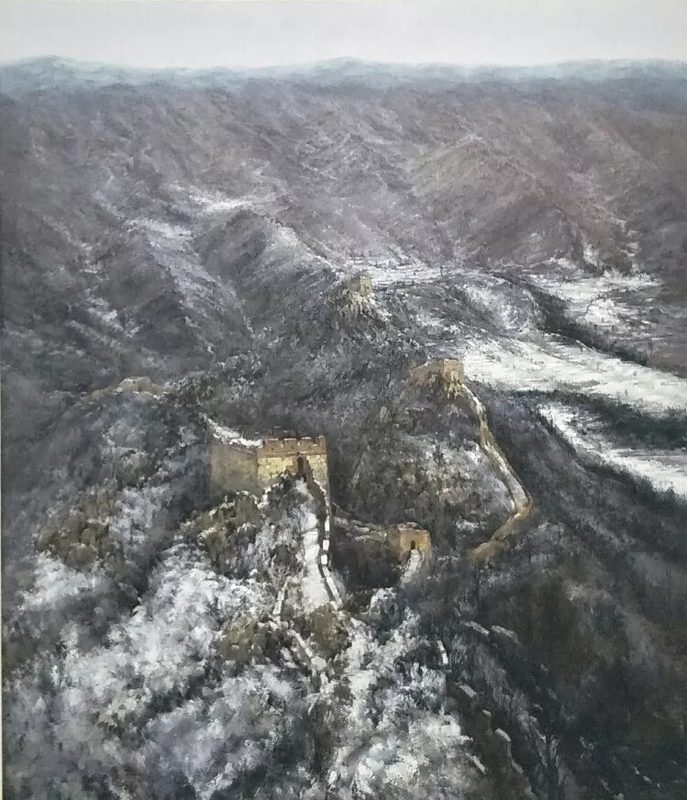 "Pastoral of paradise" won the excellence award in the second magnolia padre four seasons scenery photography invitational competition; "The first snow on the Great Wall" won the bronze prize in the national mass cultural photography exhibition and the excellence award in the 18th national art photography competition. 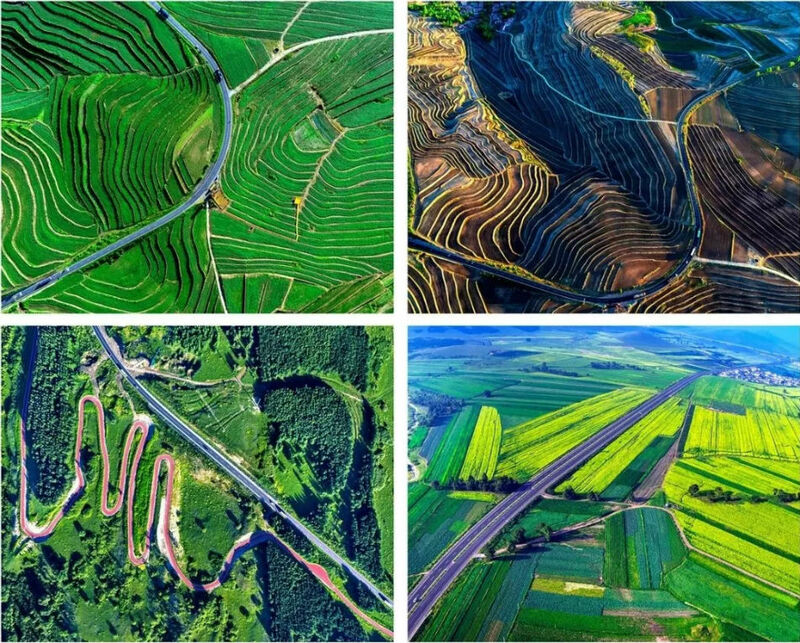 "Harmony" and "guardian" won the excellence award in the national photography exhibition "watching over green water, green mountains, green land and ecological hebei". 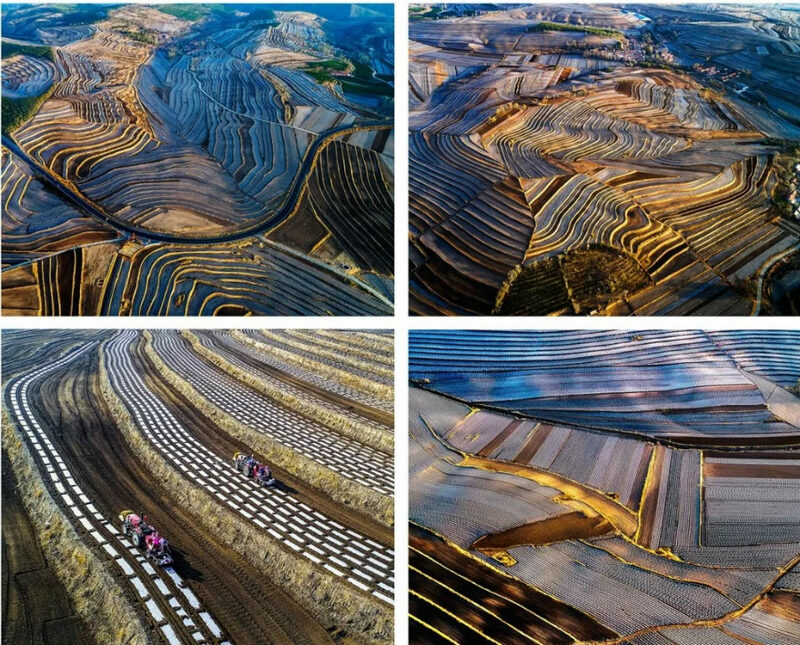 Many of his works won awards in the photo competition held by various departments of chengde city. Member of hebei photographers association, China women photographers association, chengde photographers association, participated in the 12th and 14th china-south Korea photography exchange exhibition, the 27th Beijing photography correspondence college excellent works exhibition, etc. "Treading waves" won the award in 2011 in chengde international photography exhibition. "Drizzle in the lotus pond" won the award of excellence in "hebei film association walks the grass roots -- the first trip" film friend challenge competition on August 12, 2012. In October 2015, it was identified as the star of yanzhao culture by the propaganda department of hebei provincial committee of the communist party of China. 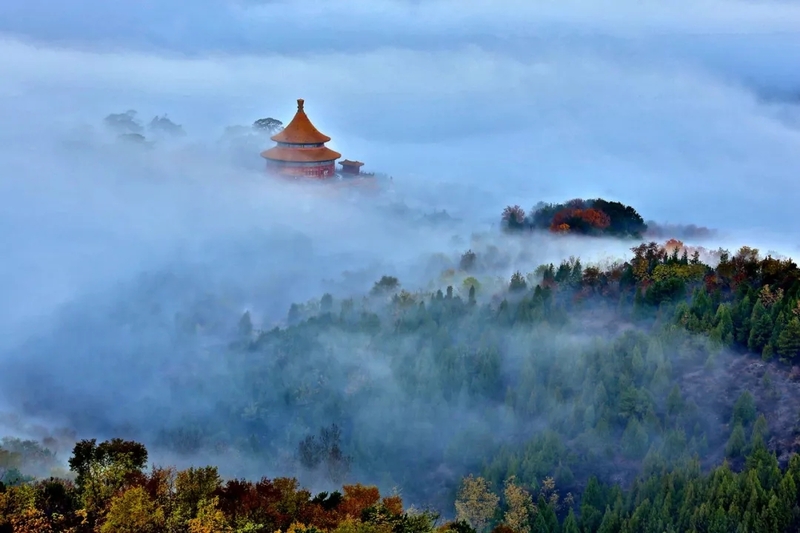 His work jinshan mountain of dreams won the first prize at jinshanling film friends association of public photography in December 2015. The work "happy gathering" was awarded the third prize in the photography fraternity competition of "entering the ecological desert -- naiman flag", a Chinese photography newspaper, in January 2016. In February 2016, his work "boat in the desert" won the entry award in the second phase of the "public photography" club joint exhibition. "Autumn moon" won the entry award in the 7th joint exhibition of "public photography" club in July 2016. In July 2016, his work "strange spirit of willow" was awarded the second prize in the competition of "walking into naiman flag", a Chinese photography newspaper. In September 2016, her work aobao night won the entry award in the 9th joint exhibition of public photography club. "Night in a small town" won the entry award in the 11th phase of the "public photography" club joint exhibition in November 2016. Won the honor of "top ten photographers" of the public photography club in 2016. Male, born in January 1966, university degree, party member. 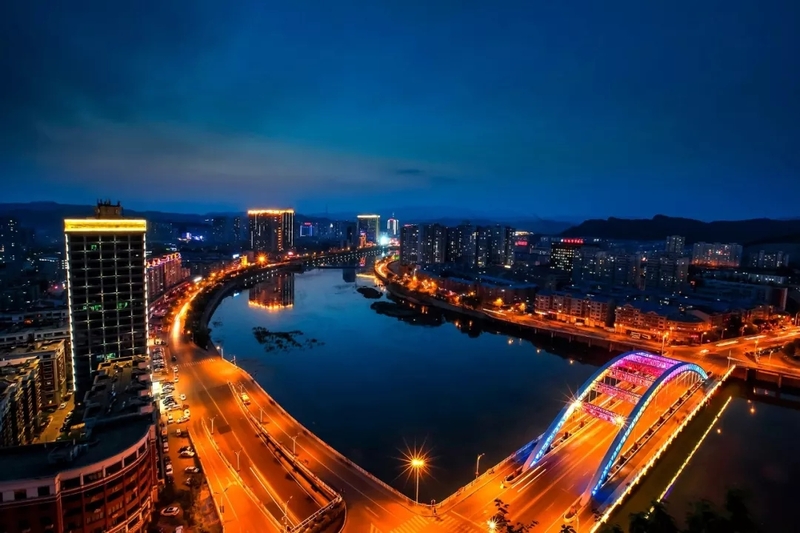 Born in pingquan city, chengde city, hebei province, in July 1986 began to work in pingquan city tax bureau work. 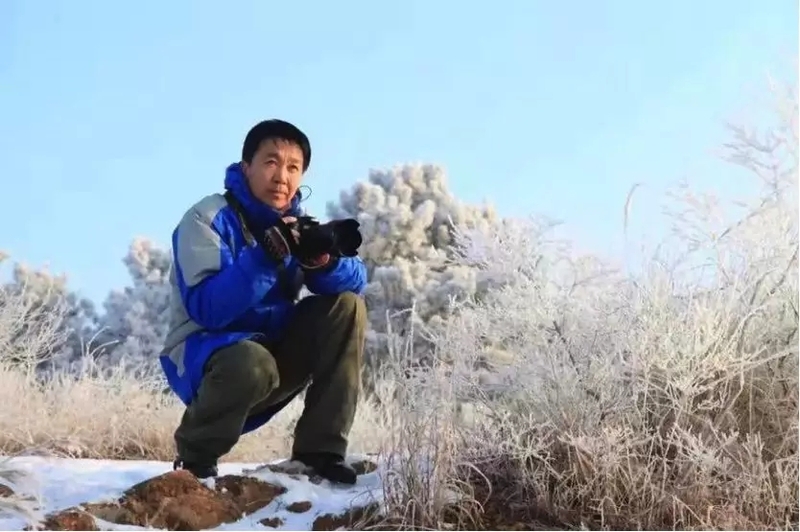 Currently, he is a member of hebei photographers association. In 2011, his work "lingering garden" won the exhibition award of China (chongqing international garden expo) international photography competition. 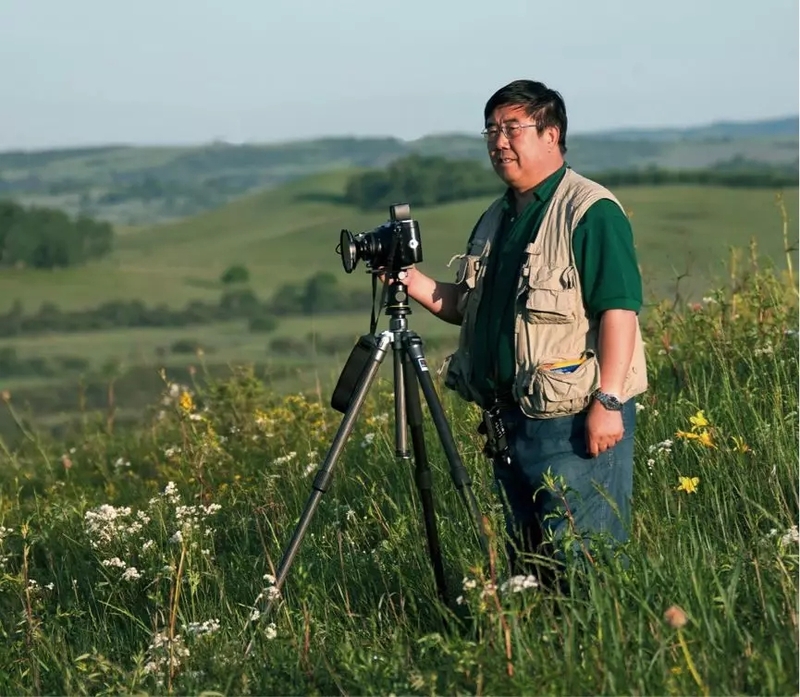 In 2012, his work "a stone forest in keshketeng geopark" won the excellence award of "the story of the earth" in the paleontology fossil cup of the network photography contest held by the ministry of land and resources. In 2016, potala palace won the prize of chengde international ice and snow photography exhibition. In 2018, the photography work "animal husbandry" won the photography exhibition prize of the 40th anniversary of chengde's reform and opening up. Chengde city photographer association member, paddock photographer association chairman. Chengde city photographer association member, hebei province photographer association member. 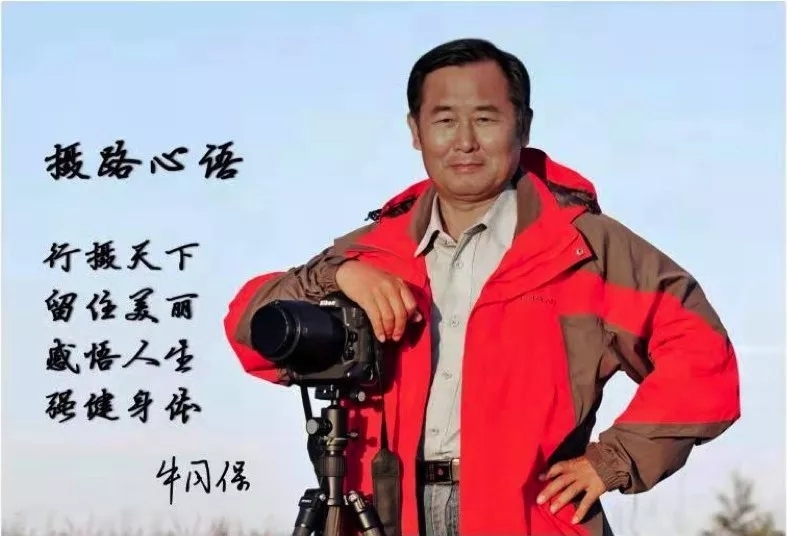 He was vice President of chengde photographers association. 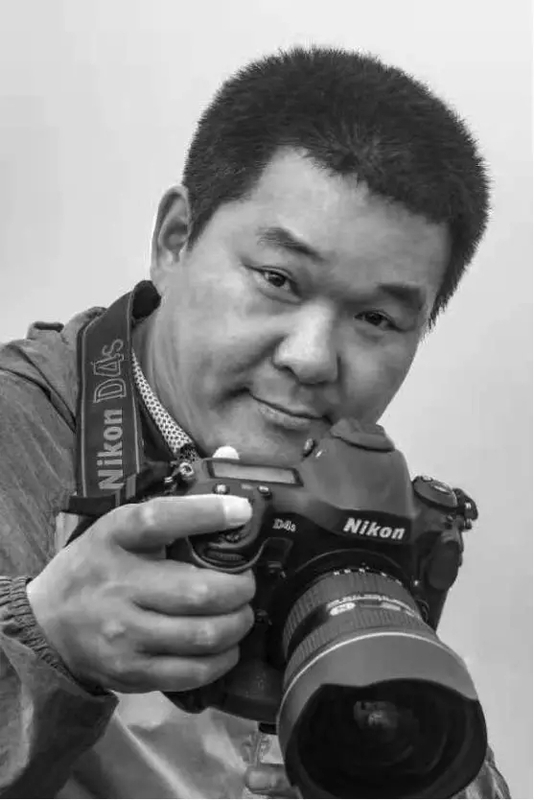 Since 2005, he has been engaged in photography activities, and his landscape photography works have been selected for many provincial, municipal and national exhibitions and won awards. 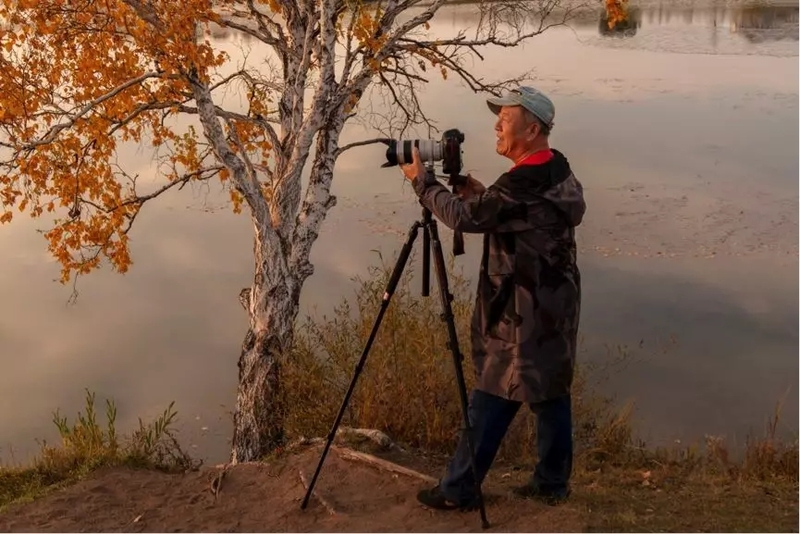 70 years old, began to learn photography in 2008. 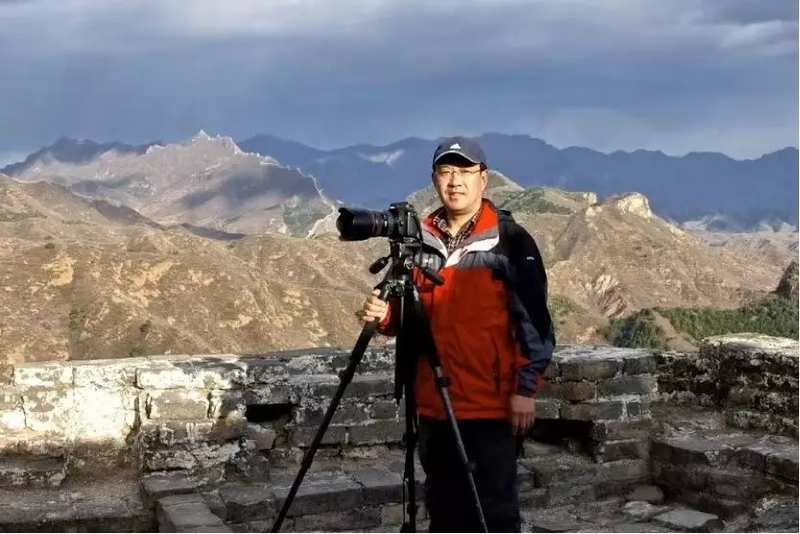 Currently, he is a member of hebei chengde photographers association, deputy secretary general of chengde senior photographers association, and a member of China art photographers association. In 2017, in the "most beautiful Chinese" smiling faces collection activity sponsored by the propaganda department of the CPC central committee, 3 photos were awarded as excellent works, which were exhibited in the "five years of endeavor" exhibition from September to December 2017. One photo won the silver award in the first Hong Kong international cup photography competition in 2018. Woman, member of the paddock photographers association. Member of China photographers association, member of hebei photographers association, vice President of chengde photographers association. Male, born in April 1964, member of China photographers association, member of China folk photographers association. In recent years, "harmony", "view of the tao", "the wind rises and clouds surge", "autumn to winter", "mountain villa smoke and rain", "dream yuanyang", "snow storm smoke and rain building", "temple", "forest sea snow", "look at the Great Wall group photo", "star west domain building" and other nearly 60 works were awarded in the national photography competition. 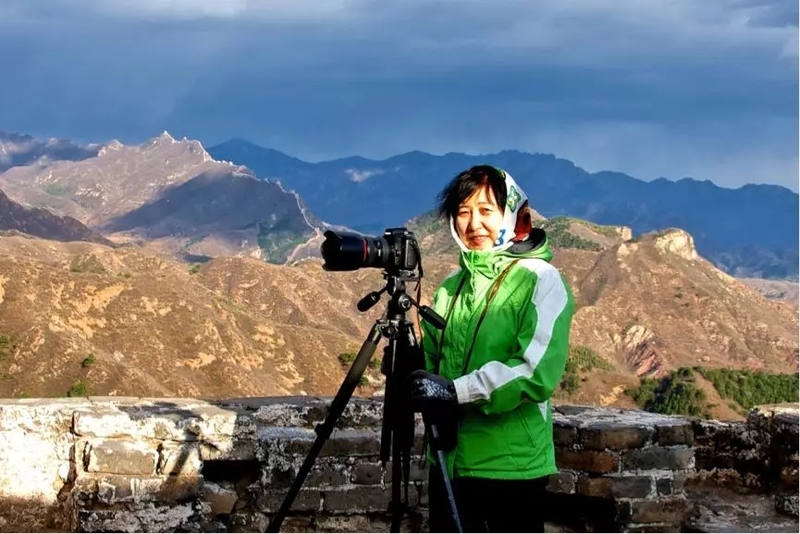 Female, born in May 1963, member of hebei photographers association. 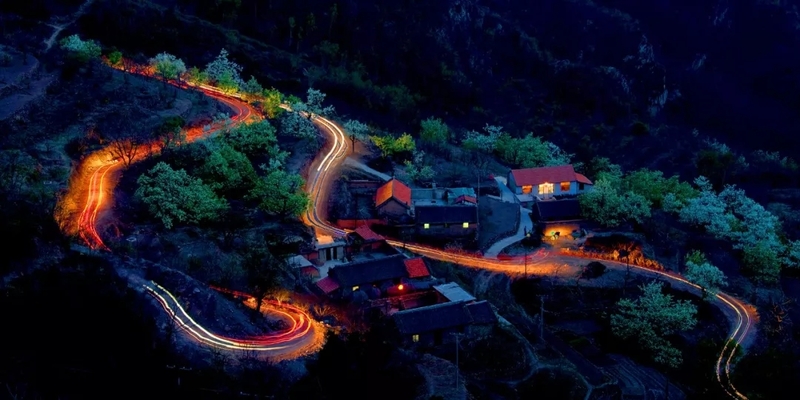 In recent years, nearly 20 pieces of works, such as "the shepherd", "xiongguan", "leading horse" and "galloping horse", have won awards in the national photography competition. 2010 of the first camera nikon D90 started learning photography, 2011 Chinese students in New York institute of photography class, trial and error to improve yourself, went around in most parts of the motherland, a few years time to follow some photography teacher to go shooting learning both at home and abroad, through more than 40 countries and regions, has accumulated a large number of cultural and landscape material, his paintings have won many prizes in the YingSai in countries and regions.